2.26.19: Winter! 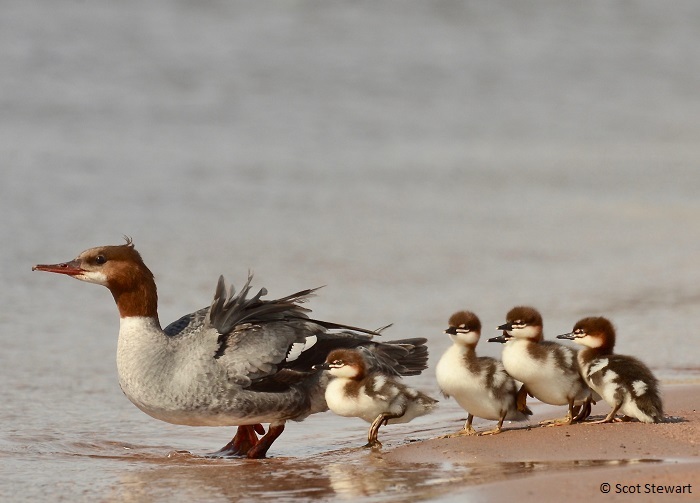 It has brought all its family to the Upper Peninsuloa this season. Frigid cold, the almost unheard of relative in the Upper Peninsula Ice Storm, Blizzard, and Nearly Daily Snowfall have all made visits. I don't believe I have ever seen snow piles so high in Marquette. I have cut a path through the back yard more than waist deep in places. The ice storm left an incredible coating of quick silver, lingering through days of strong winds, defying all to capture good shots. 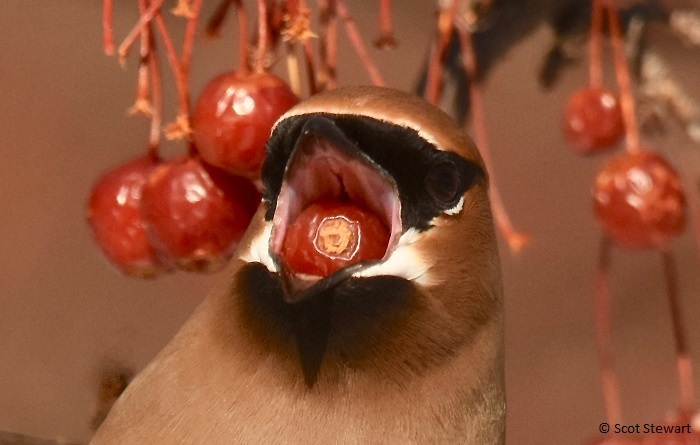 Unfortunately the ice was too thick for the bohemian and cedar waxwings feeding in the crab apple trees in town. Their diminutive bills were just not enough. We have missed 10 1/2 days of school due to weather since December. I confess I have enjoyed the time photographing waxwings before they left, pine grosbeaks and mineral specimens indoors. 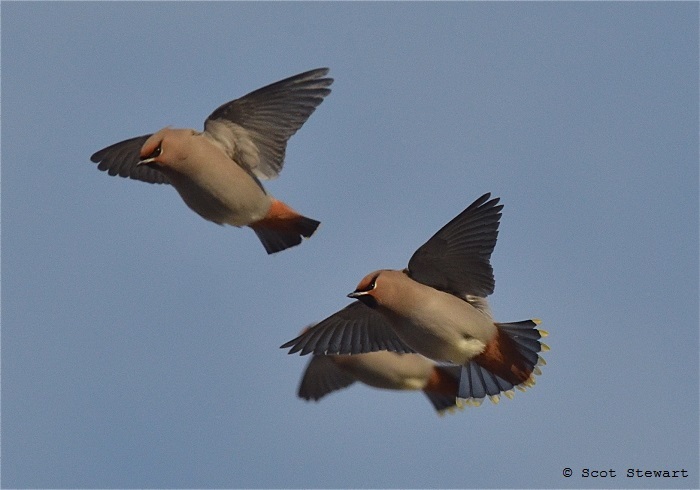 Here are some more waxwing pictures and a few mineral shots. I had an opportunity to photograph with my daughter recently andgot to try out a new type of studio. 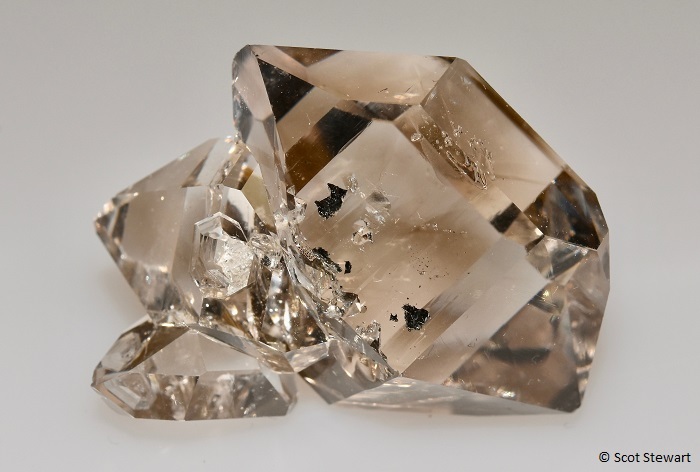 The Herkimer diamonds below came from that day. I have also added new rutile, goethite, marcasite, agate, silver, mottramite, hemimorphite, and mimetite shots too. 2.16.19: Our recent, big ice storm seemed to cover the crab apples in Marquette County with enough ice to make feeding nearly impossible for waxwings, and unfortunately they seem to have left the area for the time being. 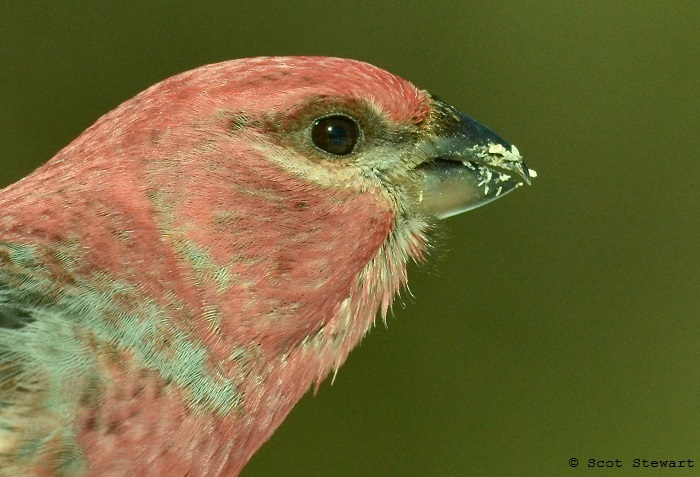 However, the pine grosbeaks, with their larger, heavier bills seemed to have cracked the case, literally and have remained in the area. Despite the fact some feel they are sluggish birds, I just love them and their flutey calls. They are messy eaters, but very acrobatic. 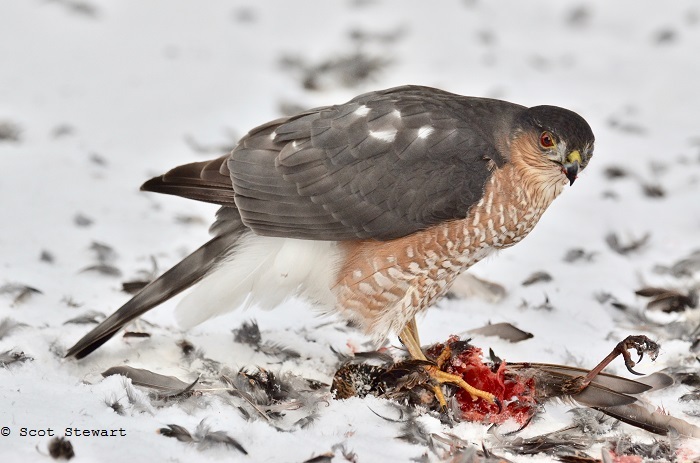 Last Thursday a flock was flushed from a crab apple tree by a sharp-shinned hawk near my school, but was not able to secure a meal. While they are not to shy, they can be very jumpy and will leave in a hurry if they feel threatened. I often seem to find something a little different when I shoot, making them fun subjects. There still seem to be plenty of trees with fruit still in them, so I'm hoping they stay in the area at least another month! 2.14.19: What a wild and crazy winter it has been so far in the Upper Peninsula! Extreme cold, a most unusual ice storm and now some great blizzards! It has definitely been season of wonder, beauty, and excused days from school. 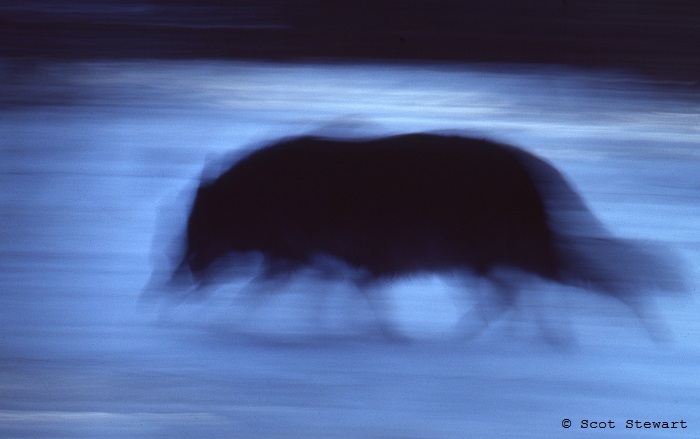 The time off has allowed me to scan several hundred slides recently, including many from two trips back in the 1980's and 1990's to Alaska. I have also been able to follow several great flocks of cedar and bohemian waxwings and pine grosbeaks around Marquette. They are some of my favorite birds. 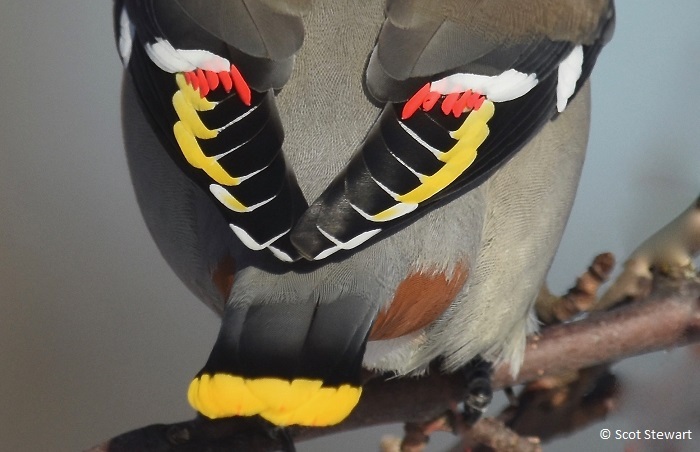 There are many new waxwing images added and the pine grosbeaks will be included soon. Stay warm! 1.2.19: Happy New Year! I cannot believe it has been two months since I posted here - guess it is a reflection of the pace of things. Have been scanning and posting lots of images from years past - especially for the National Parks, Fish, Mammals, and a whole new page for Insects and Spiders. I have been thinking a lot about the photographs I have been putting on here. I have tried to show as much of the beauty of the Upper Peninsula as I can from as great a diversity as possible - ferns, flowers, spiders and fungi, as well as the birds, mammals and landscapes. I would really like my students to be proud of their home! I have tried to identify elements of our land as carefully and as completely as possible to help those wanting to more about them and to help them identify their own findings. Not all the images are "print perfect", but occasionally are meant to show something wonderful I have found and want to share. I have also been thinking about my writing too. The Rivers story in the January Marquette Monthly was one I really enjoyed writing. I visited the local rivers north of town as often as I could this fall in anticipation of the story and have grown attached to the Little Garlic, Yellow Dog and Harlow Creek especially. They have gotten me thinking more about the need for concervation and the value of wild places in our lives. Will need to consider how to do that more. This past week I have enjoyed some time to scan more and to photograph as well. Two of my favorite birds have been in the area, pine grosbeaks and bohemian waxwings. 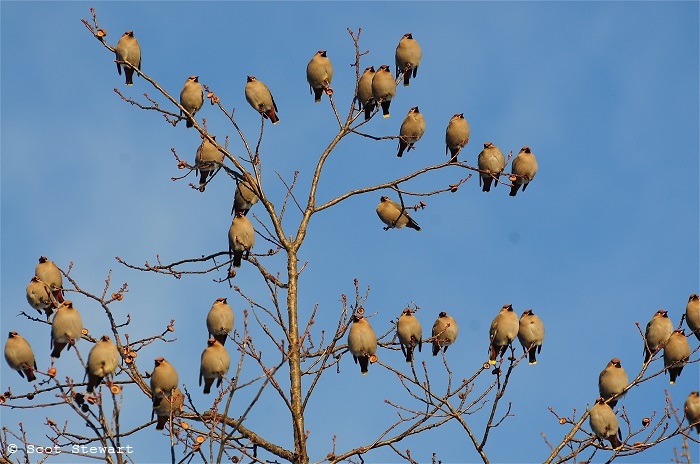 I did get a great opportunity to see and photograph the waxwings, on the edge of a parking lot. Below are two of the shots. 11.2.18: My photo work in Marquette lately seems like a painting, randomly dabbing in various parts of the canvas. 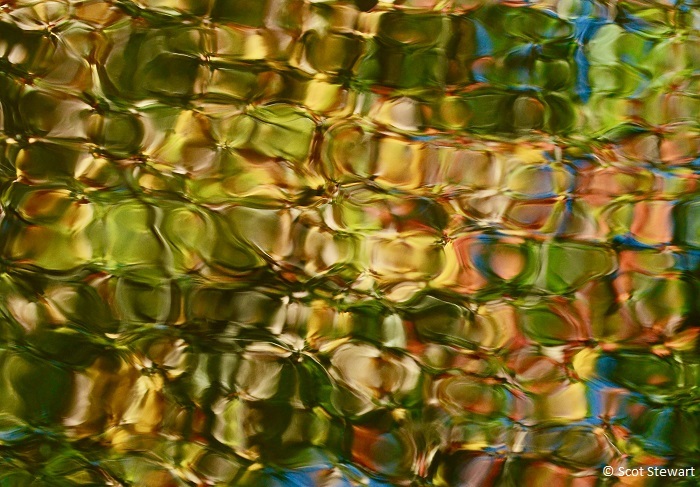 Some of my spots have been visited with certain intent, looking for reflections of the fall colors on water. Some have been to revisit rivers and creeks. Some just routine - like the mouth of the Dead River for birds. Some have been curious revisits only to find something new. The Park Cemetery is full of colorful trees bording ponds in fall. 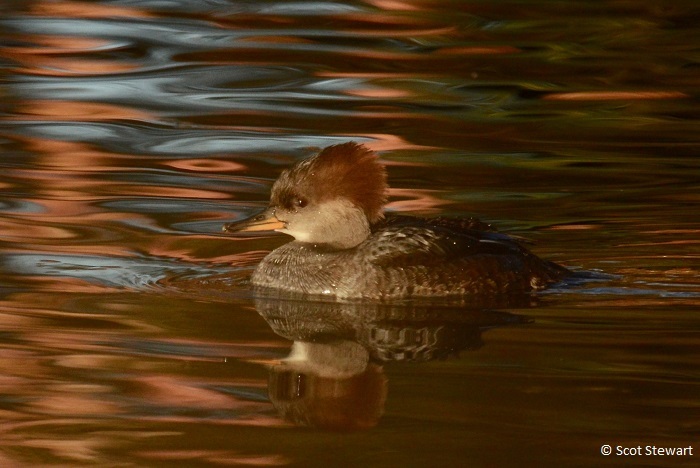 Finding muskrats and a hooded merganser have been wonderful bonuses. 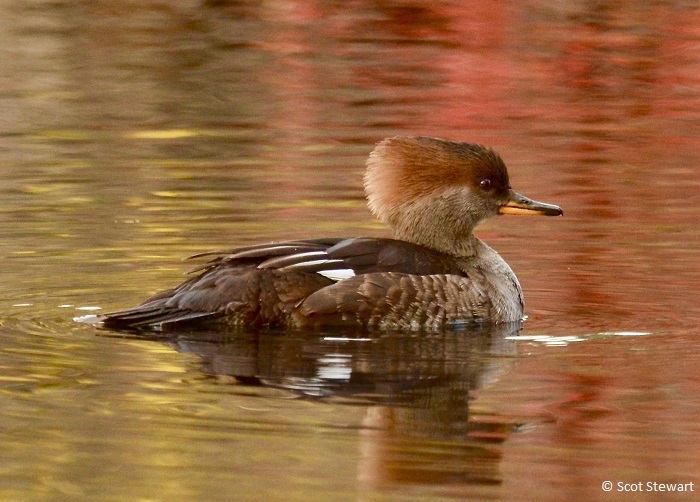 I fouud the hooded merganser on Halloween, under cloudy skies. The colors were dramatic. I went back yesterday with the sun out and worked really hard to line up the reflections with the duck. It was just about impossible. 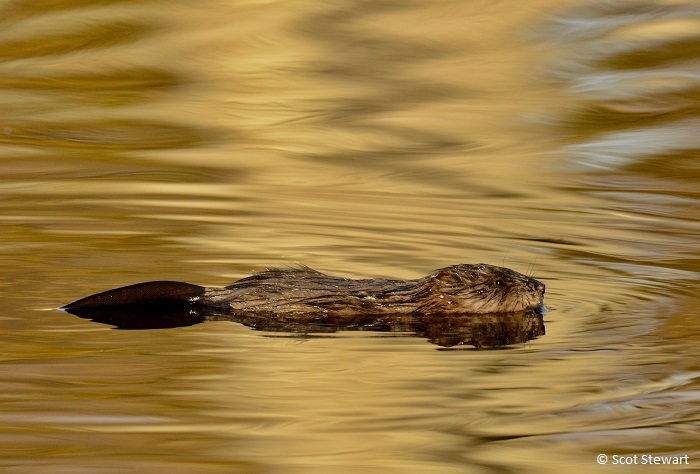 Finally after two hours a muskrat swam right out in fron of me, in reflections and paused. It truly was a gift. Then the hooded merganser swam right out toward me. I felt truly blessed. 10.17.18: With the amazing colors this fall I have been interested in following the color changes along some of the rivers in northern Marquette County and in Alger County. In Alger County I have been to Scott's Creek, Miners River, Munising Creek and a few unnamed creeks in the Pictured Rocks National Lakeshore. In Marquette County I have been walking along Harlow Creek, Yellow Dog, Big and Little Garlic Rivers. 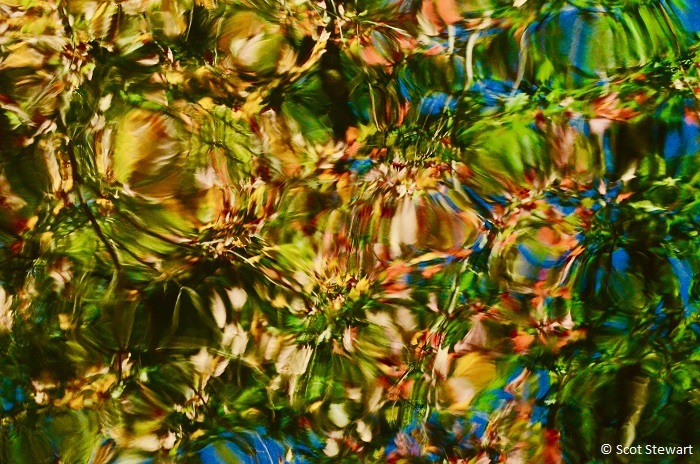 I have been visiting falls, but also looking for color along the rivers and how it is reflected on the water's surface. 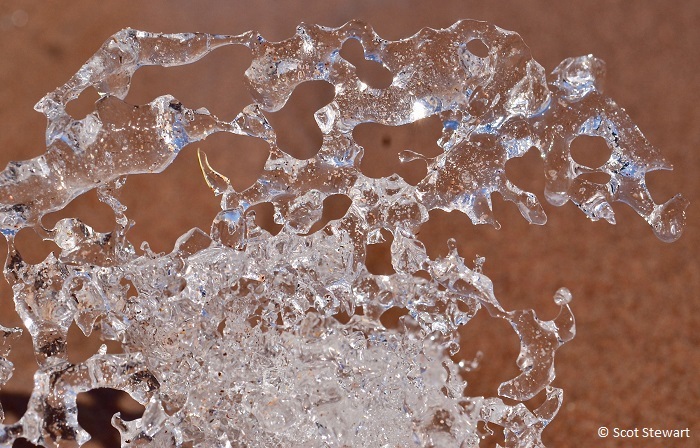 By looking at different shutter speeds I have managed some interesting shots. The lack of sunshine has made it a bit challenging - there just haven't been many days to get good shots. The day I made the images below got off to a great start, watching a mink work along the river. I eventually caught up with it a second time before it ducked behind s clump of roots at the river edge. Later I flushed a quartet of wood ducks. It was a get excursion up the river. 9.29.18: It has been a bit gloomy on many of these late September days. We are looking to set a record for rainfall - nearly 3 inches over the monthly average and a lot of clouds. Just the same, I headed out this afternoon to see if I could find some of the migrants seen at our city's former composting site along the Lake. I was able to find three young white-tailed deer bucks feeding together in the center of the area and later lots of savannah sparrows and several palm warblers. I am always surprised when I can settle into a place where birds are feeding and eventually jsut become part of the landscape and watch them feed right around me. The deer were a bit shy, but a palm warbler fed literally at my feed for nearly half an hour, gleaning insects off eed and other small plants. It always seems like such an houor to share a spot tith them! 9.27.18.18: This has been an unusual autumn for bird migration. 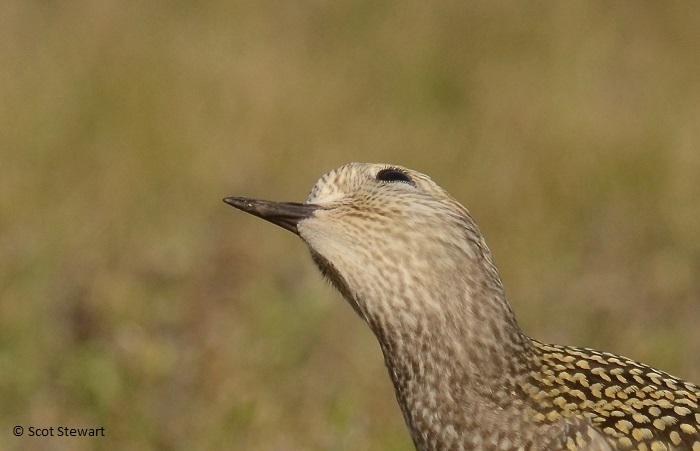 For many groups, especially shorebirds, migration has come in dribbles. 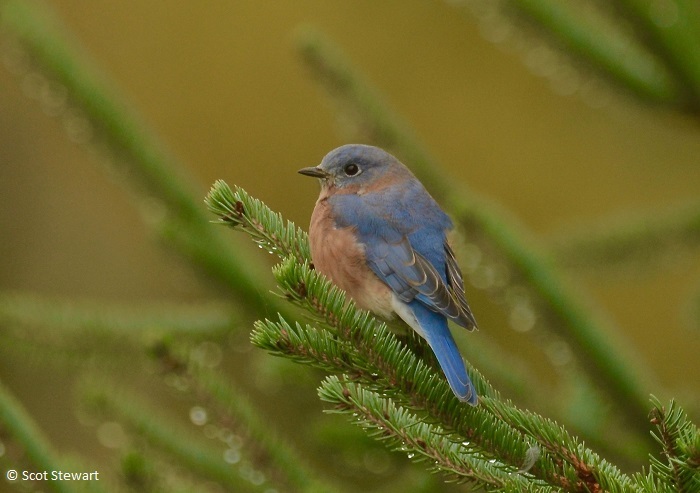 So the news of large flocks of eastern bluebirds south of Marquette came as a huge surprise to me. I have never had the opportunity to see the big flocks that often show up in great bluebird photos, so when I heard a flock was lingering along Co. Rd. 480 in Harvey I headed there after school and after a rainy day and found them. Through some great directions I caught up with them behind a row of pine and spruce trees with half a dozen palm warblers, some cedar waxwings and eventually a flock of American robins. They dipped up and down the row of trees, over to another perpendicular row and into the tansy and goldenrod clumps in the adjacent field. 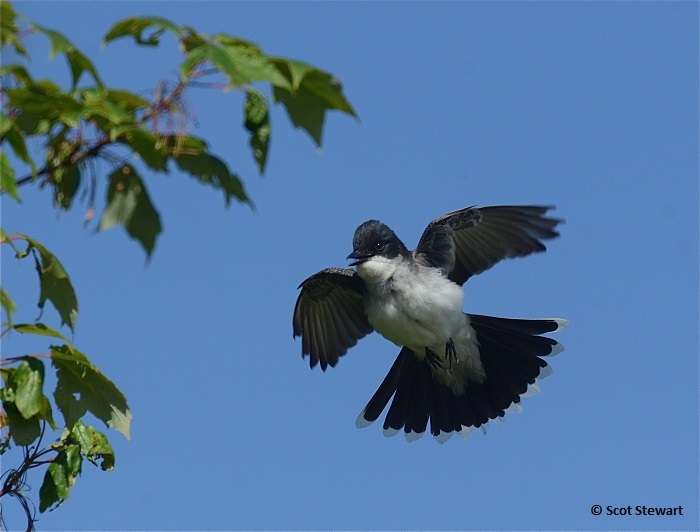 there were juvenile and adult birds, and as always, they were skittish. Here are a couple of shots from the day. 9.26.18: My interest in macrophotography was rekindled this summer with the search for interesting insects. Hoping to improve my results I obtained a ring-light to help me get closer. 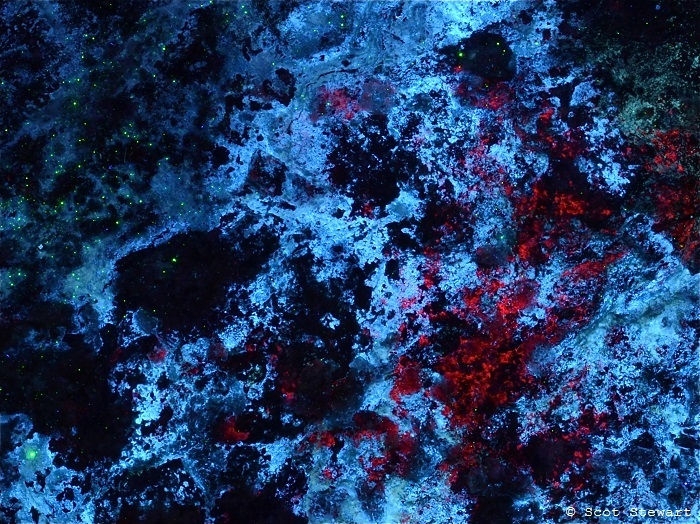 One of the first successes with the nexw set-up was some shots of a speciemn of iridescent hematite from Spain. Some of the results are below. 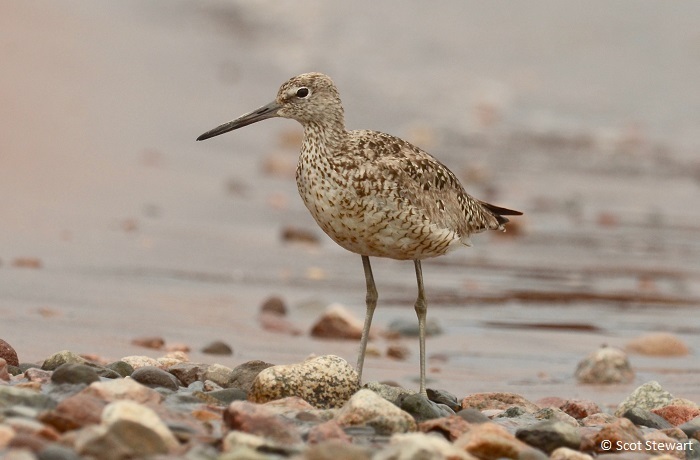 9.22.18.18: Shorebirds have been scarce across many areas in the Upper Peninsula this summer. 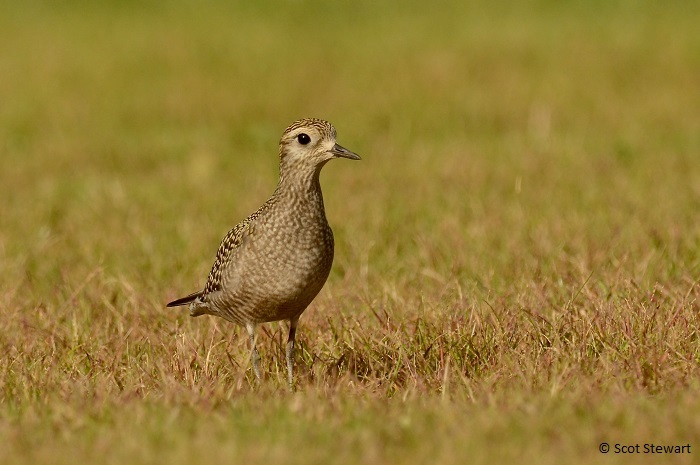 I was delighted to come across a group of five American golden-plovers at the edge of the university. They seemed fairly oblivious to the people readying for a parade, but did flush when trucks drove by. They were particularly interested ina circling peregrine falcona and froze regularly nd hunkered down to avoid detection. While looking up, they offered aaan opportunity to look at their eye coverings. 9.03.18.18: I finished my summer vacation on a glorious note spending most of the day exploring the Garlic Rivers in northern Marquette County and the Lower Harbor in Marquette. Our last walk was out the breakwall, the local name given to the breakwater near the iconic red lighthouse, where we found gulls, single Baird's and semipalmated sandpipers. 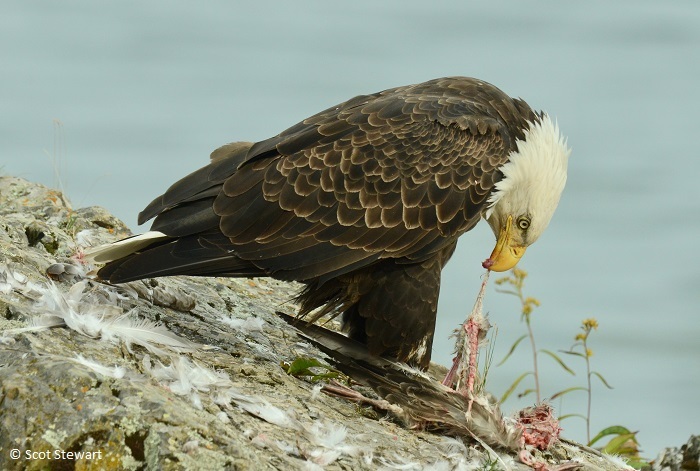 On the return though we were surprised to find an adult bald eagle feeding on a rock just off shore near the start of the breakwall. It seemed very hungry and unwilling to give up its spot or its prey. 8.30.18: My summer vacation is quickly transitioning into my 40th year of teaching! It has been a wonderful summer with lots to see, do, and photograph. My wife and I hiked up to the Little Garlic Falls this afternoon. I was hoping to rephotograph the falls, but the lighting was not what I expected and I did not shoot there. HOwever, the trees are beginning to change colors, in part due to a really dry August. So of the rocky ridges were covered with trees and bushes covered with dried and dead leaves. Wetter areas have fared better. 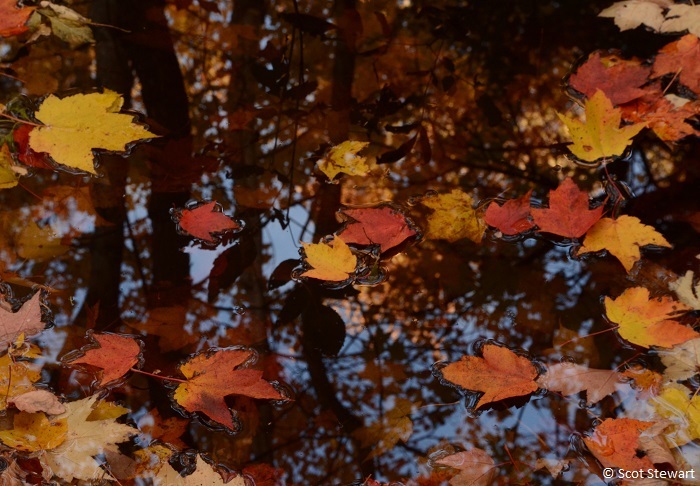 I found a maple tree with some yellow, gol and orange leaves reflected in the water and began to see fractals of the leaves in the small elevated patches of the river qwhere the water rose over ripples of sand and rock on the bottom. I believe I will be working on a new series this fall! 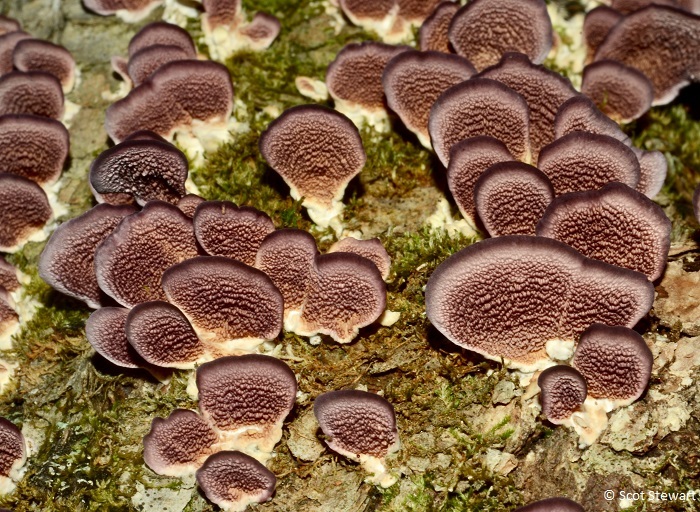 I also found a large stretch of violet-toothe polypore fungi along the trail and really enjoyed seeing them again The ongoing thunderstorms this week should create some great conditions for fungi and slime molds in the coming days. Can't wait! 8.24.18: Hard to believe it is the end of August already. It has been a busy summer, really busy, with lots of great opportunities to photograph and write. I've called it the summer of bugs, berries and birds. All have been great. 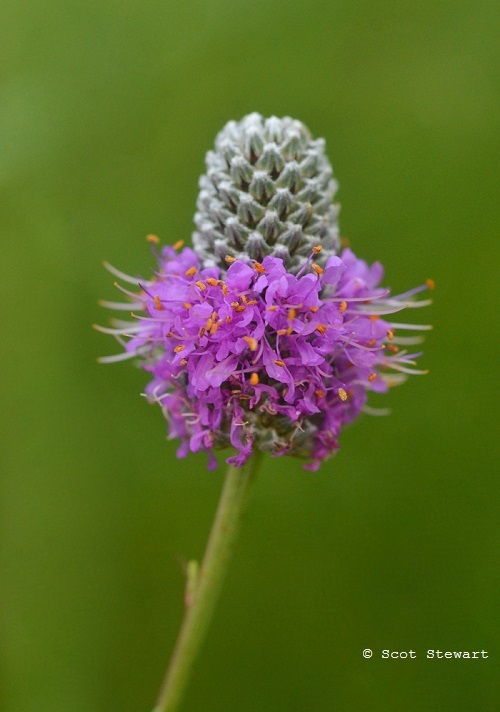 The insect photography, including lots of bugs, true bugs, has been fantastic. So much so I decided to add a page of insects witgh a category for each species, even though it means being more aggressive in id'ing them, instead of rolling out all of them in categories by orders (classification groups). The page is curently under construction. Many of the inswects can still be found on the "Other" page and are slowly being moved over. 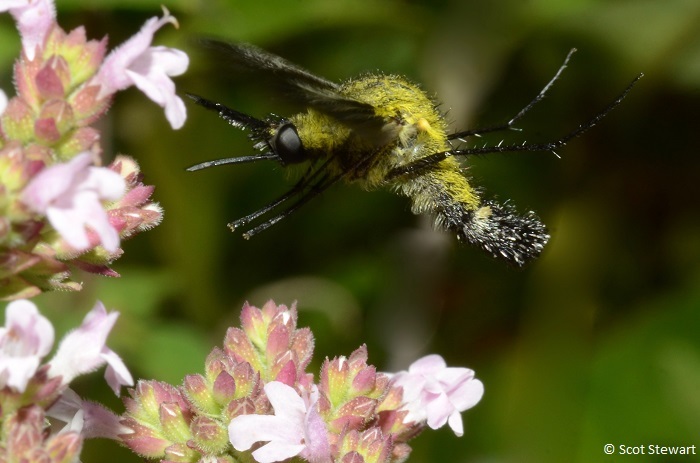 But there are hundreds of new insect images being added too, like the scaly bee fly below. I found a large number of fly mimics this year - flies that look like bees and wasps. 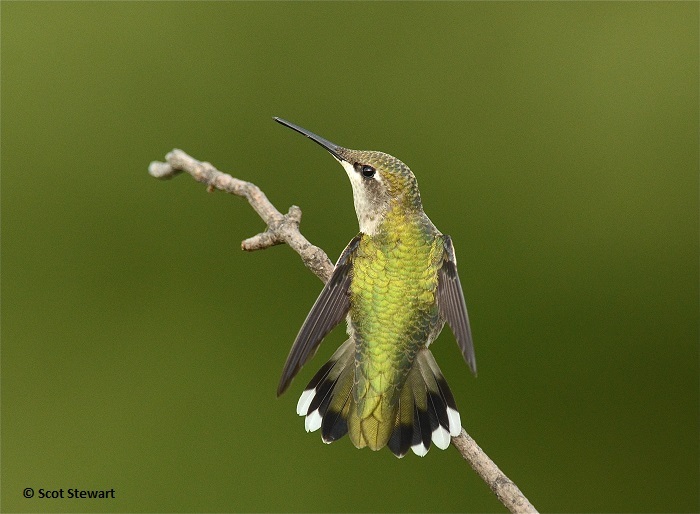 This one is almost a hummingbird mimic - with the green color and the antennae resembling a long beak. As the images are added the new categories will appear. 6.25.18: This is turning into an exciting summer, with lots of travel, much of it for family. 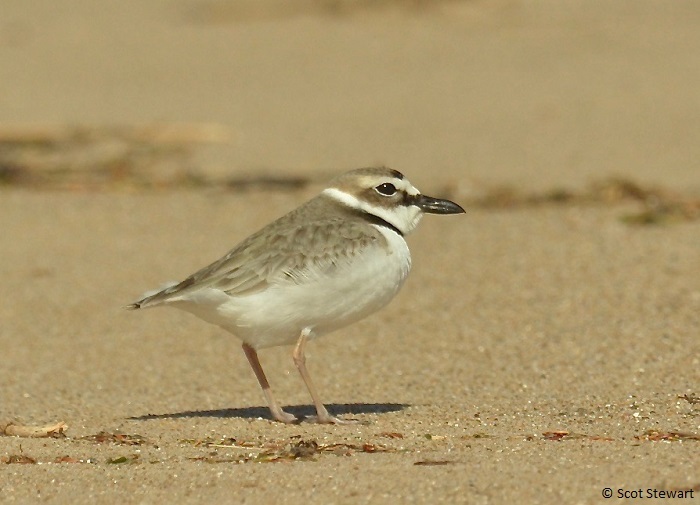 Summer has provided a number of fantastic opportunities for vagrants in Marquette and the central - marbled godwit, Wilson's plover, and some late migrants, but also some great opportunities on the road. Made two stops at the HOricon National Wildlife Refuge in Wisconsin, hoping to see some of their summer resident black-necked stilts. 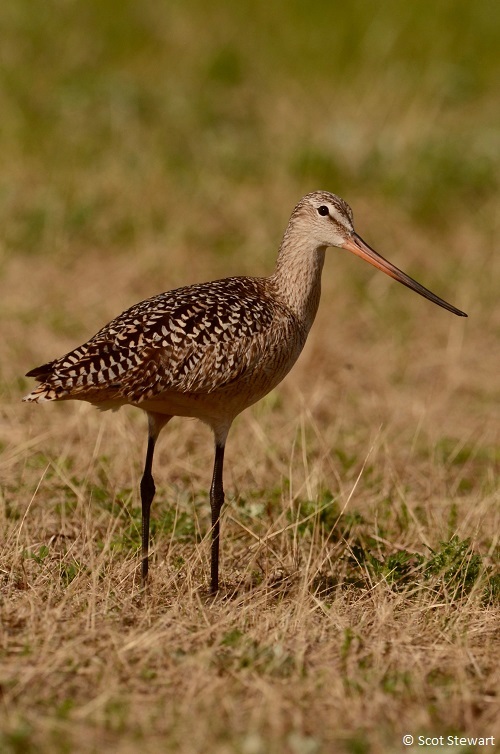 Stopped along HIghway 49 the past two days and found the stilts, a ways off the road, and had an unusual repeat of a pair of sandhill cranes flying into the area and truly upsetting the stilts - about eight of them, some red-winged blackbirds and one yellow-headed blackbird. It turned into an amazing show. 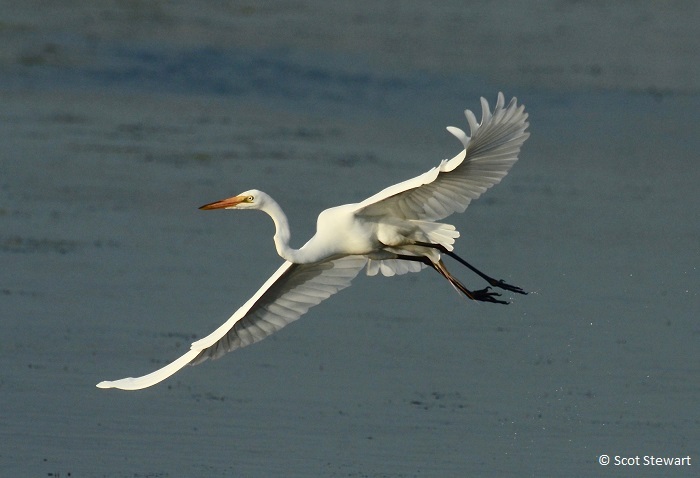 Both days had large numbers of great egrets - at least 31 Saturday,, with Sunday seeing lots of American white pelicans, a pair of trumpeter swans, Forster's and black terms, gadwalls and others. Amazing to see so many species, showing so much behavior! 5.31.18: It is alsways exciting to come home from a trip and find out what is currently exciting everyone in Marquette who follows birds. This week was not exception. There was a snowy egret in Escanaba, a white-eyed vireo at Whitefish Point, and a marbled godwit near the Superior Dome in Marquette. Fortunately for me I was able to find the godwit before school the next day and again in the rain that afternoon and the next afternoon. Alone in the dry fields near the soccer field, it took a little time to gain its confidence, but was fun to watch foraging for insects and slugs. 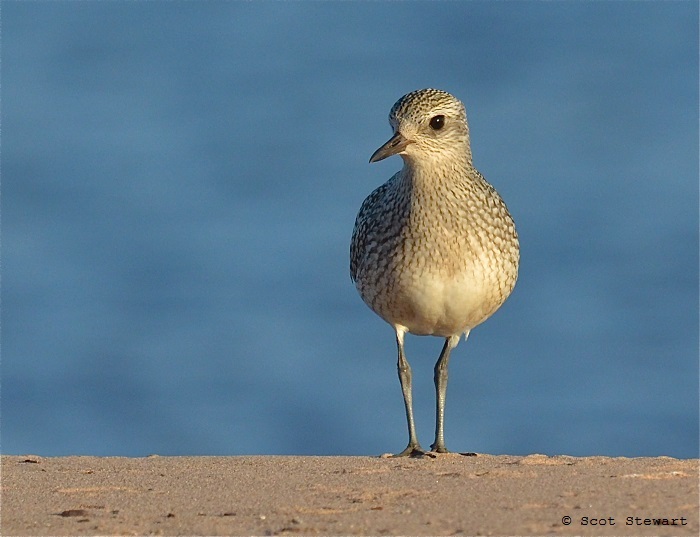 I enjoy the challenge of slowly working closer to shorebirds, resting on one knee, keeping a low profile. They seem to sense you are not a threat after a whila and even approach after a time. Spent about an hour and a half watching. (It arrived on May 26 and left late today or early the next morning. 5.28.18: The Wisconsin Driftless Area is one of my favorite places to be in late May. Made a trip to the Dodgeville-Spring Green area for a few days to be with family and relax to the sounds of whip-poor-wills, cranes, eastern screec, barred and great horned owls, the smells of lilac and honeysuckle, and views of a variety of birds that don't usually make it farther north into the Upper Peninsula. 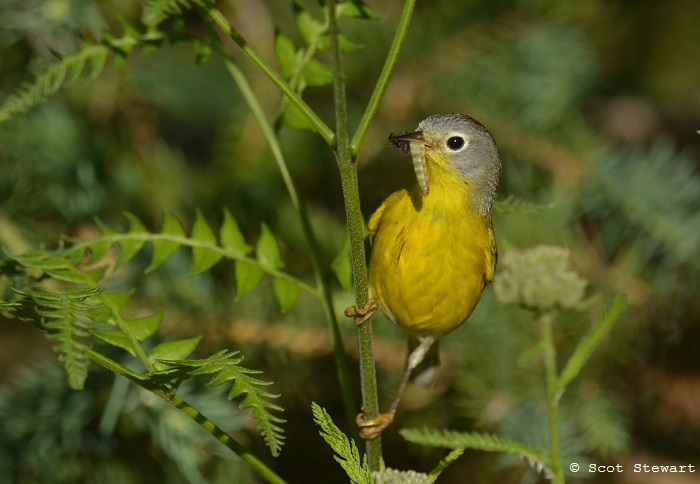 I was able to photograph blue-winged and yellow warblers, grasshopper sparrows, warbling and yellow-throated vireos. We made a quick trip also to the TNC Spring Green Preserve, a dry prairie wih blooming birds-foot violet, plains wild indigo. STaying at a small cabin provided a great break from TV, email, internet and the rest of technology. Busy adding shots to the website butironically slowed by a slow computer! 5.11.18: May is my favorite month of the year. 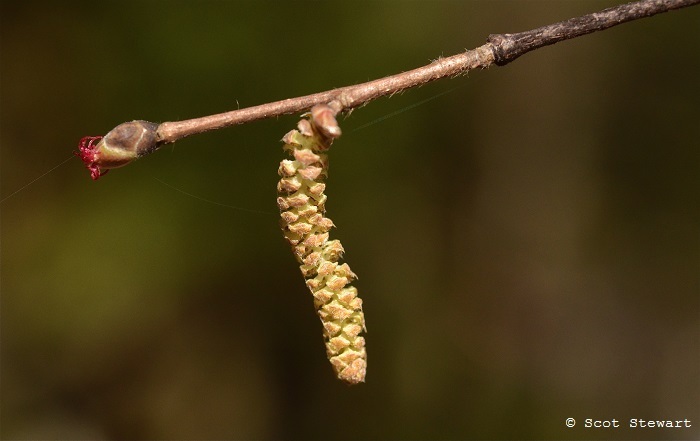 Bird migration is in full gear, tree flowers then wild flowers are blooming, there is an explosion of pastel colors of newly leafing trees on hillsides, sounds of singing birds by day and frogs by night and smells of rain, rich, moist soil and trailing arbutus. 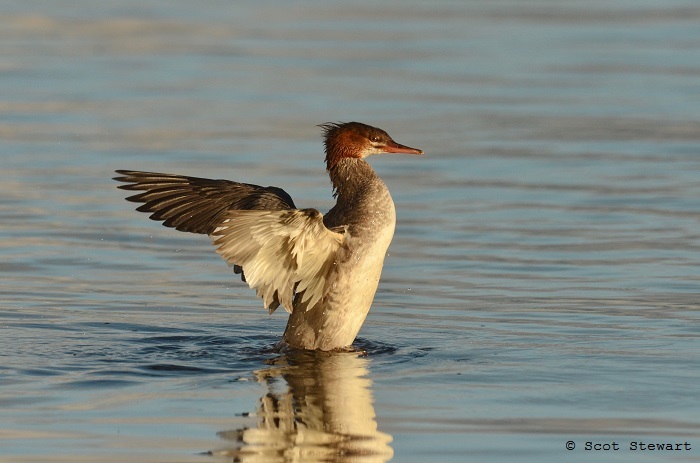 Migration also brings surprises - vagrants and other birds off course landing in the area to rest and refuel. 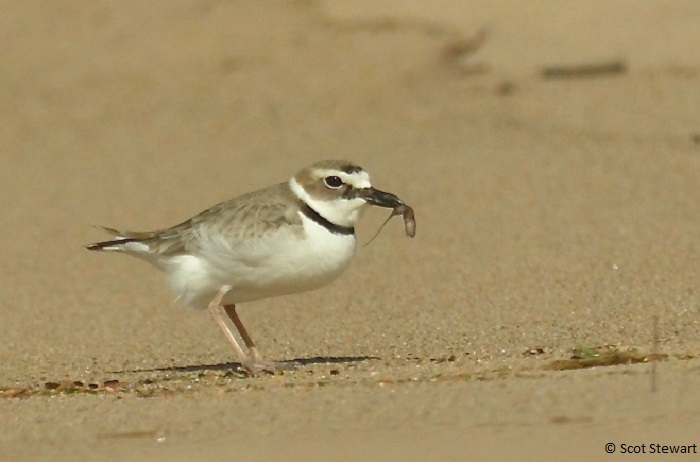 The fourth ever Wilson's plover reported in Michigan was discovered at the mouth of the AuTrain River in Alger County May 9 by Scott Hickman. I took a gamble and drove down to find it and did with the help of two more friends, Bruce Ventura and Tina Hall. We live ain a wonderful community of skilled and appreciative birders, willing to share t heir discoveries. I spent an hour and a half watching it, especially as it foraged and did find some large insects to eat. II did resort to a trick that helped get some decent pictures - taking a knee and lowering my profile as it worked the beach and eventually came fairly close to where I was. 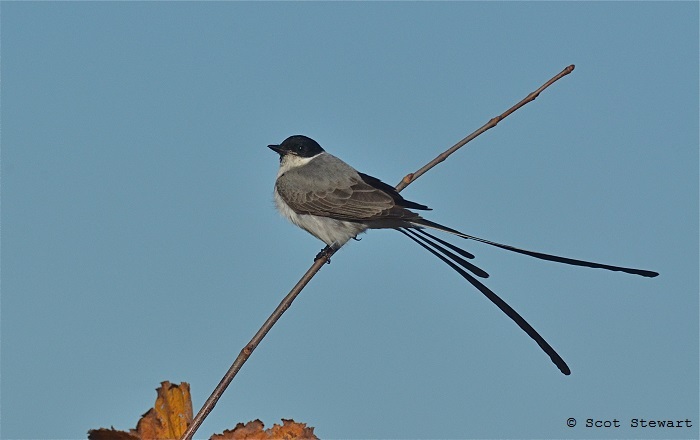 It is great to feel that connection with a bird that is not upset with your presence and allows you a special few precious moments to observe it at close range. Cannot wait to see what today brings! 4.29.18: Spring finally seems to have winged its way to the Upper Peninsula. Most of the area seems to be losing its snow quickly - except the far northeastern part - especially aroujnd Tahquamenon Falls state Park where there seems to be at least a foot of snow still on the ground. 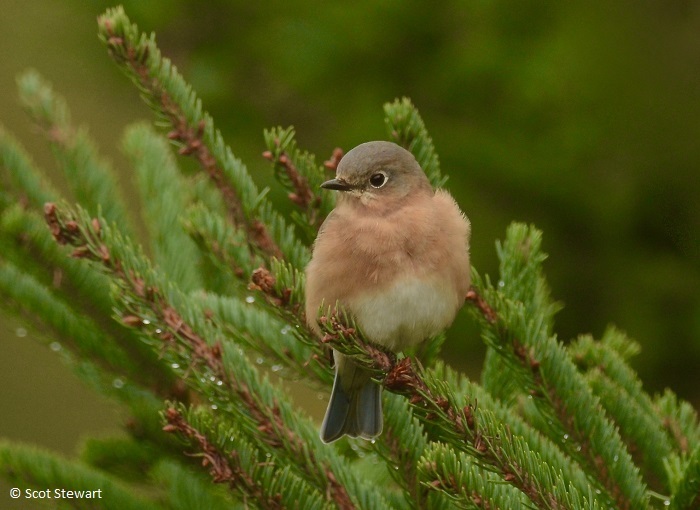 With a drastic change of temperatures and wind today great things were expected at Whitefish Point with bird migration. Birders there were not diasppointed. Highlights for the day included two snowy owld, 1500+ sandhill cranes 139 rough-legged hawks, two golden eagles and a red-shouldded hawk. 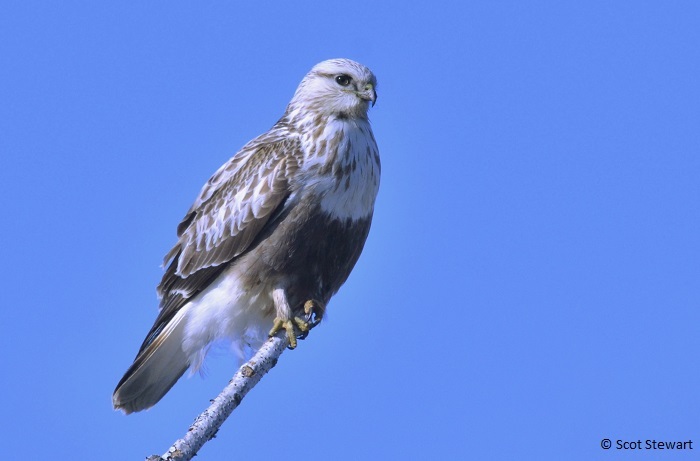 On my way home I found a light phase rough-legged Hawk on the Seney Stretch and a pair of cooperative common goldeneys in the Lower Harbor of Marquette. It is amazing how the arrive of spring puts its namesake in your steps! 4.28.18: Today looked like a great Spring Day but it certainly did not fel like it. Icy daggers of wind seemed to rip through light jackets and reminded many winter was not going to give up its grip easily. Hiked down toward Wetmore Bog to see how a patch of round-lobed hepatica was doing. Found them last fall and have patiently (mostly) waited for the snow to come and go to see them bloom. Foudn two plants with their evergreen leaves raised off the duff, the rest are still plastered to the ground. After removing some leaves found some 1/2" tall sprouts bearing furry buds. 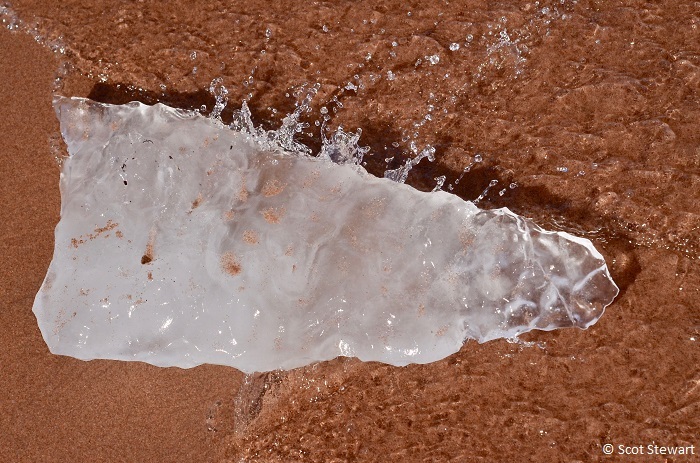 Should ge ready this coming week" Went next to Wetmore Landing to the east and found some stunning ice chunks in varying stages of melting on the beach. The look like raw diamongs and transparent arborescent (leaf-like) copper. 3.30.18: More seesaw days - 50's yesterday, and more snow on the way tomorrow. Despite the weather, the birds are making their way back into our area, with up to four robins feeding on the soft, brown apples in our back yard. Peregrines ae sizing up the nest boxes at the local power plants. Vultures, grackles, red-winged blackbirds and woaterfowl are also easing in. Back at the Dead River hooded mergansers were spotted yesterday, so I haeaded back to see them. They were there, and two trumpeter swans back there too. I watched as they eased back in front of me again. 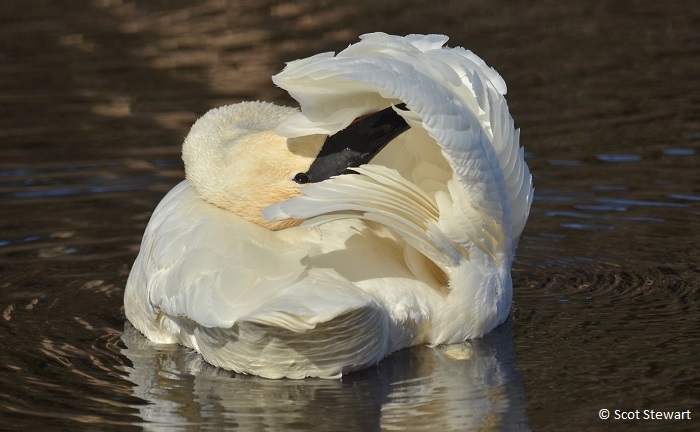 With no food there, they began preening and I photographed their contortions. 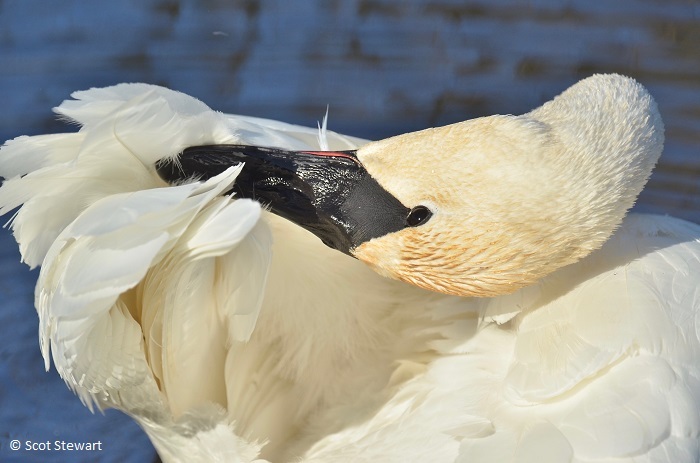 It was amazing to see how their necks facilitated their movements to perfect the alignments of their wing and back feathers. Had another wonderful, inspired spring afternoon watching this pair. 2.27.18: Spring seems to be knocking on the door. With ever longer periods of daylight and mild temperatures you can just feel the change(s) coming! I have begun hearing the subtle signs of the birds getting excited too. 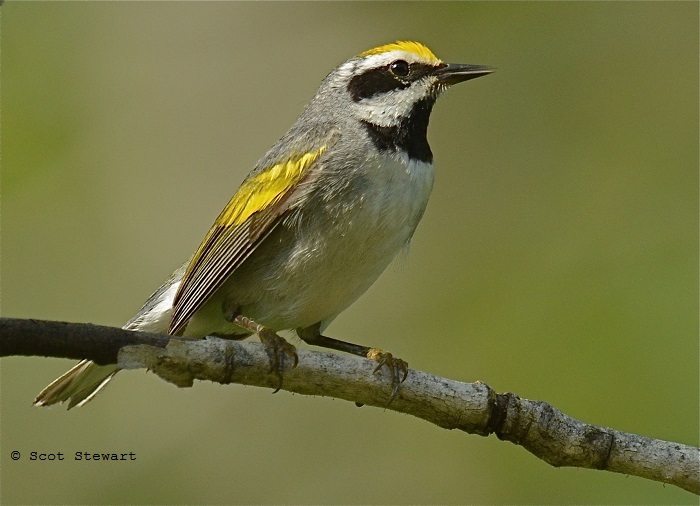 Chickadees are starting their singing and goldeneywes are displaying and sounding off. 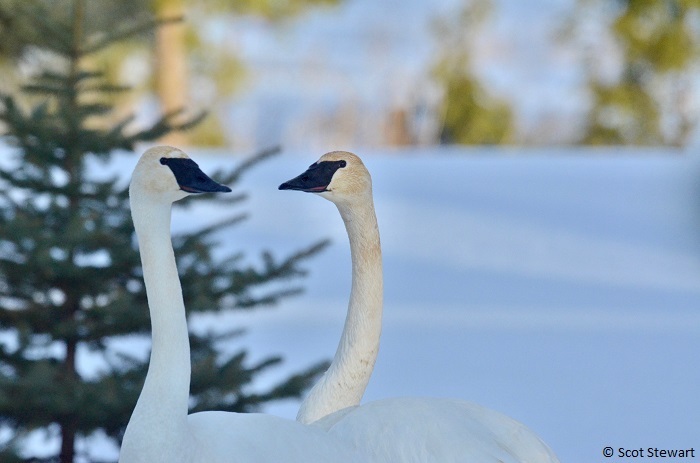 On the Dead River a pair of trumpeter swans have arrived again this winter as they did last year at this time. Not sure where they end up in the summer - no young were seen in the backwaters there, but they are a welcome sight in winter. Their gentle honking and slow, grazeful glides across the glassy water just calm the soul. After hearing about their recent arrival I headed down there after an unsettle weekend and found them down river from the public access on Granite Street. Fortunatedly, I was not there too long before they hopped into the water and glided right down to where I was standing. Hoping they would swim closer, I got my camera out and was able to get a few shots. They were a welcome bit of grace on a gorgeous warm afternoon. 2.9.18: Hello Hello!! This has just been a phenomenal weekend. 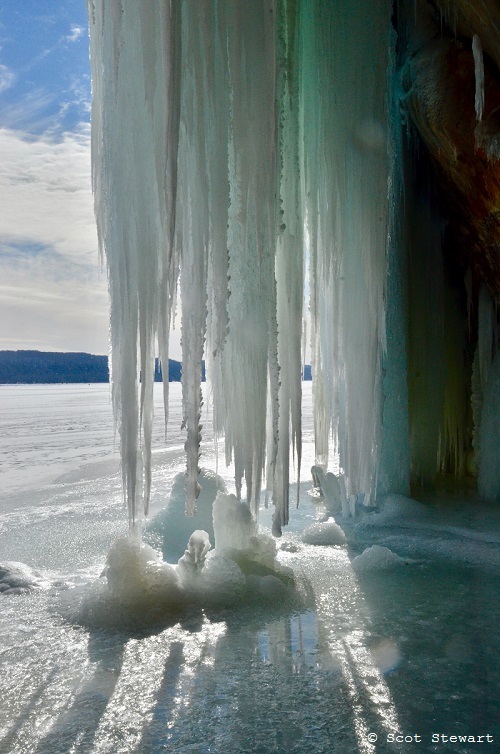 Went with the family and some friends to Grand Island, in Munising Bay to the east today, to take a look at the amazingly beautiful ice formations on the cliffs there. It is a 3/4 mile hike across the ice on Lake Superior from the mainland to the island so it is a little intimidating - especially since several snowmobiles sunk out there last week and a hovercraft was sent to bring the snowmobilers back to shore. The ice is much safer this week due to continuing single digit temperatures and calm winds. There was a well-trod pathway to the cliffs, mostly across ice with a few inches of snow atop it, and by the time we headed back to shore, there were 30+ skiers, ice climbers, and hikers out there with us. Water continues to seep down the cliffs leaving plenty running over the surface on the ice close to the island's shore. With that we did find one soft spot with at least 4 feet of water directly below just a few feet from the island. 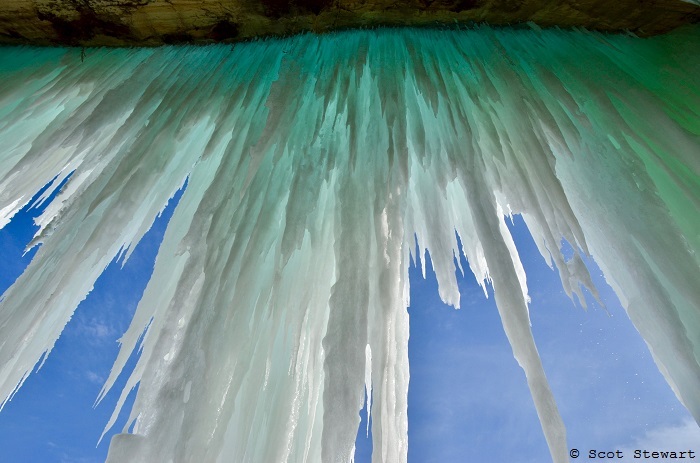 The water drips off the cliffs and freezes into remarkable columns, stalactites and curtains of blue, green and yellow. leaving walls, caves and other structures to explore. 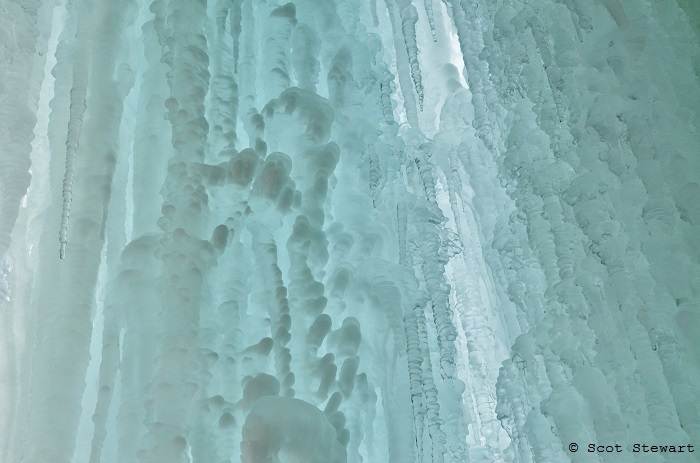 Sunrise may be the best time to visit, when the light is low and saturated and the colors of the ice are more intense. None-the-less, there is plenty to see. There was an American tree sparrow out there too foraging in the plants and rocks above the ice. It was a truly delightful day! Just a note again about later this month. 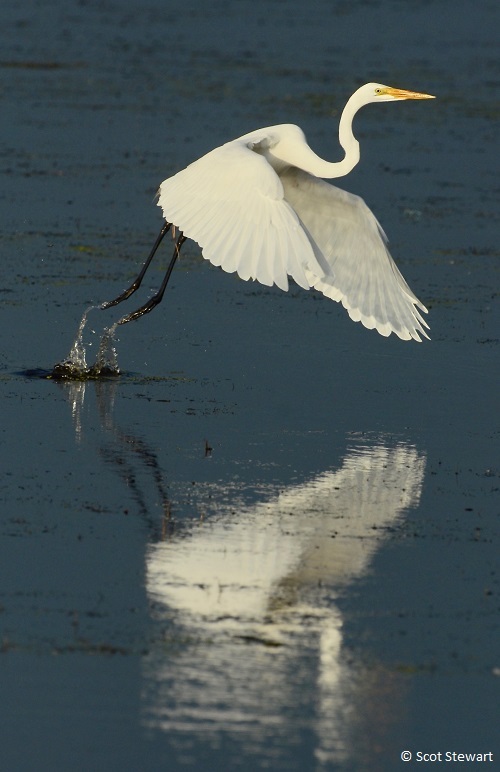 I will be doing a program for LSAA on February 20 at 7:00PM in the basement of the Peter White Public Library on abstracts, macros and a few new bird shots. I hope to see you there! 2.10.18: Despite the cold, being outdoors has been delightful. I visited a good friend today in the western part of the county who maintains one of the best feeding stations for birds in the U.P. She has the best place in the state to see evening grosbeaks, and plenty of other visitors like redpolls, gray jays, pine grosbeaks, common ravens and raptors. Today was no exception with a "quiet" day, but still plenty of good birds and behavior. Most everyone showed up while I was there, plus a very talented robin mimic. A starling sat in a nearby tree most of the time I was these doing his best impressions of a robin, a common grackle and I think a gray jay. Starlings are amazing and great at getting your hopes up. What a treat to see so many birds of color in the middle of winter! A couple of portraits are shown below. Just a note again about later this month. 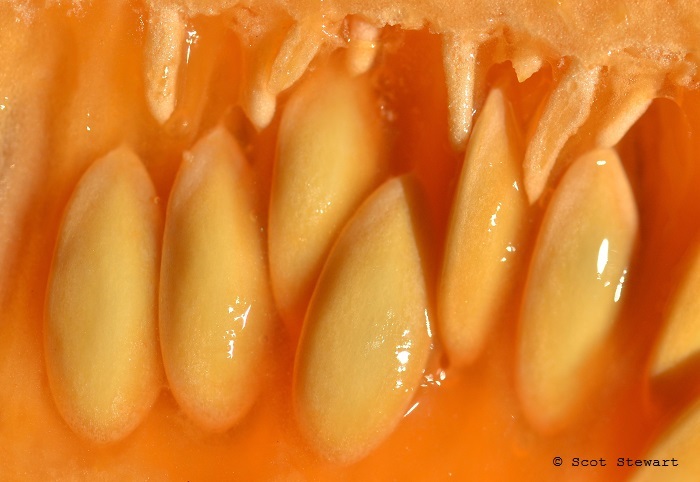 I will be doing a program for LSAA on February 20 at 7:00PM in the basement of the Peter White Public Library on abstracts, macros and a few new shots. I hope to see you there! 2.9.18: Hi! February continues to be an amazing, beautiful and busy month! Longer sunny days have been a welcome respite from the darkness of January! With the clear, windless, sunny days and clear nights Lake Superior continues to freeze over, with more than 50% frozen now. So the lake effect snow machine is shutting down. Scanning lots of slides during these winter days with new images added to white-tailed deer, coyotes, mountain goats, trees (my favorite sugar maple through the seasons now in North American Species), Moose, leaves, Olympic National Park, Lake Superior, and new categories for gray fox, and deer mouse. 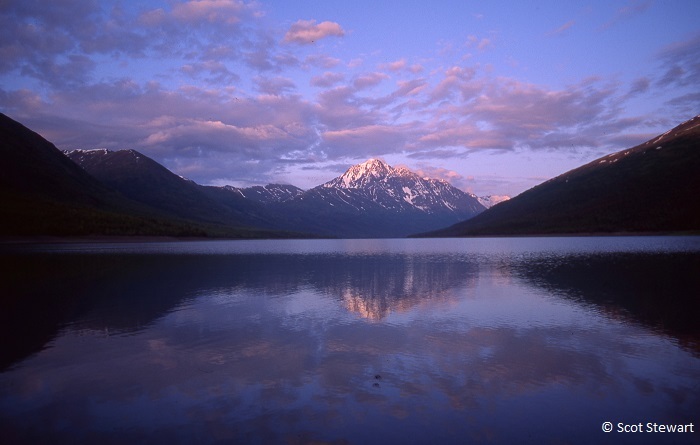 Scenics include Mesa Verde, Lake Superior and Alaska. 2.5.18: Hello again! 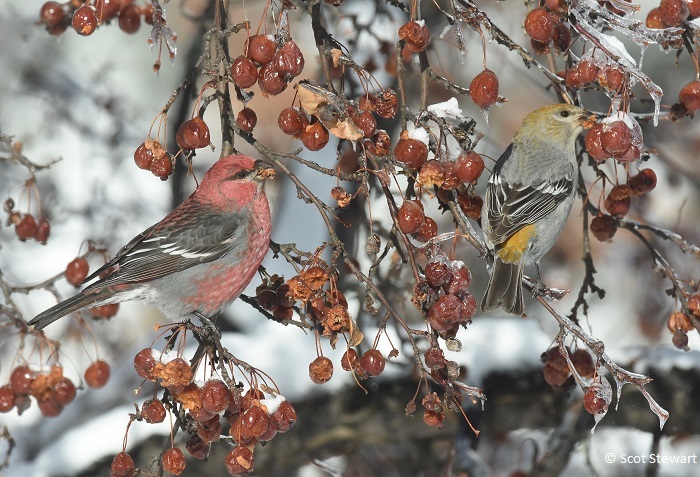 Below are a pair of images of pine grosbeaks from yesterday. They are one of my favorite birds, brings great splashes of color in the middle of winter. Their tameness and soft warbly calls make them seem like long lost friends back for another visit. 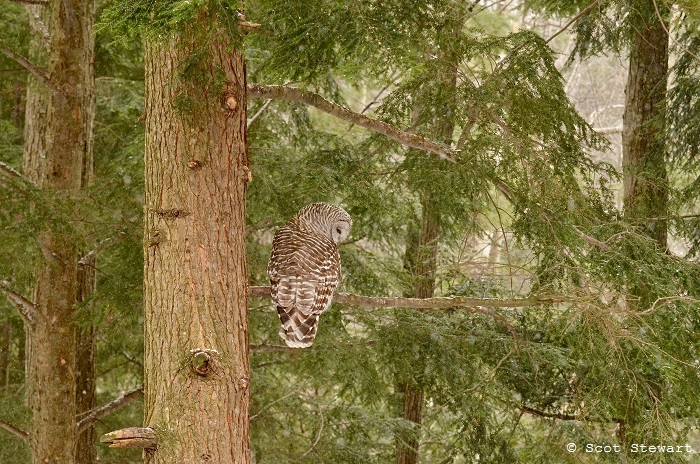 Looking back at the barred owl shots posted yesterday and marveling at how the hemlock stand where it hunted was such a magical spot on a cold, snowy day. 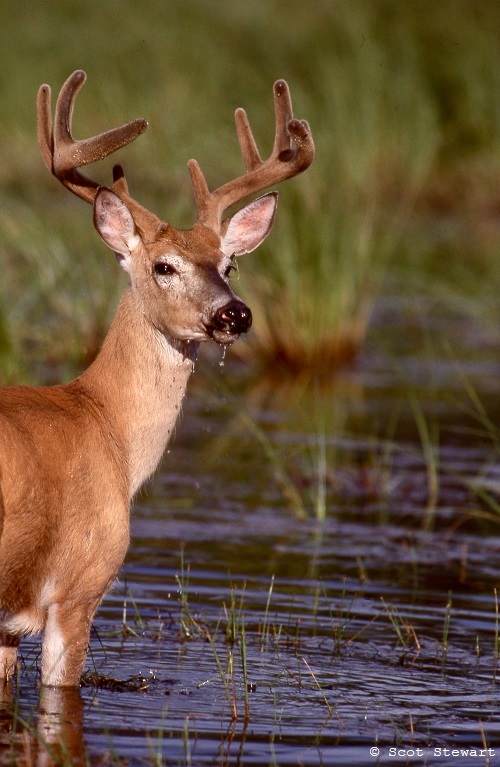 It added so much to the atmosphere of its hunting. 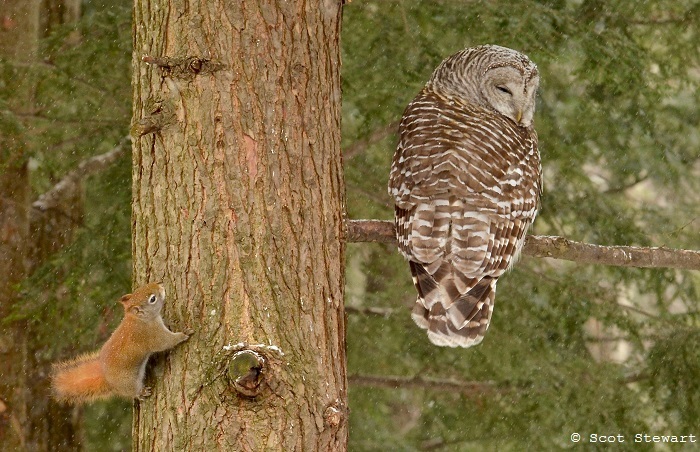 There were several red squirrels it was watching, mostly without hope of a meal, even when one had its back to the owl just four feet away. Could have sat all afternoon watching, trying to figure out its thinking and strategies. 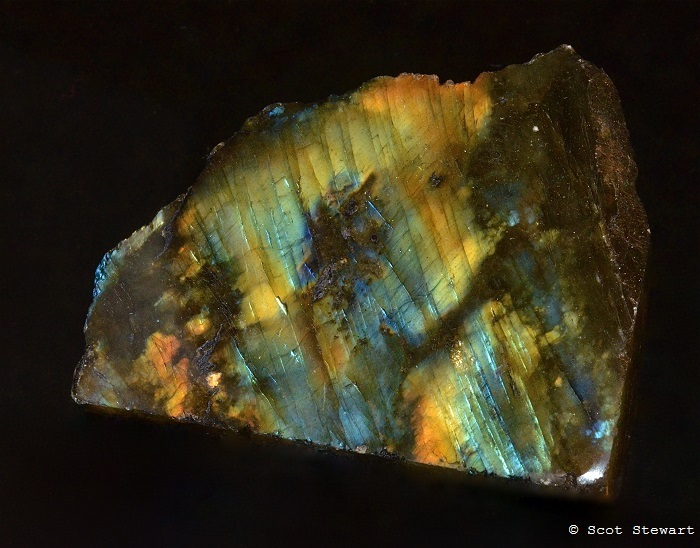 Lots of new mineral images were added to the website with new minerals - including Pharmcosiderite, Arthurite, Riebeckite, Picrolite, Zoisite and Metavariscite, and new images to Siderite, Prehnite, Dioptase, Conchalcite, Dumortierite, Brucite, Stibnite, Vesuvianite and Silver. 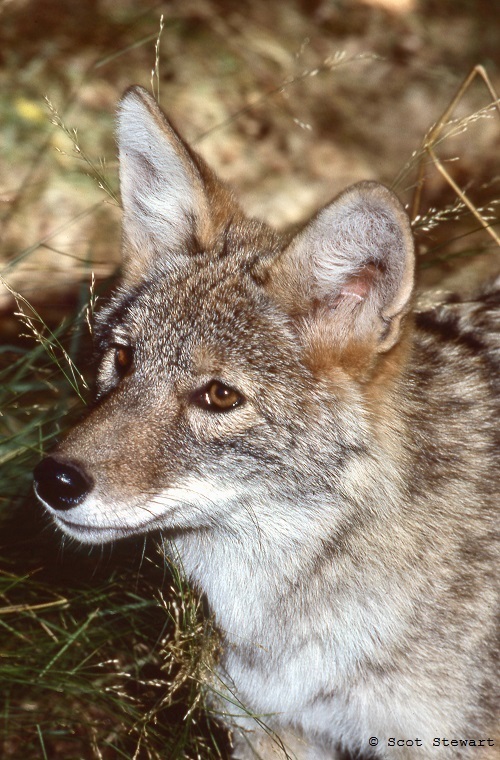 Mammals shots were added to Mountain goats, Coyotes, Southern Flying Squirrels, Marsh Hares and Striped Skunk. 2.4.18: A belated Hapy New Year to you all! I can't believe it is into the first week of February already. The past month and a half has been very busy! Besides great family events and writing, I have opened a show in the Lake Superior Art Asociation (LSAA) Gallery in the basement of the Peter White Library (PWPL) in Marquette that will run until the end of February. 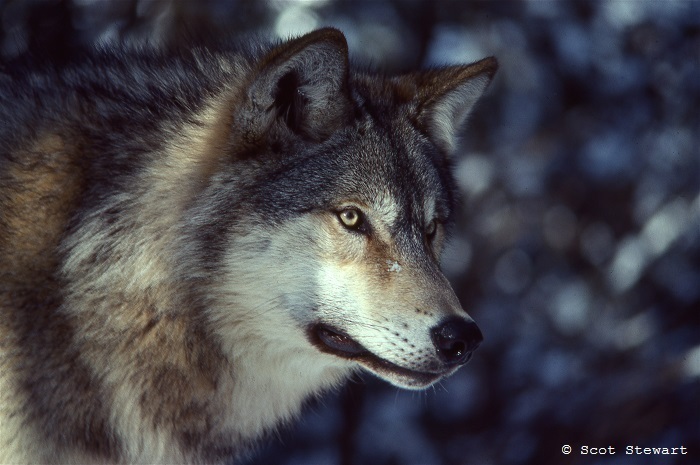 It is a bit of a retrospective show with some images from the days of wolves, birds, travels and some new work. I also did a program at MooseWood on U.P. natural history and led a walk for visiting students from Central America on Presque Isle and did an owl program in Marquette last Friday followed by a look for owls - we found a pair of great horned owls in north Marquette! 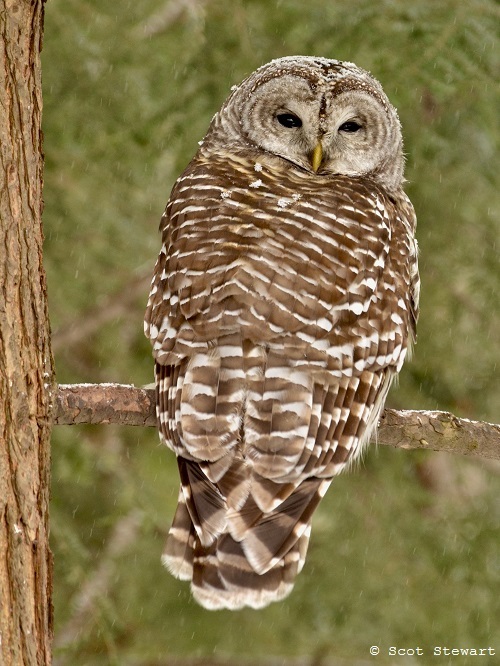 I was fortunate to be able to stop in at a friend's home yesterday who has a visiting barred owl showing up at his yard periodically. Below are some of those photos and the link to the rest. Today, in the continuing cold - aroudn 5 above, I found aa half dozen pine grosbeaks in town and will post some shots of them tomorrow. We have had some really cold stretches this winter, but it has been a beautiful season! 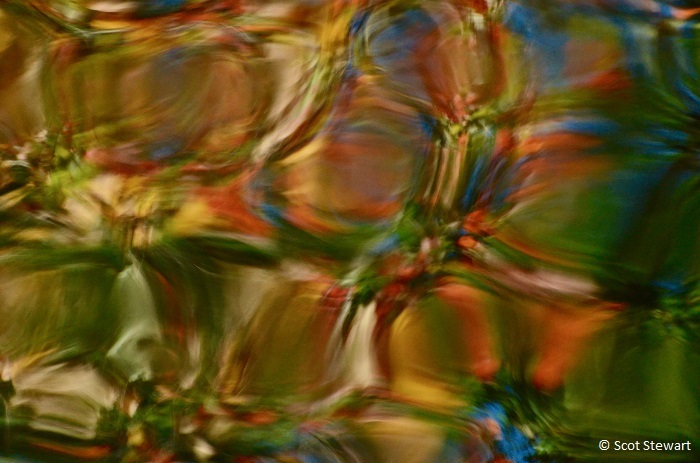 I will be doing a program for LSAA on February 20 at 7:00PM in the basement of the Peter White Public Library on abstracts, macros and a few new shots. I hope to see you there! 12.16.17: Yesterday was Marquette's 70th annual Christmas Bird Cout. Not sure how many I have been a part, but I have done a bunch. I am always amazed at what is in the area, and what can be found if you send a dozen or so great birders out to find them. Alec Olivier and I searched the north side of a circle with a 7.5 mile radius, the protocol for the count. It is always great to bird with Alec because of his keen abilities to see and hear distant birds. I always get to see more when I am out with him. We ended up with 28 species in our area plus a bit of "poaching', looking in the adjacent quarter. 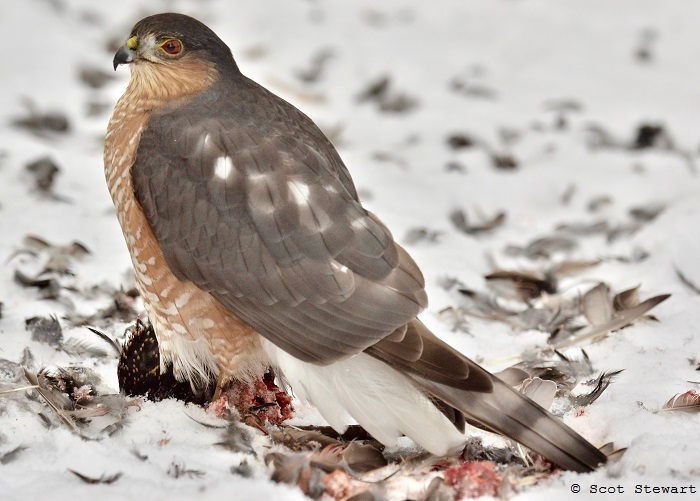 There we heard about a sharp-shinned hawk feeding on a starling in a friend's driveway. We also found both species of crossbills in our amazing city park, Presque Isle, more than 100 goldfinches feeding on spotted knapweed seeds in a field and a hooded merganser with over 400 mallards. 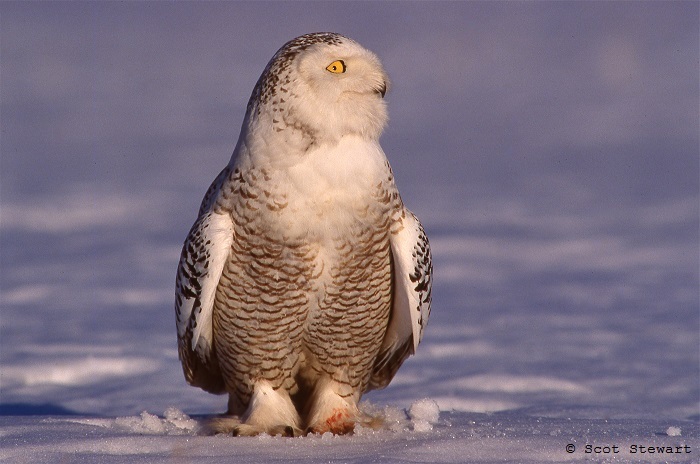 Elsewhere in town there were three snowy owls, lots of bald eagles and pine grosbeaks. Still waiting on the final totals, but we will have somewhere around 50 species reported. We also count other species during the "Count week". Found a pair of glaucous and an iceland gull today so will see if they were around to be counted yesterday. 12.1.17: Autumn of 2017 has been a wonderful time in the Upper Peninsula. Weather has bee mostly mild, with several big storms of wind and some rain and snow. 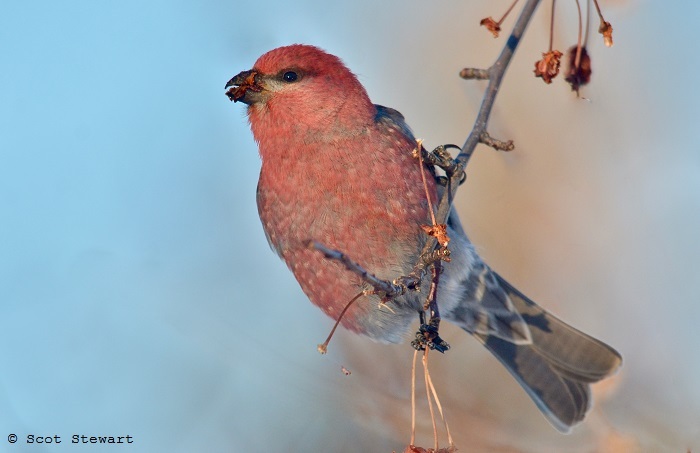 Pine grosbeaks, pine siskins, crossbills, common redpolls and snowy owls have invadd from the north despite the warm weather. We have had around a foot of snow this fall, but little is left at the moment. I have found some late slime molds adding to a great seasson for them around school but one cold night, just one night around 20 degrees took care of nearly all that was left of the tree leaves still bearing any color. It was a bit disappointing but there have been some other great swurprises. Traveling home Thanksgiving weekend we stopped at Bond Falls in Ontonagon County to take a peak at it in early "winter". Found some ice along the edges and plenty of water. Later we began driving toward a rainbow, just a small strip near the horizon. As we reached Ishpeming Township the sun must have hit 42 degrees above the horizon and the rainbow filled out, doubled and apparently tried to triple. We turned onto a small side road where we could stop, enjoy the view and photograph. 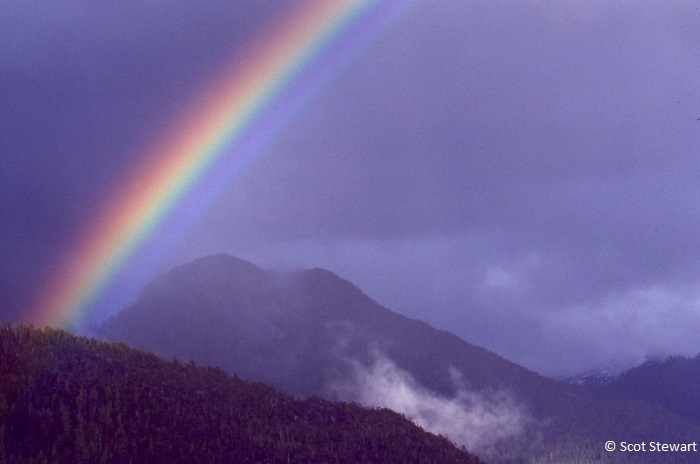 The inside of the main rainbow contained additional layers of color. 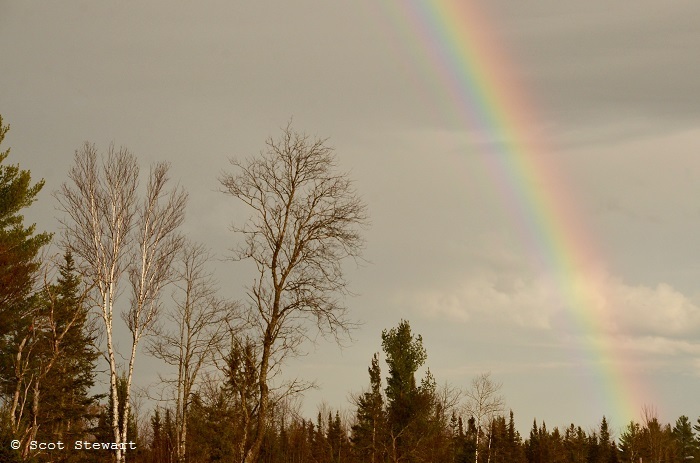 It was spectacular - a November rainbow! 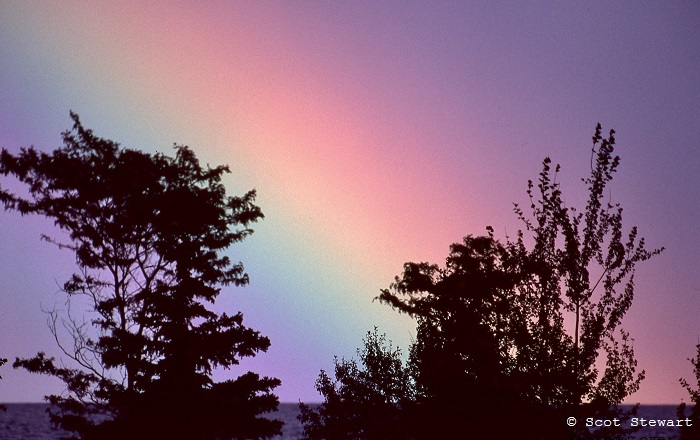 It prompeted the additona of a Rainbow category with the Aurora. I have also added new scans of old shots of the Aurora, clouds - lots of clouds, Lake Superior - Marquette, leaves, prairie dogs, wolves, moose and others. 11.10.17: I am beginning to know what Wilson Bentley felt like when he worked on his 46 year long collection of snow flakes, from 1885 until 1931 until when he finally published 2500 photographs in Snow Crystals, and his sudden death from Pneumonia a few months later after walking hom in a blizzard. 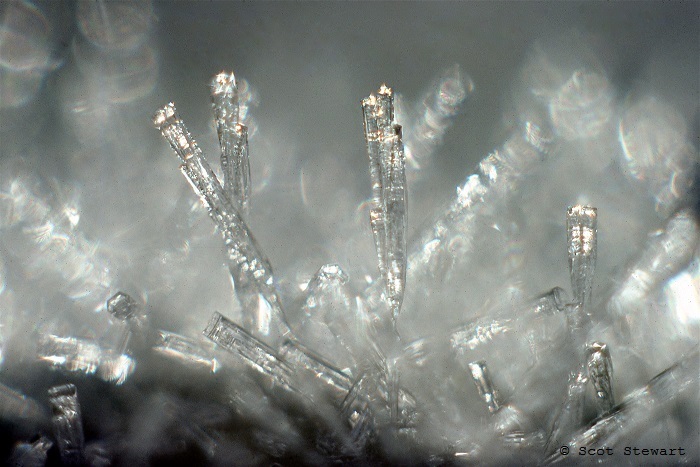 Using an extremely large camera he perfected a system of catching individual snowflakes on black velvet and photographing them before they melted or sublimated back into vapor. Even though his equipment was primative by today's standards, his drive to photograph them resulted in a collection of over 5000 images. 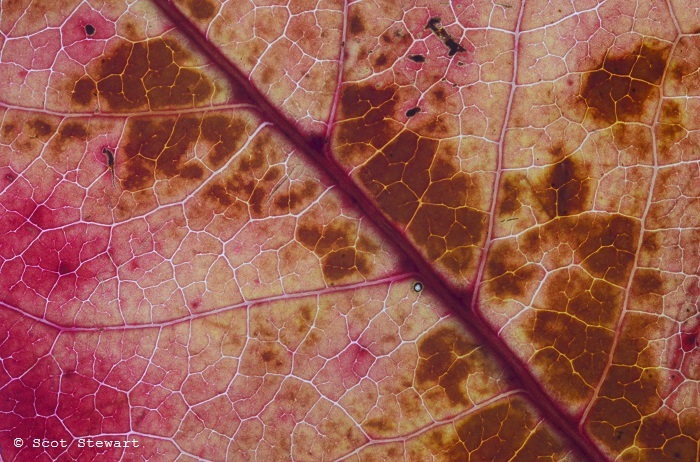 He spent two years perfecting his techniques using a microscope, bellows and camera. I have not had much success with snow flakes but have become preoccupied with tree leaves, especially in fall as they change colors. In the late fall of 1981, I walked home one afternoon from school regretting the season was nearly over. I felt I had missed seeing and photographing most of the autumn colors. 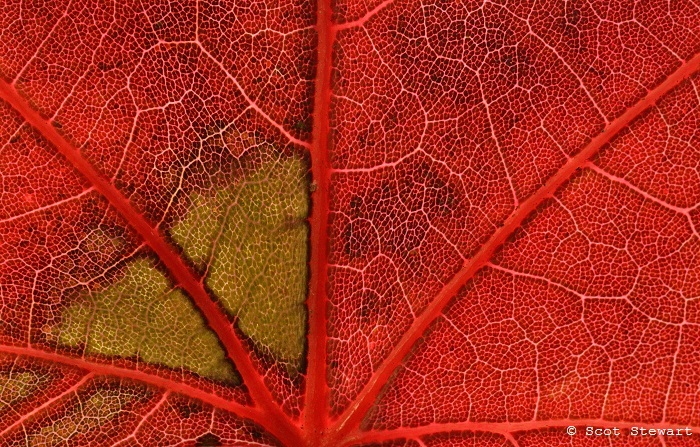 I remember kicking up a bright maple leaf on the ground and marveled at the color it retained, even as it decomposed there. It made me wonder how many more were still around, waiting to be noticed. The following day I picked up a few and began trying to photograph them. It quickly became apparent the best way to see the deep colors was by holding them up to the light. And so I began experimenting, and searching for more colorful, most interesting designs. 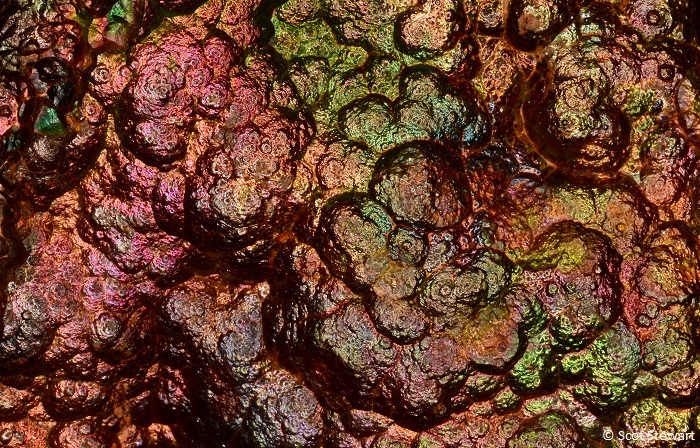 The detail within a a small section, usually about the size of a postage stamp, often looks like a satellite view of a river using infrared technology. 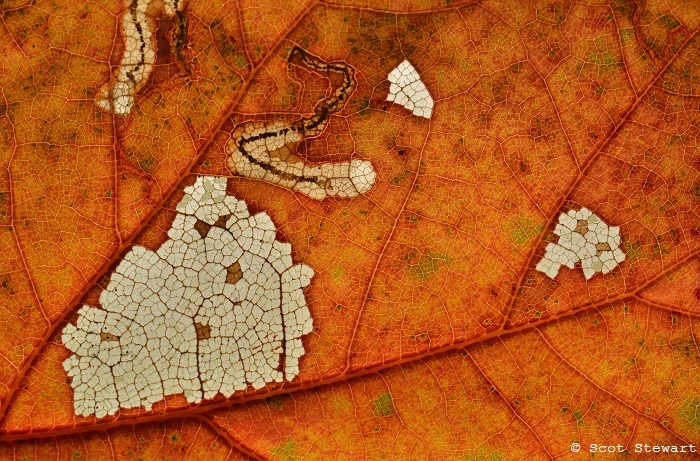 Small insects, miners and skeletonizers, leave other interesting patterns. After photographing them, I often place them in a plastic bag in the fridge and look back at them in subsequent days to see how time continues to breakdown their pigments. This year has yielded some phenomenal patterns. Below are a few with links to the rest on the Other page under trees and leaves. 10.26.17: This fall has been turbulent, fast and delightful. Unusual weather continued to be a prominent theme, with record setting warm temperatures followed by a huge low pressure system this past Tuesday, creating some of the biggest winds and waves over Lake Superior in a long time. 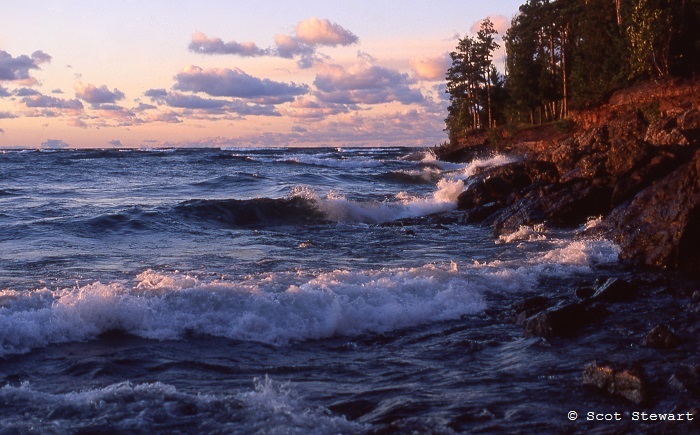 I did get a few photographs of the waves on the Big Lake, found in the Upper Peninsula "Autumn" category of the "Other" page but they were under light conditions that did not lend themselves to great shots for me. One of the results of the 50+mph sustained winds was the downing of many trees, and another the stripping of lots of tree leaves nearing the end of their fall color run. 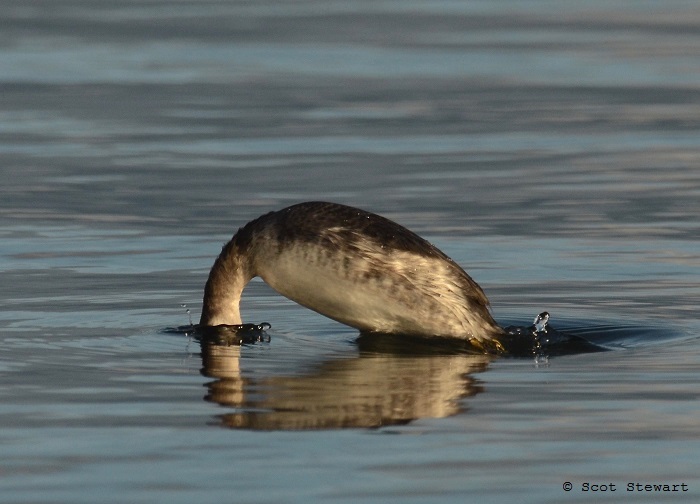 While making a trip around town to find some new oak leaves for close-up I did notice a grebe in the Lower Harbor. 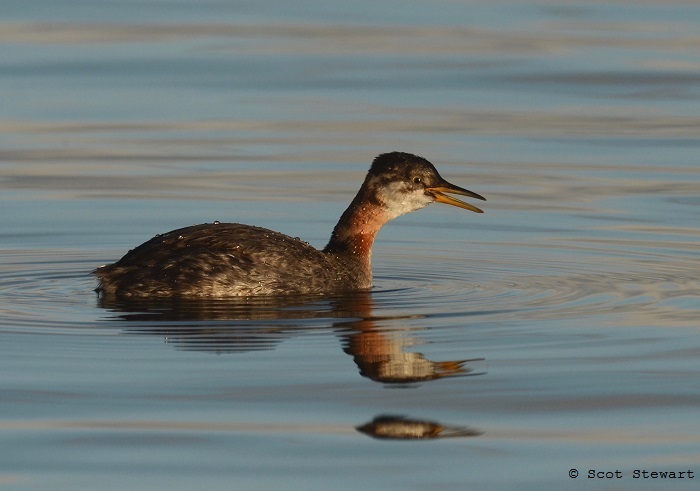 The stop developed into a chance to photograph both a horned and a red-necked grebe and a common mergansers feeding between the docks. All seemed rather comfortable close to the docks and the light was quite good. Great to watch them foraging together and seeing what they came up with. I have found them catching sticklebacks, perch and sculpin. Below are links to each of the species. 10.25.17: Made a trip up to Echo Lake north of Marquette on Saturday. First time there in nearly 30 years! 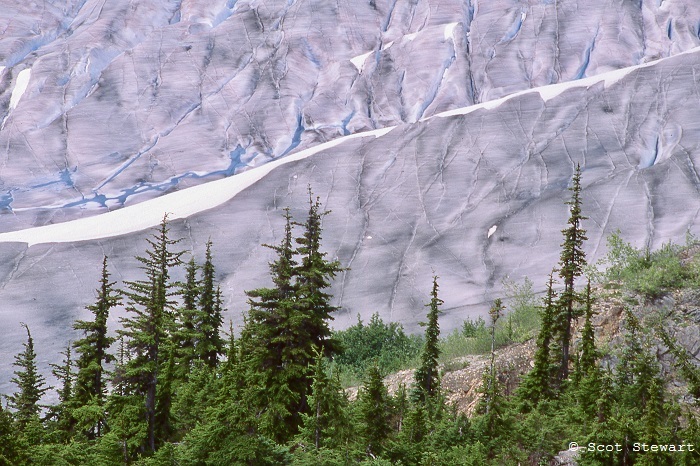 The property is now managed by the Nature Conservancy and is a truly beautiful, rugged area. The lake has a great, rocky white pine-topped peninsula jutting into it with a huge beaver lodge on its side. 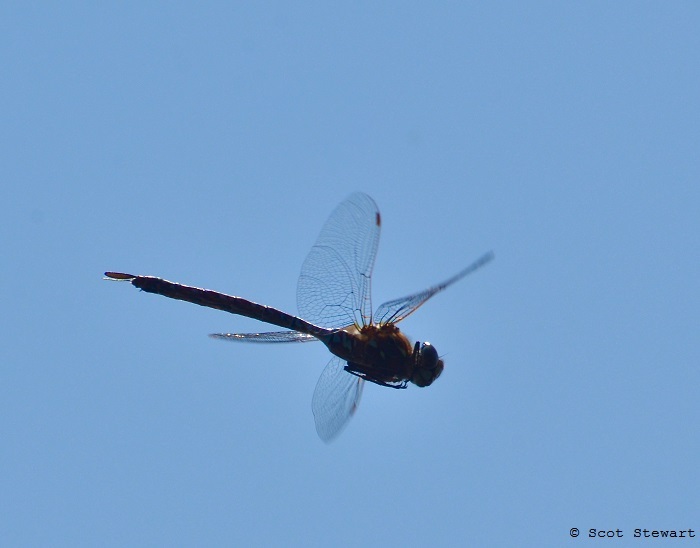 While the fall colors had unfortunately peaked, it was still a gorgeous 75 degree F, sunny day with ruby meadow hawk dragonflies zipping around, some as pairs. 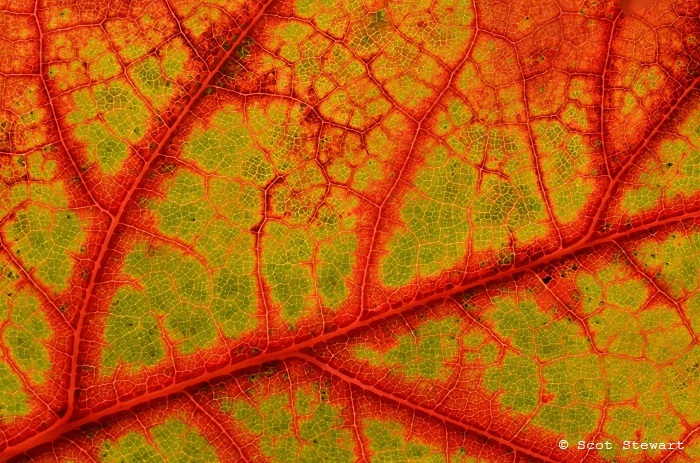 We found some amazing northern red oak leaves with beautiful color pattern, some of the best I have seen in a long time. 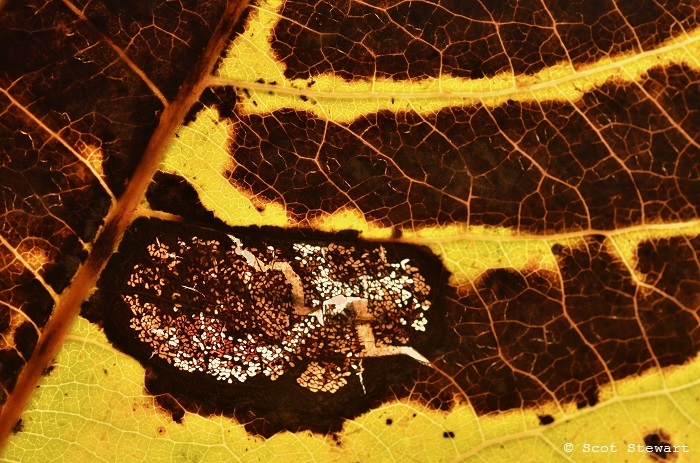 One even had a group of leaf skeletonizer and miner markings where larval insects had eaten patterns in the leaf cells between the two cuticles (outer layers of the leaf). I brought them home, but in just two days in the fridge, the colors faded immensely, to my dismay. Did get a few shots with links below. 9.29.17: Recently I found an area near school under eastern hemlocks and white birch where there were a number of fallen logs - birch and aspen, now missing their bark. Damp and dark, continuously wet with the recent and now intermitten rains the logs looked like promising places to look for fungi. 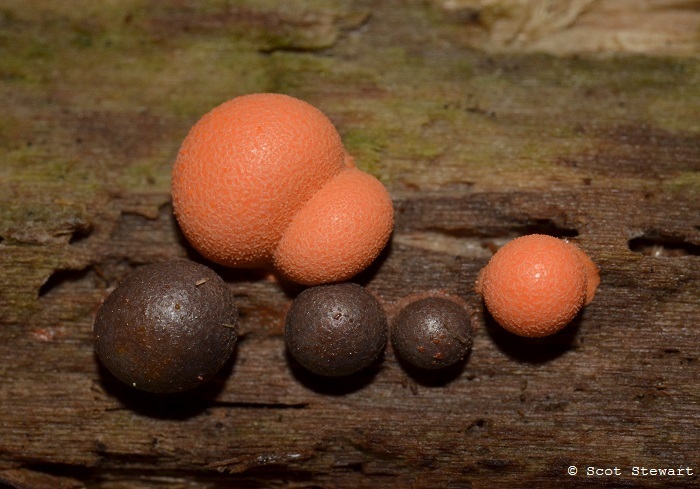 The logs were filled with slime molds or covered with some bracket fungi. 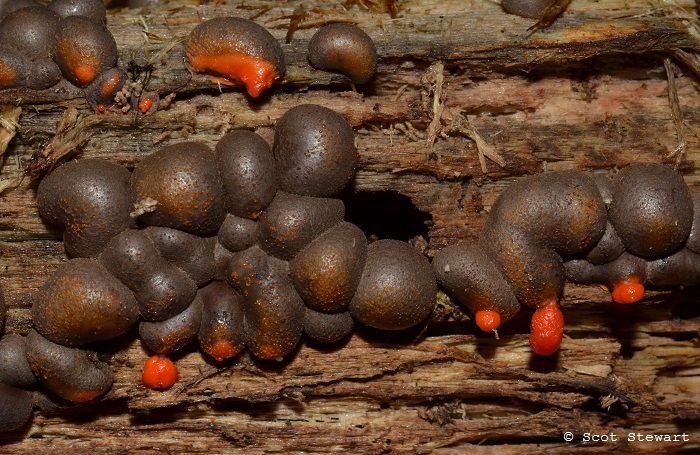 The slime molds were amazing as noted here earlier. The bracket fungi were ones I had seen before, but now seemed vibrantly "purplish". 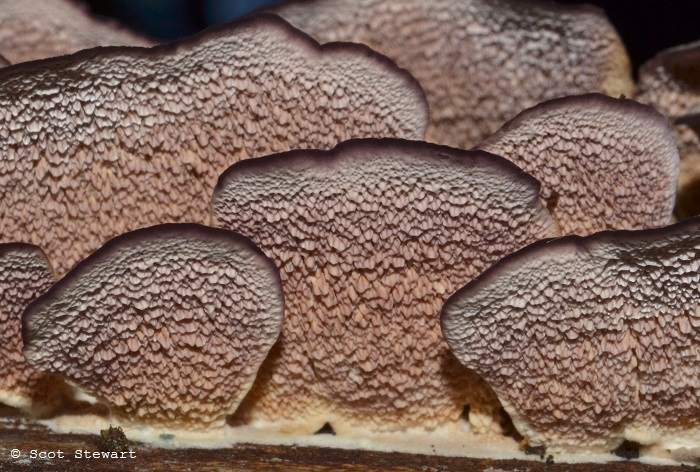 I shot some images, and in attempting to identify them for placement on the website found they were called violet-toothed polypore and their undersides appeared to have purple tooth-like structures. So I went back, curious to see what the other sides looked like. They were amazing! I shot more than 60 images - mostly while laying under this log that was propped up by a branch, about two feet off the ground. I returned the following day to shoot again and while again laying on the ground heard voices. A couple was walking a dog on a nearby trial, and approached, somewhat cautiously. I jumped up and told them they should see these amazing fungi and showed them some images on my camera. They appeared "relieved" - they said they though I had falled or was homeless (and sleeping under the log) and did not know what to expect. I have been continuing to return to this spot and have continued to find quieter times and amazing new developments on the logs. 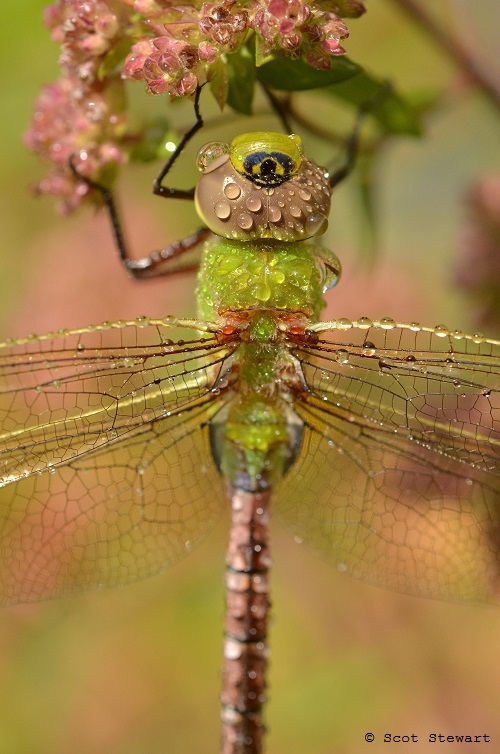 9.25.17: Since I wrote a story on dragonflies and damselflies last month for the Marquette Monthly, my apprecication and awareness of them has increased. Their aerobatics and design are true magic. I watched darners hunting on the shore of Lake Superior earlier this summer and have tried to grab some close-ups to show the design of their compound eyes and their overall construction as flying insect predators. The latest are at the end of the gallery. b>9.22.17: Tell someone you are excited about slime molds and I can guarantee you, they will give you an odd look. 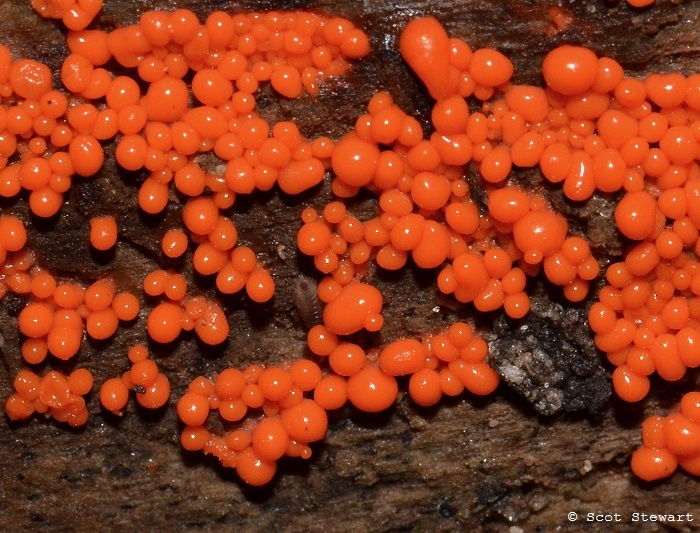 During the amazing show of fungi last fall in the Upper Peninsula I also found some amazing slime molds. This year has been even better and I have had a great opportunity to watch some growing on fallen logs near school. It has been difficult to restrain my enthusiam for them and I have probably bored a number of people rambling on about them. See some shots and decide what you think. 8.28.17: My wife and I were fortunate enough to be able to make a two-week trip around Lake Superior this month, revisiting old favorite spots and exploring some new ones. Our weather was true true to the North, cool, and often wet, but the landscape, animals, plants and geology filled wioth signs of the PreCambrian Shield, and as we rode through most of the North Shore of Ontario, filled with aspen, spruce and wildlife of the Boreal Forest. 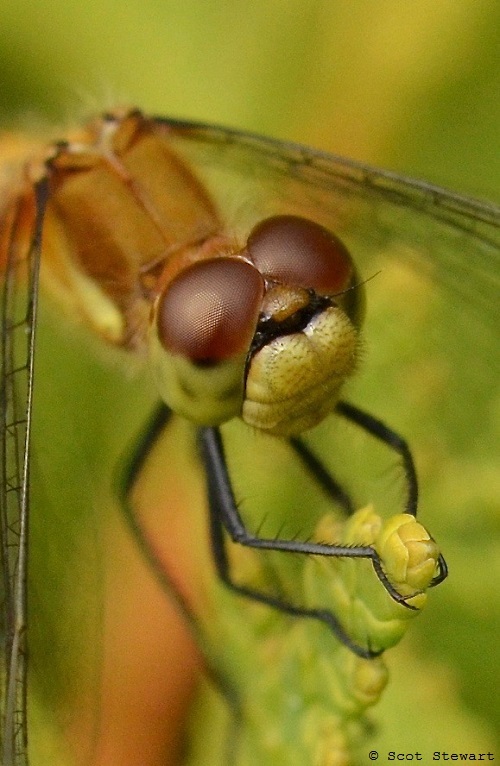 I had jsut finished a story for the Marquette Monthly on dragonflies and damselflies so I was excited to photograph some meadowhawks and darners, getting some really close looks at their compound eyes, and their conformation in flight, especially they way they held their legs. The meadowhawks looked like rubies, but seemed out of their range. Amber spots on their wings leanwed away from white-faces. The darners were hunting along the Lake Superior shoreline in a large group and were a challenge to catch on the wing, but really fun to watch. I'll post more of the trip soon, including images of the amazing Lake Superior shore, other insects, a few mammals and lots of plants, including some Arctic Relics, plants normally found closer to Hudson's Bay, but happy along Lake Superior after being dragged down by the glaciers. 7.31.17: I am always delighted when landscaping the yard attracts more wildlife. 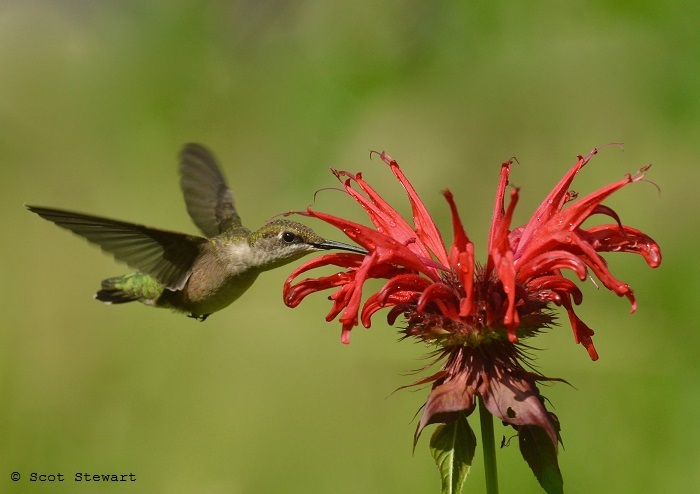 I planted some scarlet beebalm in an open area of wildflowers in the yard and with the help of a wet spring got a great row of flowers to attract ruby-throated hummingbirds. Currently a female and one youngster are visiting regularly and apparently fining enough other food to by-pas the hummingbird feeder most days. Been great to watch a rose-breasted grosbeak, brown thrasher cardinals, chickadees, hairy and downies around all afternoon. All together, had 28 species in and around the yard yesterday! 7.30.17: Summer is such a great time of year for me - more time to photograph and more colorful subjects to discover. Breakfast - and who knew fruit had a bite? 7.21.17: The past few weeks have provided a little time to do some m ineral collecting - made it on two great trips to the Republic and Champion Mines with the Ishpeming Rock and Mineral Club. Collected some neat pieces for the classroom of brecciated specular hematite-barite-quartz crystals at Republic and some interesting molybdenite-magnetite and pyrite-magnetite at the Champion. 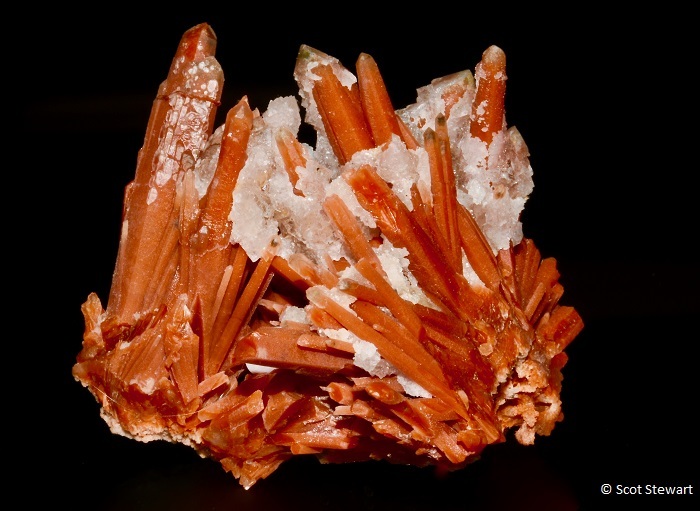 Have added some other mineral pictures of realgar, plumbogummite, aurichalcite, brochantite, calcite, celestine, crococite, cuprite, cyanotrichite, fossils, gold, gormanite, hematite, psilomelane, zinkecite too. 7.15.17: Travelling to Illinois to see family recently provided an opportunity to get out and wander a few prairies, especially the Orland Grasslands in Cook County. 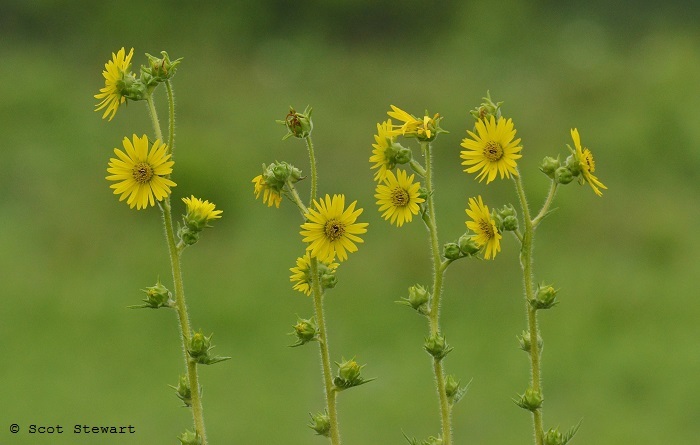 It is a beautiful restored area with lots of dickcissels, eastern meadowlarks, grasshopper, field and Henslow's sparrows. It is a step back in time to walk up a hill surrounded only by tall grass prairie, and in the spare momentss devoid of overhead jets really seems like the 19th century there. The compass plants were just starting to bloom and were spectacular. I also roamed through the LaPorte Road Forest Preserve and the Plank Road Trail in Will County. The Plank Road is a former railline, now a trail with restored prairie, a good friend Dr. Bill Zales and my father helped establish. Added most all the prairie plants in the wildflowers from this trip. 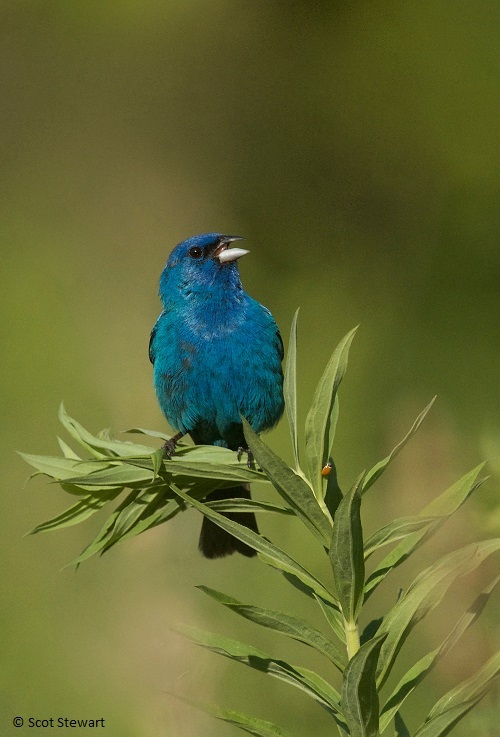 From the Laporte's great birds was able to add to the eastern bluebirds, indigo buntings, field sparrows, house wrens and eastern towhees. 6.27.17: This spring seems to have been good for warblers, despite the wet, cool conditions prevailing most of this season. Despite the rain, blackflies have not been overly oppressive, mosquitoes lighter too, at least in some areas. Trips to Kate's/Ross's Grade in southern Marquette County, Peshekee Grade in the western part of the county, and areas in Alger County provided some great opportunities to hear and occasionally see black and white, Canada, Nashville, golden-winged, magnolia, chestnut-sided warblers and redstarts. Also have run across yellow-bellied flycatchers, rose-breasted grosbeaks and common ravens with some great unique calls. 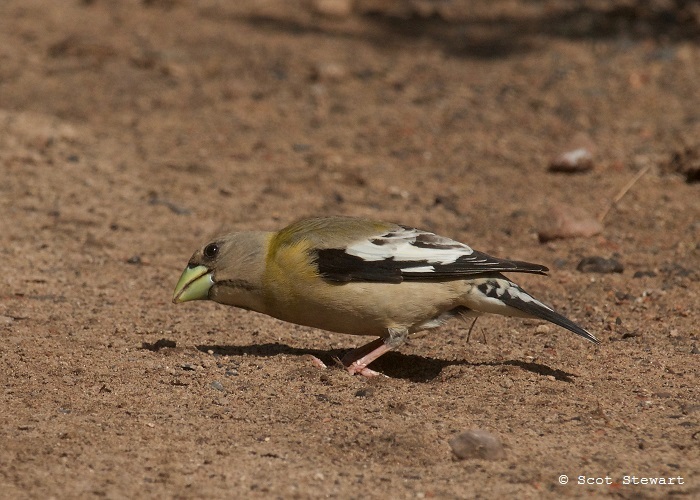 At the intersection of Co. Rd 438 and Ross's grade found a female evening grosbeak with a small family of purple finches gritting - picking up sand amd small gravel to aid digestion. They were persistent and remained at the same spot for more than half an hour. 4.22.17: The season has inched along in lurches and backslides. 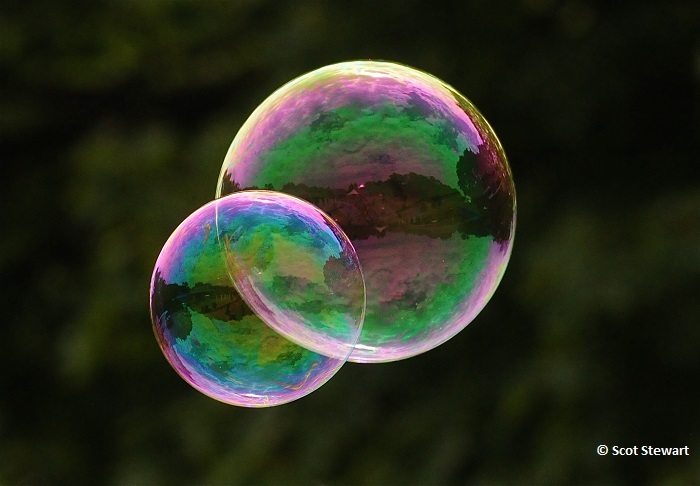 Each spurt of warmthe coaxes a new sprout or bud to unfurl and reveal some delicate new jewel. Took a run out to Laughing Whitefish Falls Scenic Site State Park in Alger County. I went looking for the blossoms of the round-lobed hepatica I used to find there. No luck. We did visit the falls and found some beautiful delicate blossoms of the American hazelnut. I really am drawn to tree flowers, so overlooked in the spring. The purple female flowers of the hazelnut are amazing! The size is difficult to discern because the spider web is from a really tiny species. 4.6.17: Spring migrants are arriving at a great pace in the Upper Peninsula, making each day a present to be opened to see what is inside! Made a trip around town in the late afternoon. It was extremely windy, with gusts to 30mph out of the south east forcing many birds into quieter locations. 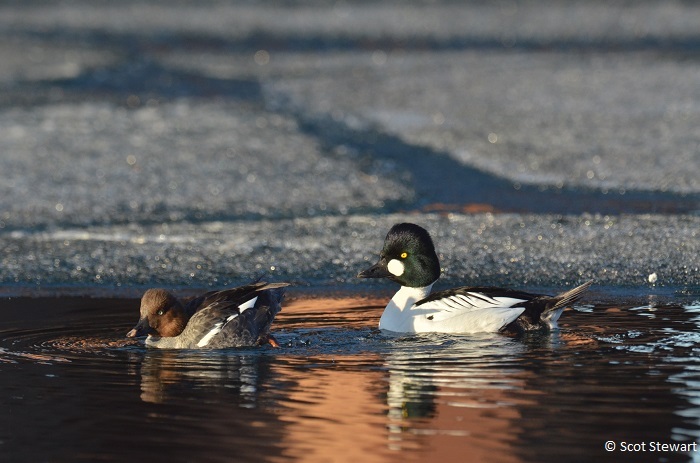 Ducks were all hunkered down near vegetation, except for some mallards put up by an adult bald eagle along the Dead River near the mouth on Lake Superior. Hooded mergansers came flying in after the eagle left. A turkey vulture flying low near the lake seemed to really enjoy the winds off the water. 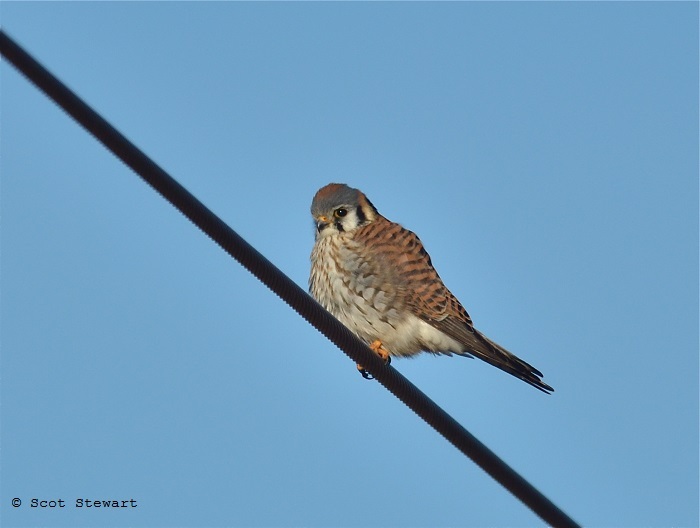 I was delighted to find an American tree sparrow at a feeding station in the woods near the river but even more surprised to find a female American kestrel on apower line near the river. 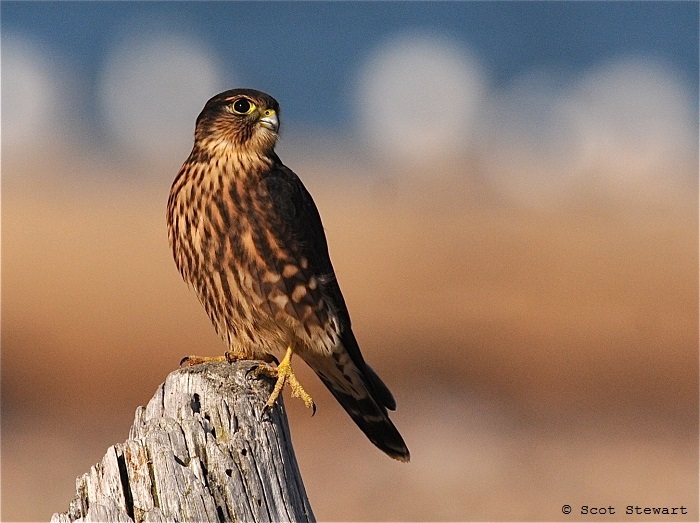 Merlins are relatively common around town, but the kestrels are usually easier to find in the open fields south of town. Can't wait to see what comes in next with the promise of more warm weather in the next few days! 3.30.17: I love traveling in springtime. It is like slicing into a pie to see what will come next. I made a trip to northern Illinois this past week and although it was a cloudy nearly the entire time, warmer temperatures there were encouraging lots of springtime activity. 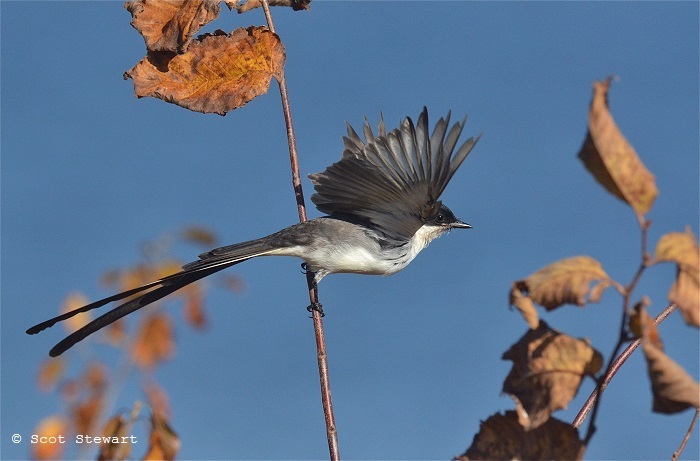 Bird migration, being more advanced to the south brought turkey vultures, kinglets, yellow-bellied sapsuckers, northern flickers, dark-eyed juncos, eastern phoebes and other summer residents not seen since last fall. Leaf-out hadn't started yet but grass was greener, ponds all open and red-osier dogwood and other plants were sporting much more colorful bark. It was a shock to return to Marquette and still see so much snow in the yard. 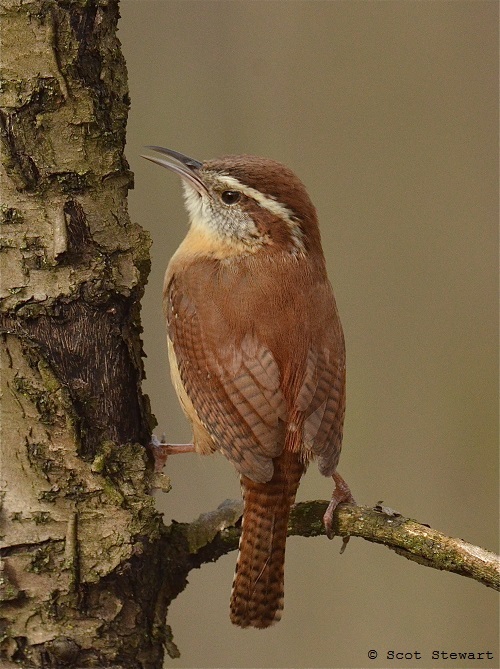 Continuing to add lots of new shots - spent some time with a song-filled Carolina wren in Illinois, ducks, including scaup, bufflehead, canvasback and American wigeon in Wisconsin and two different jelly fungi on fallen branches in Illinois. 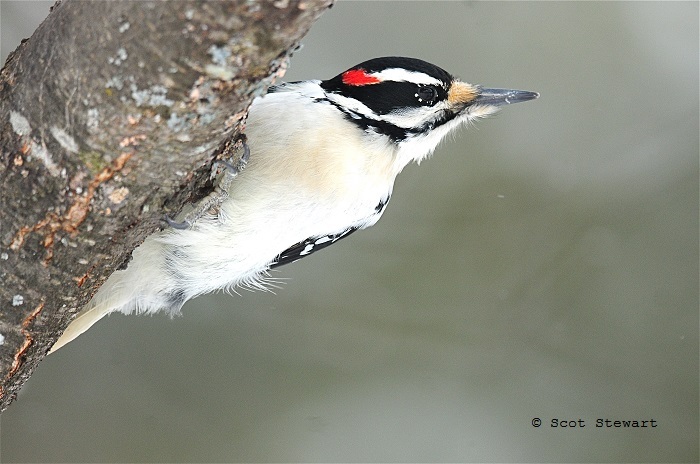 I alaso photographed red-bellied woodpeckers, black-capped chickadees, and white-breasted nuthatches in Illinois. 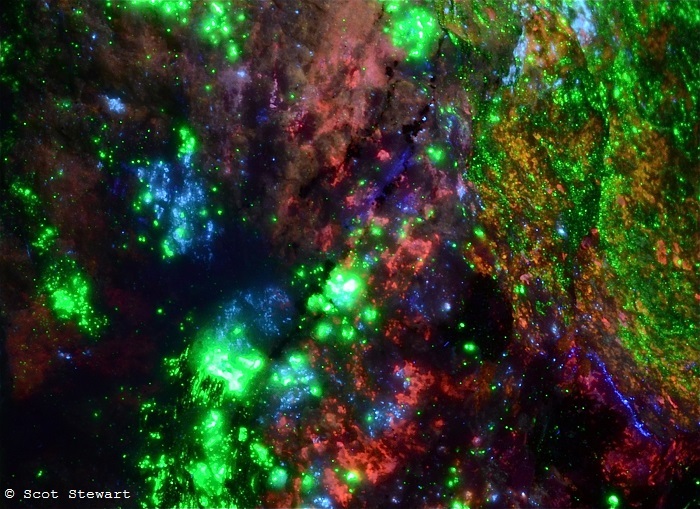 Back home I have been adding more mineral images - amethyst, quartz with pyrite, esperite, azurite, stibnite with apophyllite,algondonite, silver, eudialyte and pseudomalachite. It is a busy time of year and my favorite. 3.6.17: Spring is being a tease. Up to the fifties some days, then back to winter and snowstorms and white-outs. Maple sap is running, northern cardinals, house finches and mourning doves are singing. 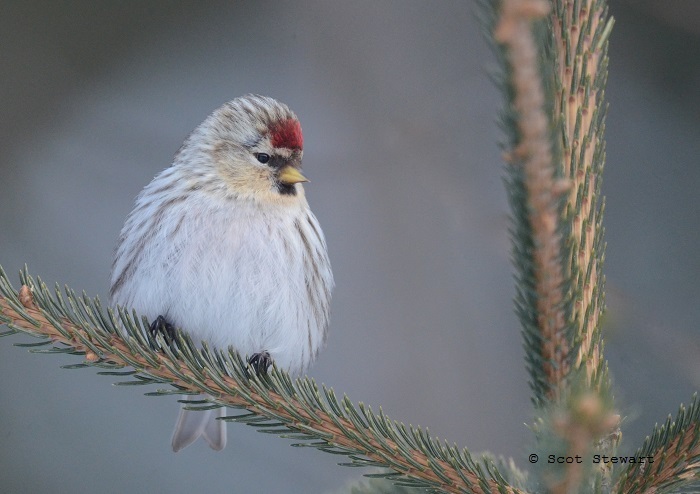 Common redpolls are still hitting area feeders. It is a seesaw of emotions. Been continuing to scan photographs, many from trips out west to Glacier National Park, the Wind River Mountains, Arches and Yellowstone. See the national parks category on the "Other" page. 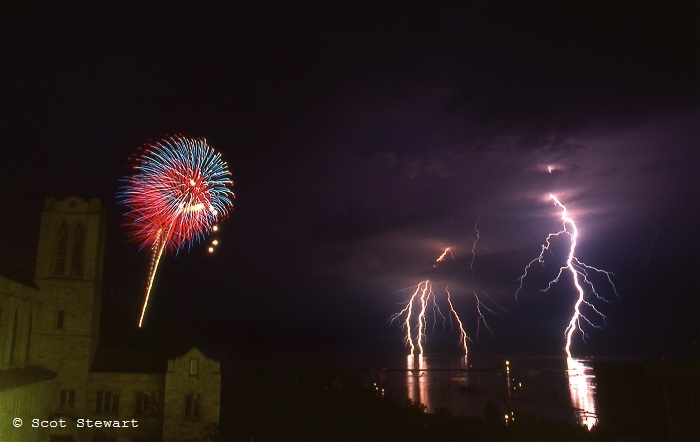 I also found one of my favorite photos, a shot of fireworks over Marquette's Mattson Park from (yikes) 1987. A thunder storm had just passed and as I grabbed a shot a got a surprise I didn't realize until the slides came back. It is a single shot - no sandwich or major manipulation - just sharpening and a bit of cropping. 1.7.17: Winter has seesawed back and forth the past two months from early autumn weather to brutal, freezing temperatures and heavy snow. It just can't make up it mind. This weekend the temperates have struggled to stay above zero and today a stiff 20-25 mph wind made it feel even more like the Arctic. 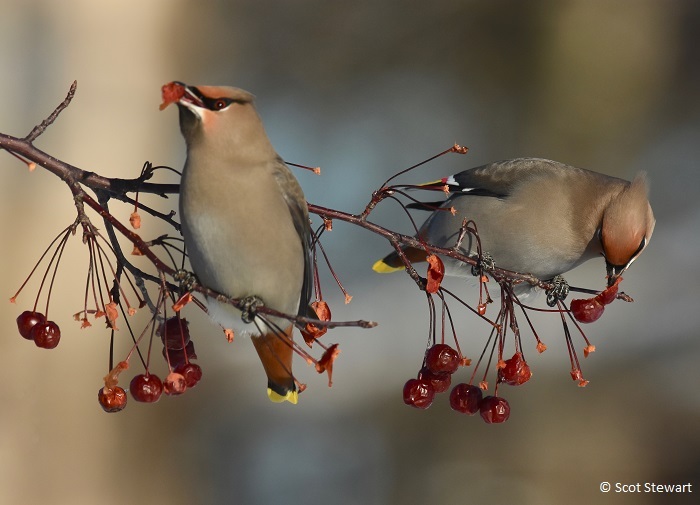 A growing flock of bohemian waxwings (and a couple of cedar waxwings too) have been making the rounds to Marquette's large selection of crab apple trees looking for the perfect fruit. 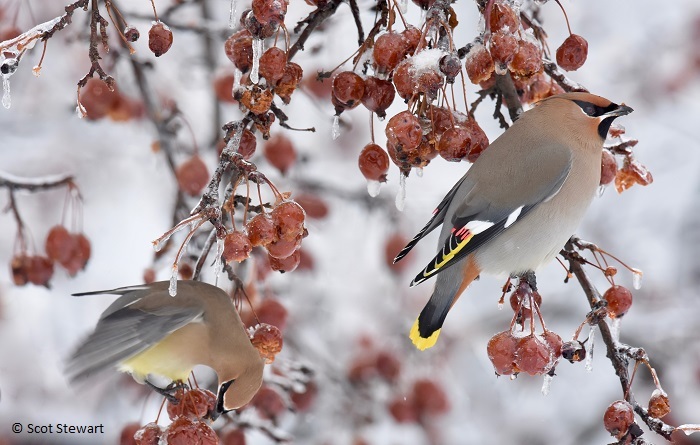 Waxwings like slightly smaller crab apples and often stop in the trees on the southeast side of the Marquette County courthouse in early winter. That is where these were. 12.3.16: December eased onto the woods here like the rest of Autumn, quietly, and warmly. We have our typical gray overcast skies, but it is a relaxed weather that would still like to wrap itself around you. 40's have turned to 30's but it still seems mild. I have been excited by just about everything lately with a whim of pattern to it so I pulled out a box with a pair of chambered nautilus halves in it. An wonderful friend, George Wilson had given it to me more than 30 year ago but it looks brand new and beautiful. 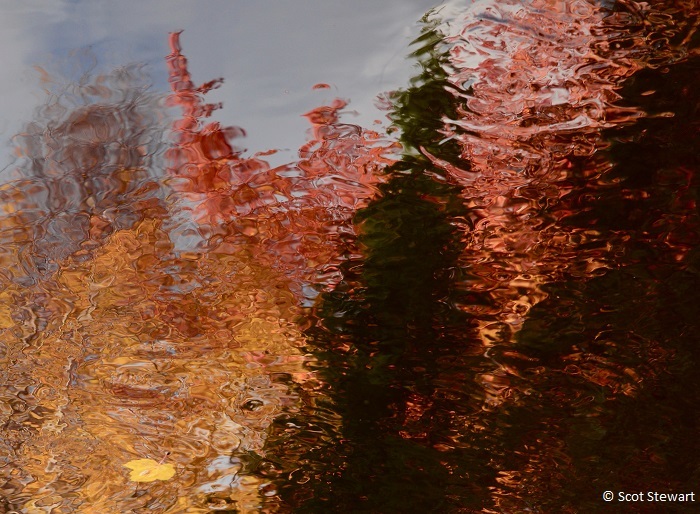 I have put a few shots on the Abstracts category on the Other Page today. 11.29.16: Light is what photography is all about. 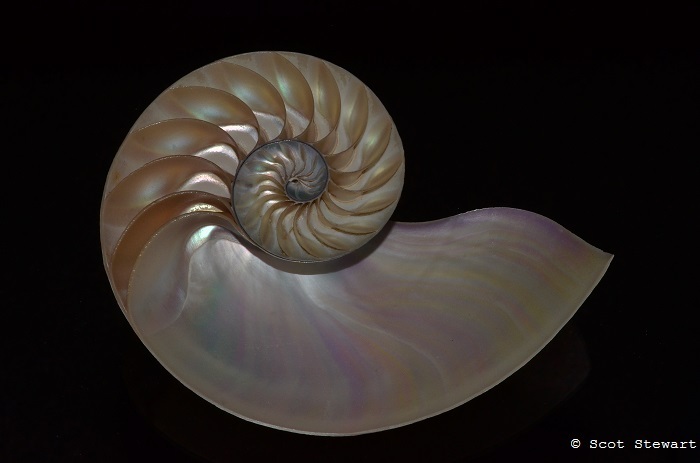 How light plays on surfaces, influences colors makes every day a new experience. 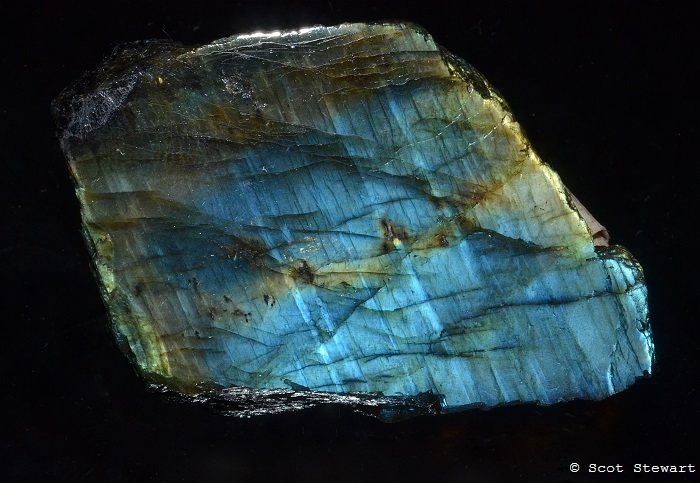 This is especially true when it comes to chemical structures in feathers, rocks and other beautiful parts of the world exhibiting special effects like iridescence or labradorescence, like Anorthite, also know as labradorite. This mineral. Ove Balthasar Beggild described the effect of light on this mineral this way, "Labradorization is the peculiar reflection of the light from submicroscopical planes orientated in one direction (rarely in two directions); these planes have never such a position that they can be expressed by simple indices, and they are not directly visible under the microscope." 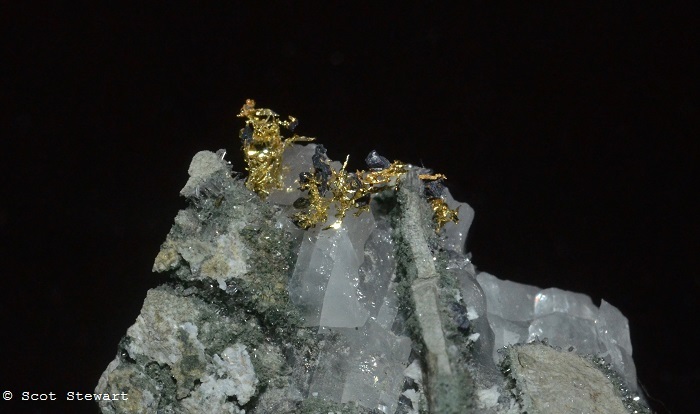 Look at a piece of this mineral and it may appear cream colored or brownish, but turn it a bit or shine a light on it and an amazing change occurs turning it into a dazzling display of gold, blue green or other iridescent like colors. I was able to photograph several and seemed to drift into an entirely new world. Capturing the effect is not easy, but when I could, I was in heaven! 11.16.16: Wow! It's mid-Novermber and there are still a ton of opportunities to catch late Autumn phenomenons. Today was a great, multi-project day. 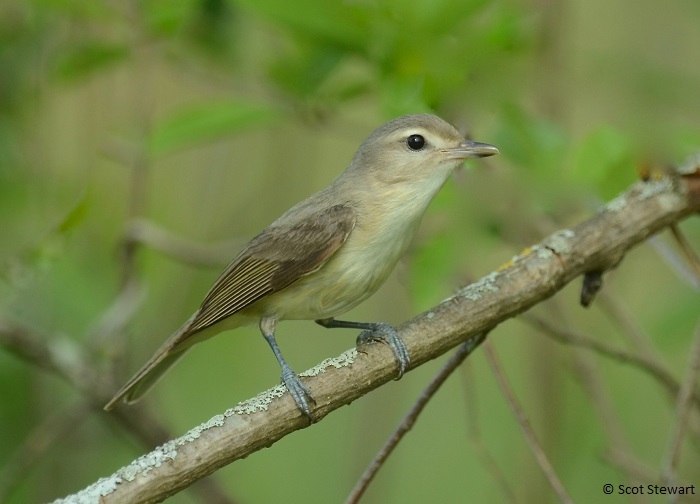 With the mild weather there have been a number of late migrants and vagrants across the Upper Peninsula. 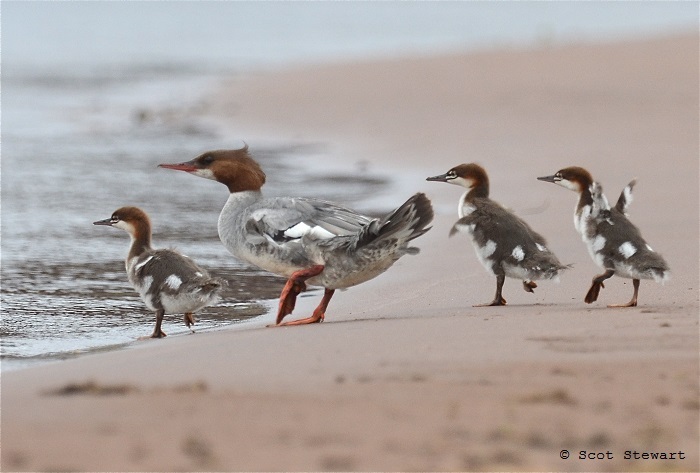 A late ruby-throated hummingbird, a late black-bellied plover and a cattle egret have been the latest great birds to be seen in Marquette. There are still some fall leaves around too. 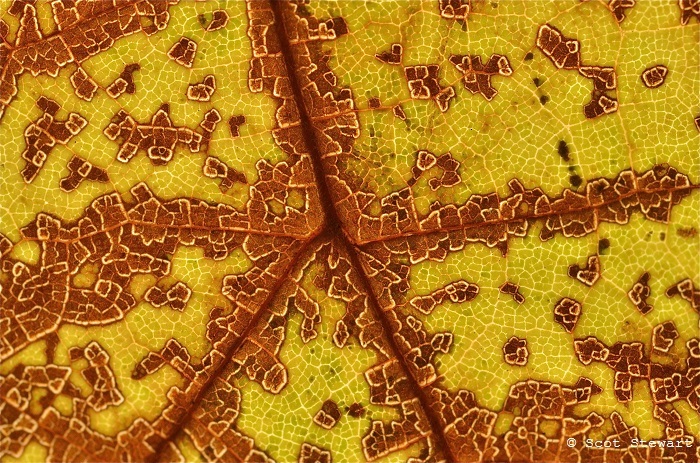 I found a really interesting northern catalpa in my back yard to photograph for my leaf detail series too with a really different white border to some of the leaf cells. Both with links are below. 11.6.16: Hello! What an amazing fall here in the Upper Peninsula of Michigan! In the 70's today! Best kind of weather for visitors from the tropics. 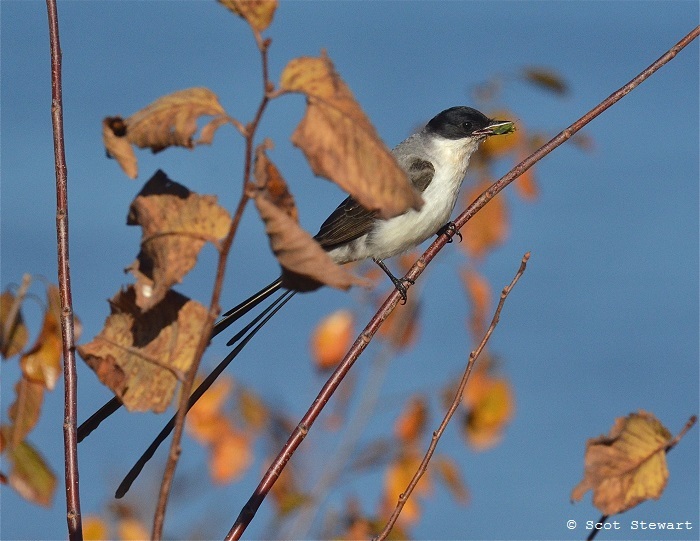 A fork-tailed flycatcher was found in Menominee Co. Thursday and great weather made it easy for it to stick around through the weekend feeding on insects (there were plent- shieldbugs, sulfur butterflies, dragonflies and midges) and red-osier dogwood (Cornus sericea) berries. These inmages are from Saturday November 5! 10.18.16: Late arrivals continue in Marquette this fall. 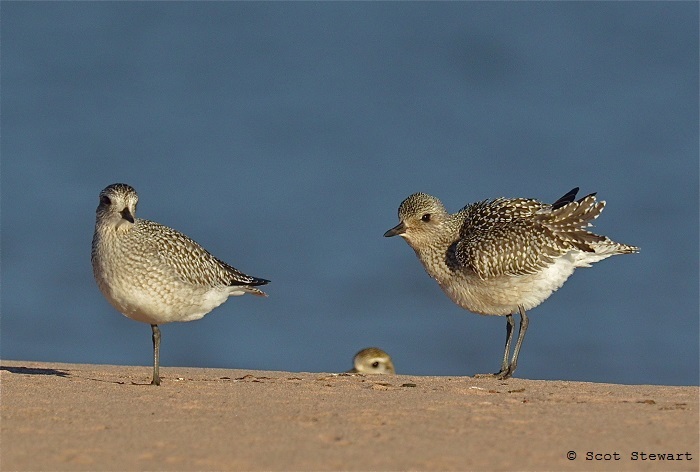 REcently a group of nine black-bellied plovers and one American golden-plover arrived and have been seen daily at the mouth of the Dead River in Marquette. Their arrival is late in the season for both and their stay here has been longer than would be expected. 7.28.16: Hello Again! Adding more 35mm scans and a few new shots to the website. A great number of wolf images are now added to the Others page, along with some of my favorite water images to the Lake Superior & Water section. 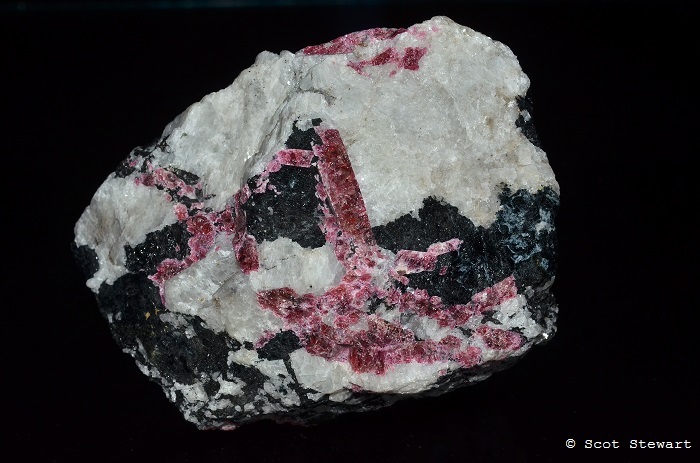 Some new minerals, Clinohedrite, Babingtonite and Diopside have been added with new images of Rhodonite, Arsenopyrite, Hematite. 7.27.16: Hello and greeting from mid-summer! Seems like the season is just rocketing past! Lots of hot weather here in the Upper Peninsula - really! 80's and 90's and thunderstorms. The birds are definitely quieting down, although we have been blessed with a red-eyed vireo and a song sparrow serenading us daily still and have sporatic songs from a northern cardinal, mourning dove and a northern flicker. Thanks to a scanner at the Marquette Monthly office I have begun scanning my 35mm slides and adding images to the website. 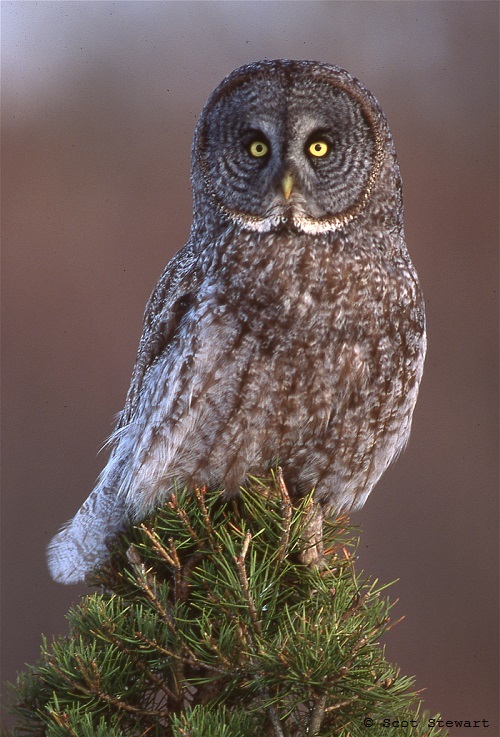 Nearly all the grouse and owl species have additions or new entries. Others include Brant, Black Vulture, about half the Hawks, Yellow, Clapper and Virginia Rail, Golden Eagle and Least Bittern. Work now beginning on the Wolves. New scans will begin soon on my Lake Superior and National Park images. 7.15.16: Photographing minerals, especially portions of my Franklin, NJ fluorescent ones has been continuing. 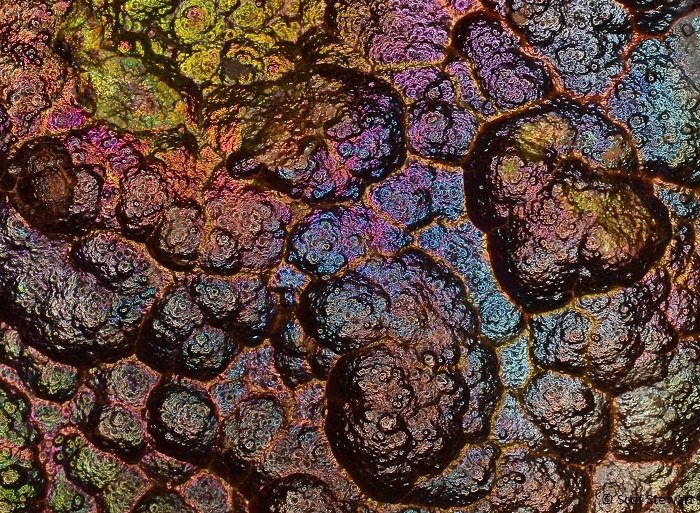 I have especially liked a couple of close-ups that remind me of shots from outer space. 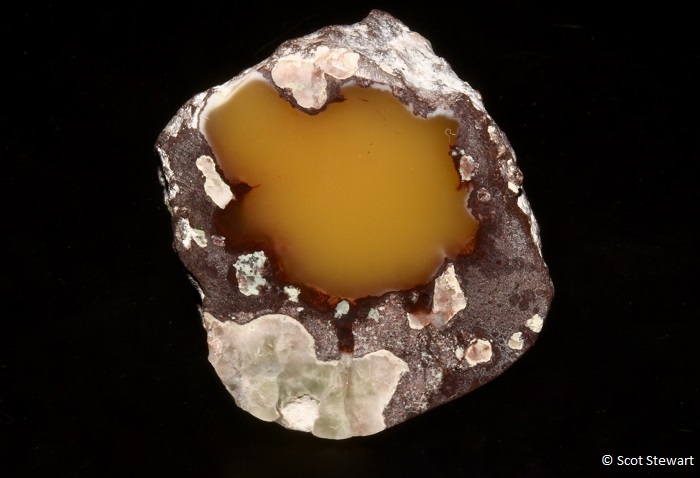 Other new mineral images have been added to Amber, Aurichalchite, Brazilianite, Chondrodite, Cornitite, Fluorite, Franklinite, Hauckite, Hedbergenite, Kyanite, Siderite, Sulfur, Topaz, Uvarovite and Zincite. 7.11.16: After finishing a program at the MooseWood Nature Center I stopped to look for shorebirds at the mouth of the Dead River on the way home. No shorebirds, maybe the young peregrines were practicing their flight manuevers off the top of on of the building at the power plant across the street. 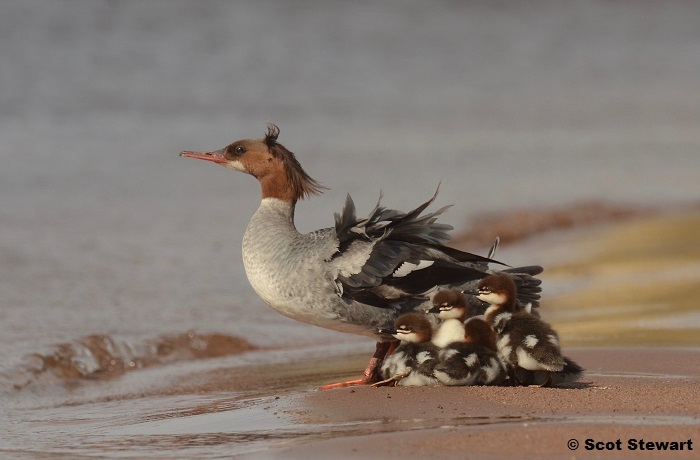 I almost missed the family of common mergansers resting at the water's edge. Eventually they headed back into the water and immediately began hunting. 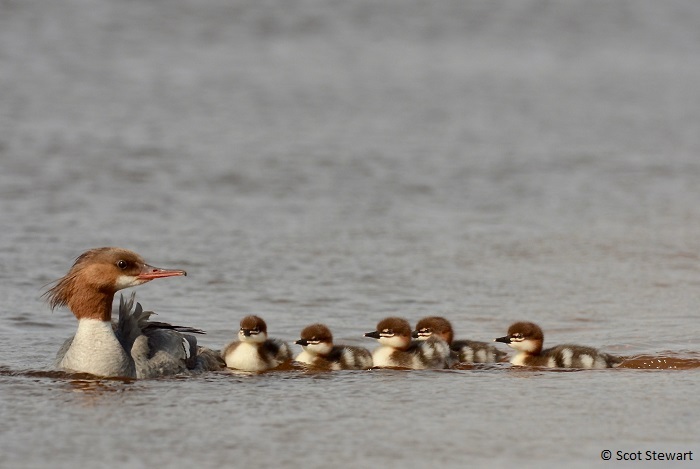 The adult began scanning underwater and seemed to find a small school of fish as she swung around and seen to direct the underwater targets toward the three youngsters. They provideded a number of entertaining charges both above and below the water chasing their prey until they rounded the tip of the sandbar where they had been resting. I was surprised at how much the young resembled chinstrap penguins as they tottered across the beach with their wings flapping. 7.4.16: Nothing will make a birder's heart race more than to come home from a trip and hear of an extremely rare bird being in the vicinity whil you were gone - especially one more than a 1000 miles from home. 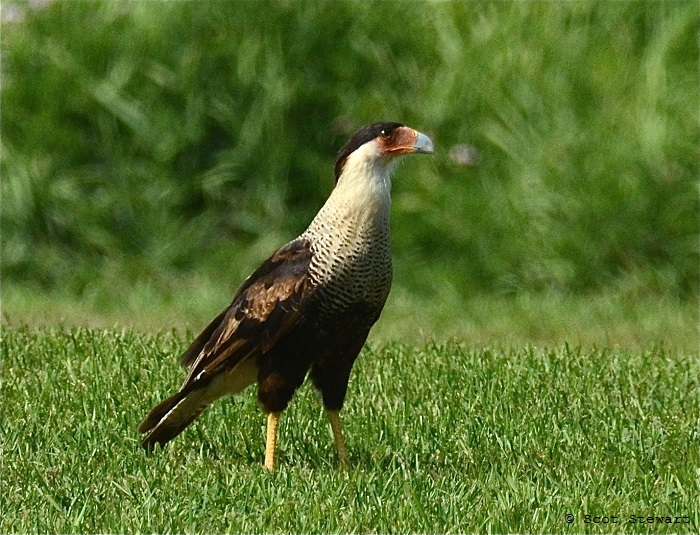 I came home to news of a northern crested caracara, a tropical falcon reported in Munising. Within an hour I was back out, on my way to see if it was still around. 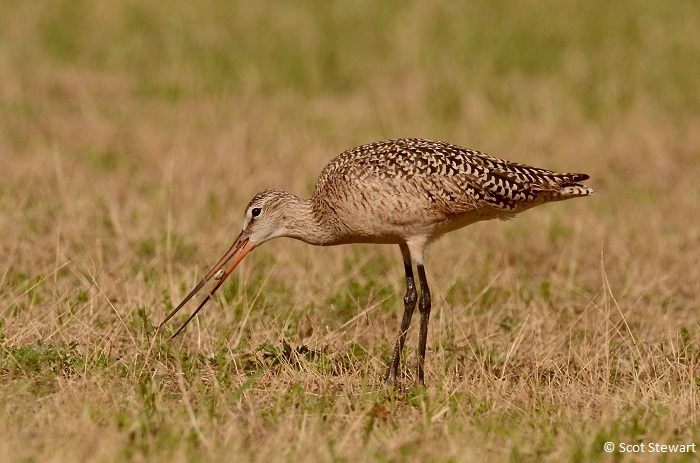 Fortunately it has remained for several days giving birders from across the state an opportunity to see it and watch it hunt insects along the edges of a large mowed field. 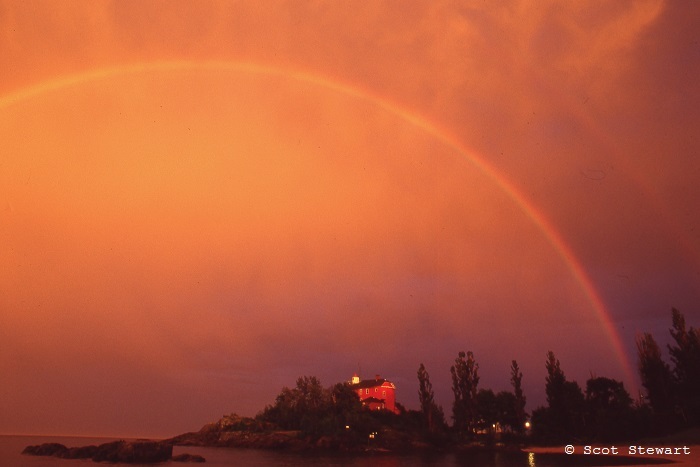 Summer surprises in the Upper Peninsula are often particularly amazing with a number of tropical visitors here in recent years. Birds like these also offer the opportunity to meet with other great birders and catch up on adventures and birds in other places! 6.27.16: Early summer is the best in the Upper Peninsula! 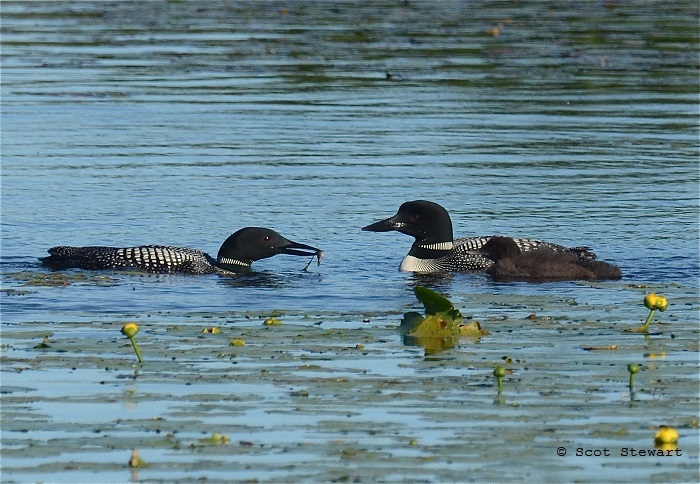 One of my favorite places to go is Seney National Wildlife Refuge near Seney, MI in Schoolcraft County. I drove down with again with Alec Olivier. 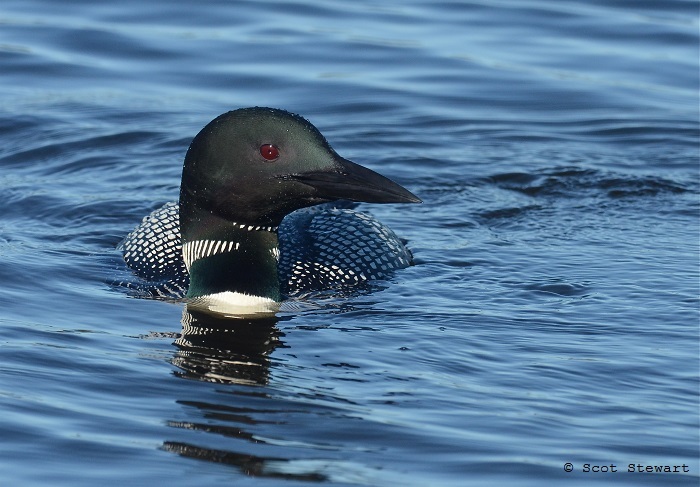 We checked the Driggs Road area for black-backed woodpeckers without success but found plenty of loons and trumpeter swans on the interior pools at the refuge. 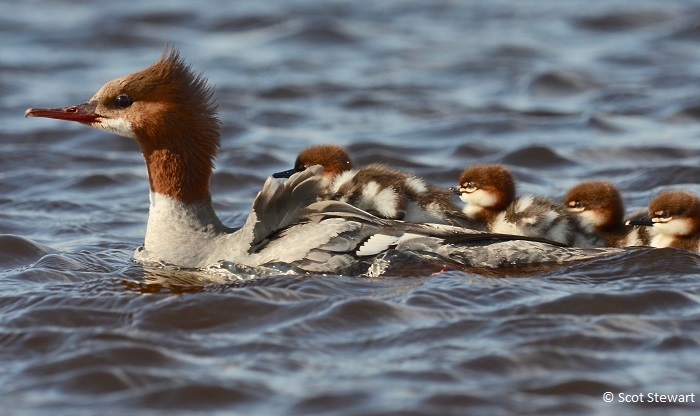 We found one family at the start of the Marshlands Autoloop and a very cooperative female a bit farther on. Wilson's snipes were still displaying too, one of my favorite sounds there in June, or anytime for that matter. Only heard one kingfisher - they seem to be dwindling there and no bald eagles are nesting along the loop either. We did see three active osprey nests. Swamp milkweed, roses and irises blooming, it was a great day to be there! 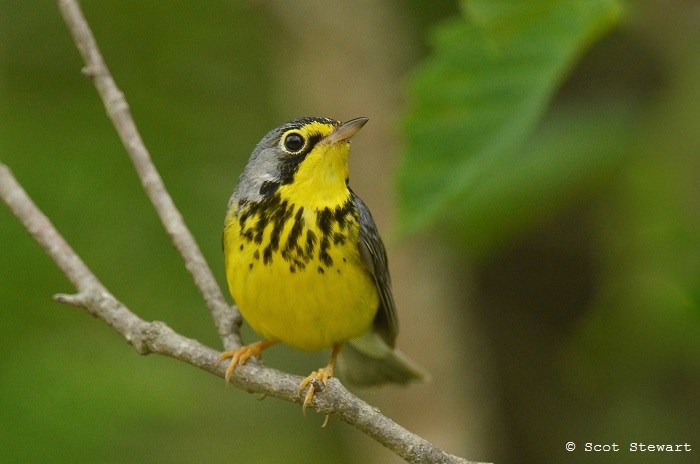 6.24.16: Early June is a great time to look for warblers in the central U.P. Alec Olivier, good friend and excellent birder and I took a trip down to Kates Grade along the Marquette-Dickinson County border. We questioned our choice of locations when we opened the windows to listen for songs. We were immediately greeted by large numbers of hungry mosquitoes. Wow! There were lots! Luckily they quieted down a little after 8:00 and we were able to get out an look and listen. It was a beautiful morning - heard northern waterthrush, common yellowthroats, blackburnian, Nashville, and finally a golden-winged warbler, one we were hoping to see. Also heard a scarlet tanager among others and caught up with a snowshoe hare along the road right in front of us. 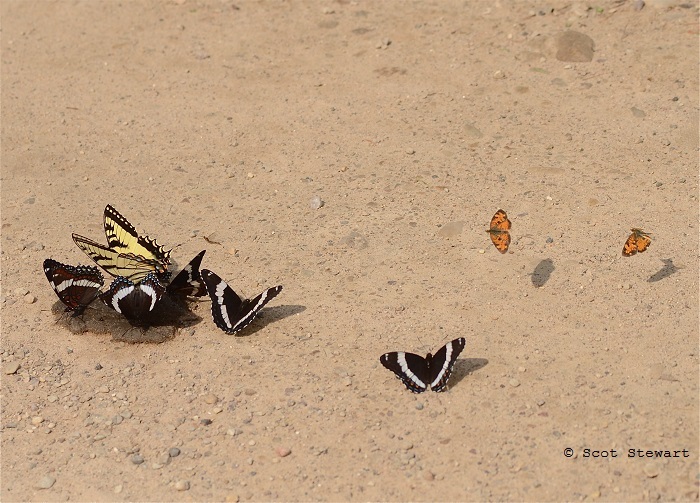 Later we found several sets of dropping on the road and they were prime mineral licks for white admirals and tiger swallowtail butterflies. It was amazing to see so many fighting over the sites. On the way out we found a yellow-bellied flycatcher to top off the trip. 5.4.16: Being outside always brings surprises for the watchful eye. 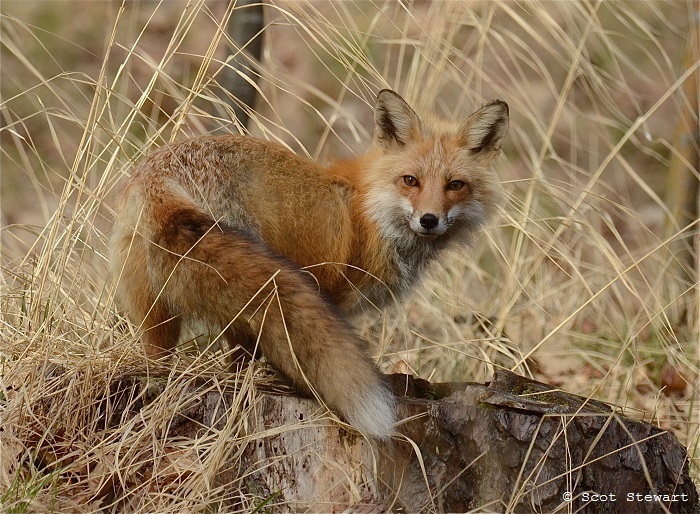 While preparing feeding stations at Presque Isle Park for a MooseWood Nature Center Birding Festival event this Saturday, a red fox appeared and casually surveyed the birds there and then proceeded to my other station to check the menu there. It was clear it was familiar with the neighborhood and not too concerned with the regular traffic on the Island. 4.30.16: Spring and Autumn sunrises can be spectacular - especially over Lake Superior. This morning the sky was filled with mixed clouds and openings, a good sign. 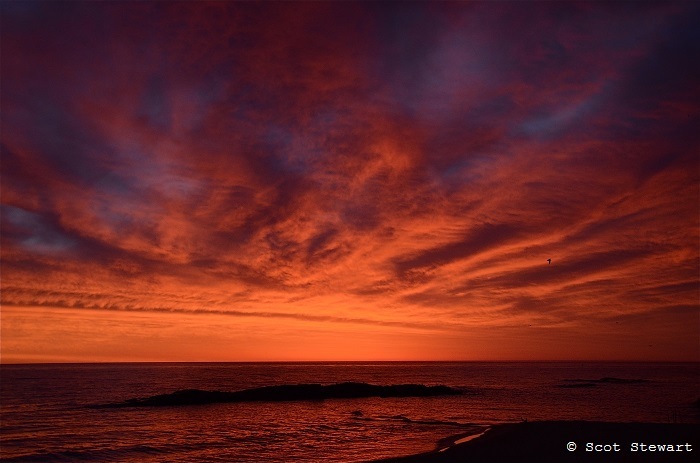 The eastern horizon was soon aflame with amazing colors to start the day in dramatic fashion. 4.27.16: Birding has been slowed this spring by unseasonable temperatures and some record snowfall in April. STill, migration has been eeking along. Traveled to Whitefish Point to check on hawk, waterbird and songbird migration there. 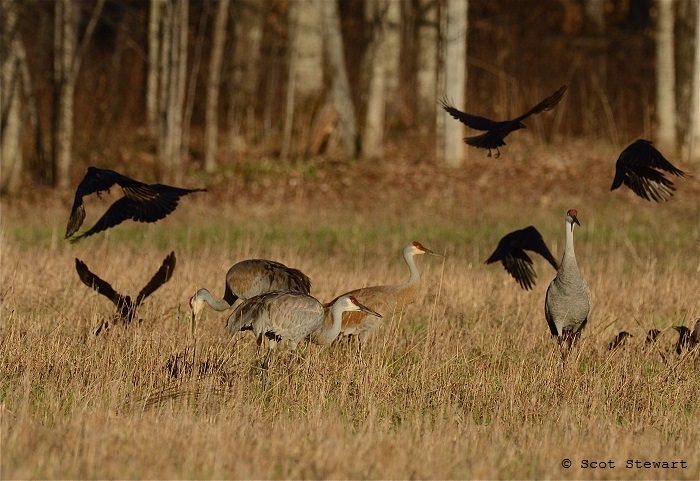 Near McMillan this morning we found a group of nine sandhill cranes feeding in a field with a large group of crows. More crows were mobbing a red-tailed hawk in a stand of trees nearby. The cranes occasionally danced and chased each other around and were still present at the end of the day when we returned to Marquette from the Point. At the Point there were plenty of red-tail, broad-winged and sharp-shinned hawks rising out of the forest south of thd Point bound for Canada. 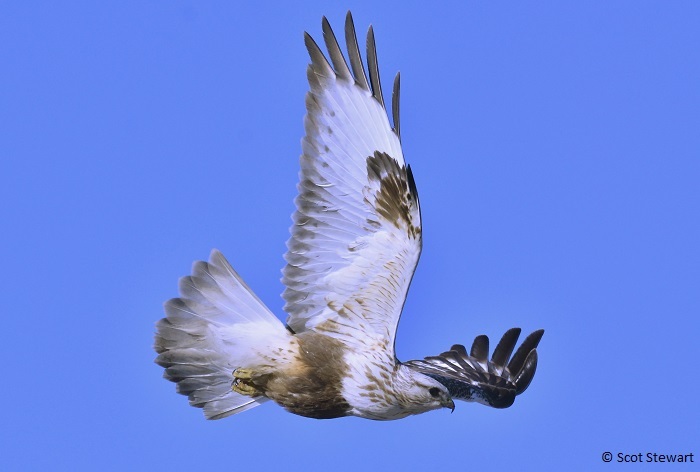 We missed a golden eagle seen at the Hawk Dune later in the day. There was a huge wave of ruby-crowned kinglets around that made the day really fun! 4.5.16: The Upper Peninsula spring is full of surprises. With more than 32 inches of snow over the past week the area is 27 inches above average. 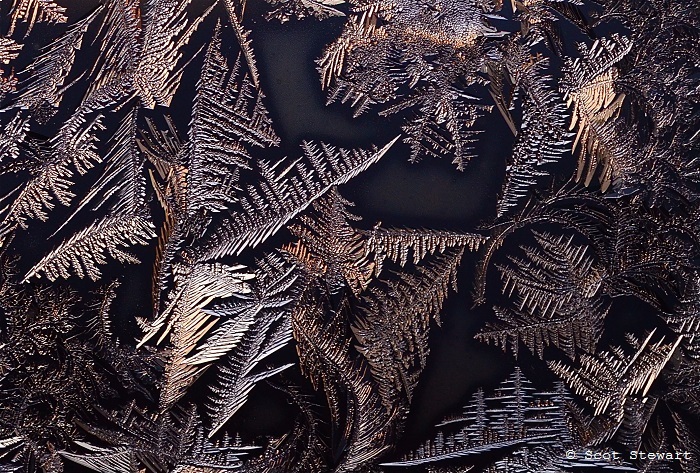 Cold morning have come with the late winter package producing some amazing frost crystal formation on my front door. The fine detail is only highlighted with the rising sun, providing an amazing three dimensional perspective to these miniature crystals. It is one of the best parts of cold mornings. 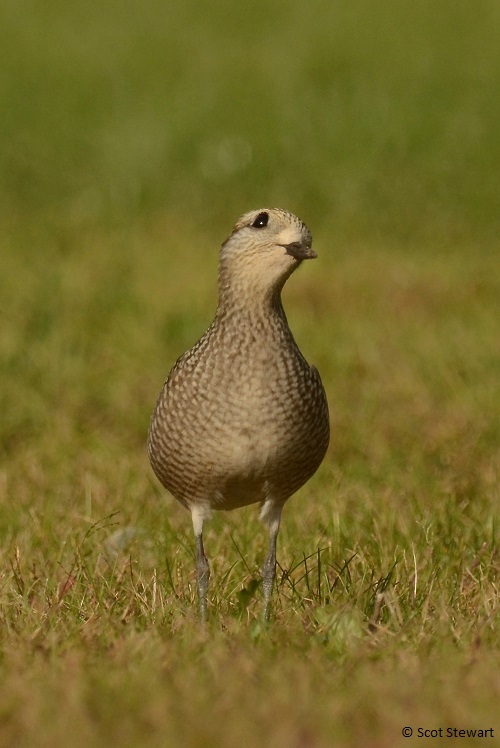 4.2.16: Spring time trips southward are also met with great anticipation - migration is underway and finding how far different species have moved northward is always fascinating. With leaves still on the way viewing smaller birds is much easier. Local birds have begun calling and too can be much more easily found. 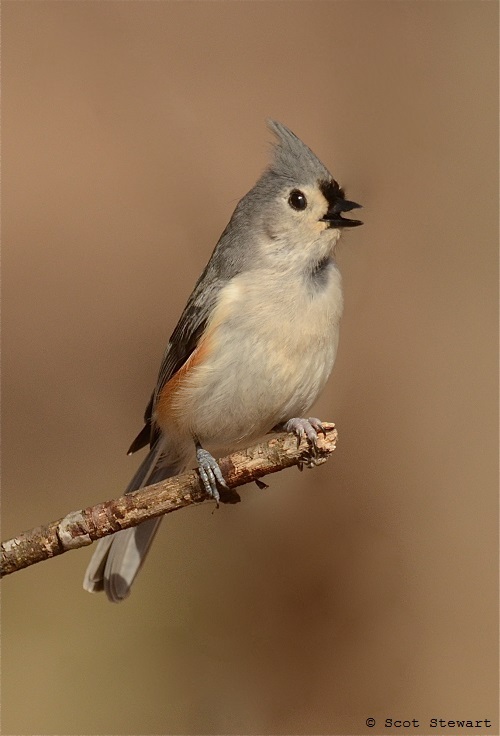 While photographing bloodroots one of the first spring emphemeral flowers a singing tufted titmouse was heard. 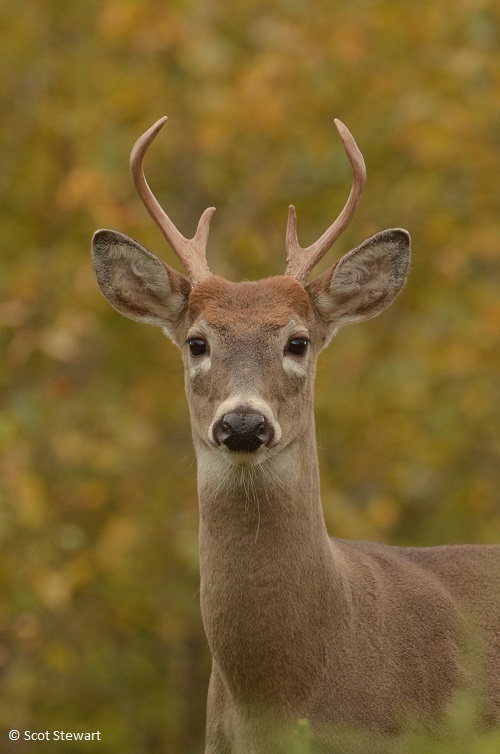 Fortunately I was able to get a few shots at the edge of a maple-oak woods in a Will County Forest Preserve. 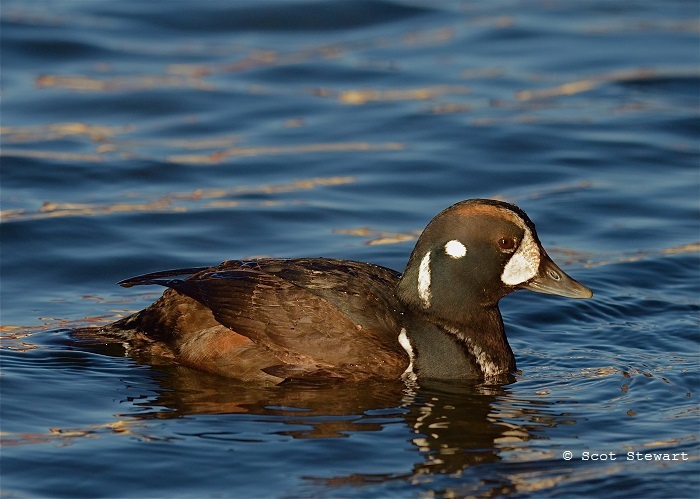 3.31.16: Harlequin Ducks are one of the most colorful duck species in North America. Residents of both coasts in winter and mountain rivers in summer, they rarely appear in the Midwest. Marquette has been fortunate to host several in the past few months. 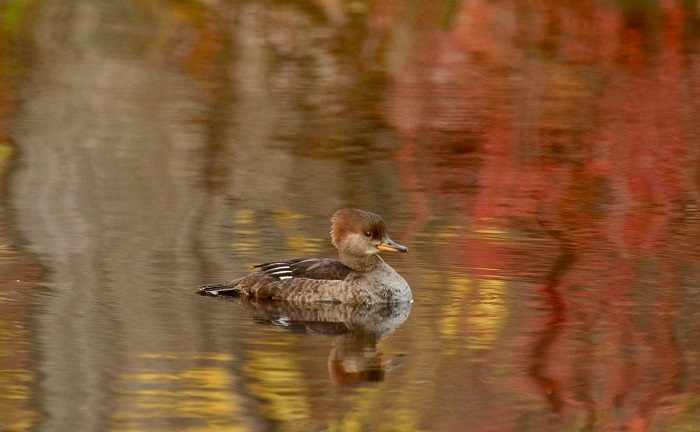 One with basic plumage was found by Alec Olivier at the Presque Isle Bogwalk last October. 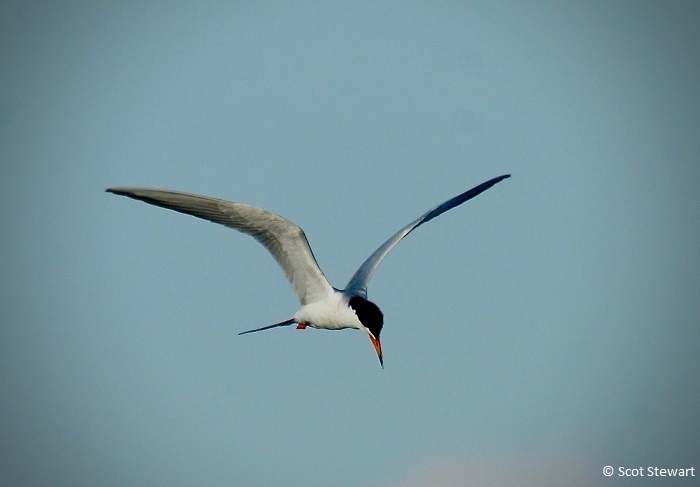 Two males were found in the Lower Harbor this March, appearing and reappearing from time to time over several weeks. Their feeding habits of much diving and feeding areas along rock walls may have helped them remain unnoticed many days. They appearing along the rocks at Mattson Park in town recently near dusk. 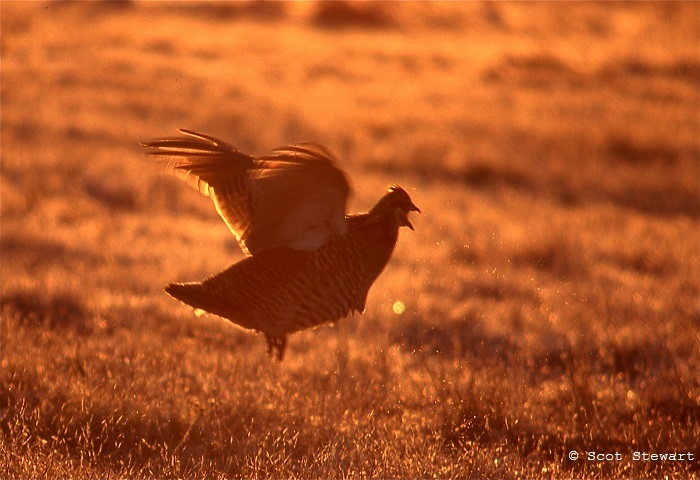 I returned the next morning in the light of the rising sun and had them land in front of me minutes after my arrival. Not shy they swam to the rocks where I stood and feed along the edge for nearly an hour, stopping to preen briefly before resuming their dives right in front of me not eight feet away. It was a great oportunity to watch as it was even possible to watch them underwater in Superior's clear depths. 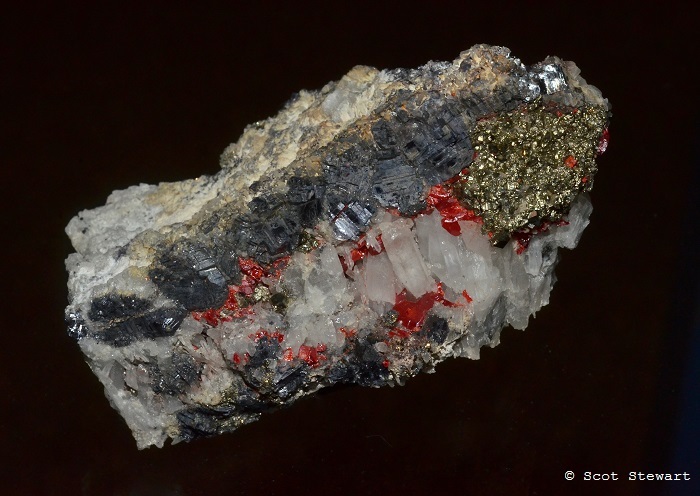 3.30.16: Plumbogummite from China can contain surprising array of colors as they cover another mineral, pyromorphite. 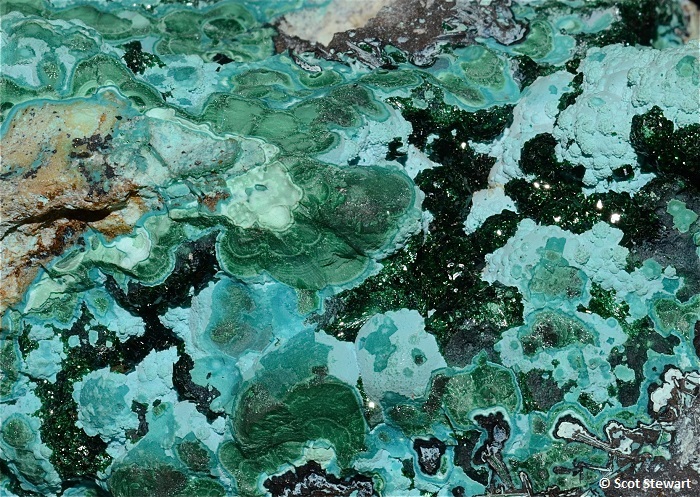 Mineral details are often as amazing as the color, form and design of the landscape where they are found. 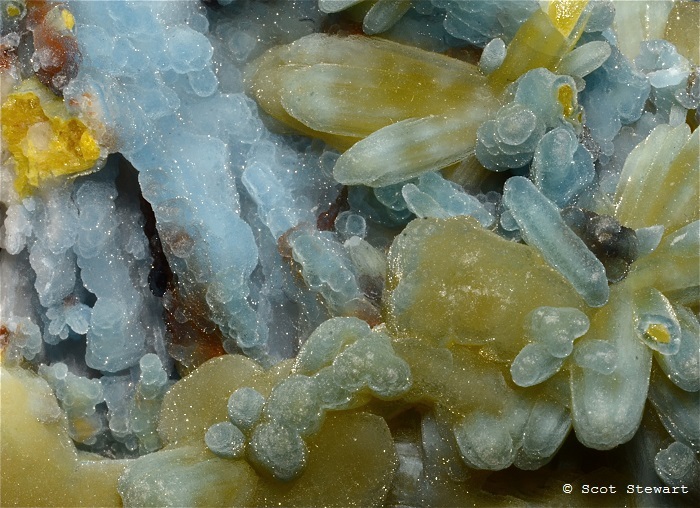 Plumbogummite can vary in color throughout a variety of pastels and smetimes resembles small stalactites. 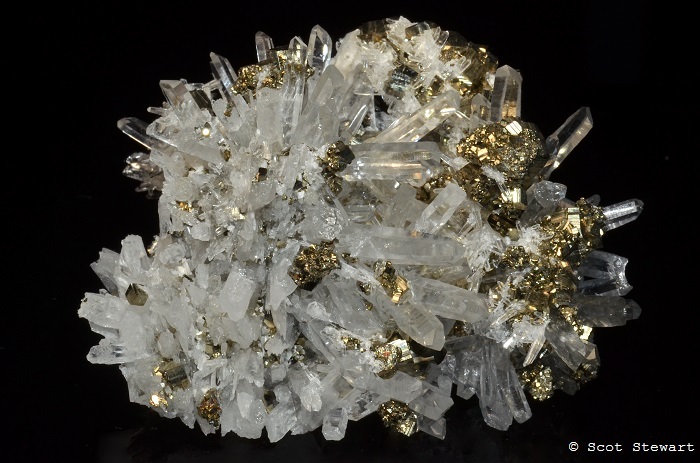 I have bee adding to my mineral specimens gallery almost daily and have included some of the detail shots in the Abstracts category at the top of the "Other" page. This one is my favorite. 12.6.15: Despite the lack of snow, birds have been very active in western Marquette County. Feeders in Diorite have been active with Woodpeckers, Blue Jays, Gray Jays, Nuthatches and Chickadees. 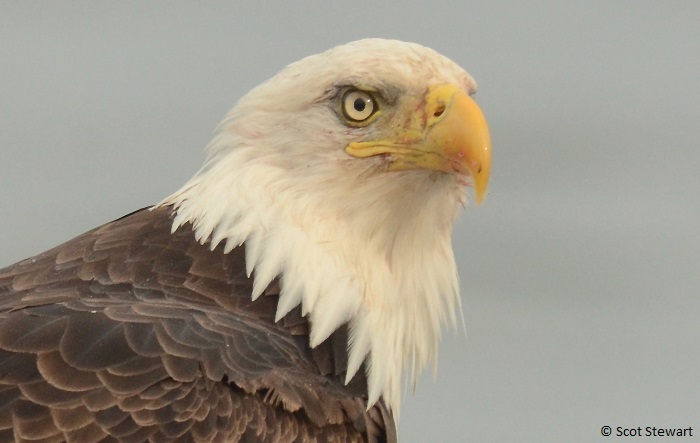 Bald Eagles and Hawks have also been active there. 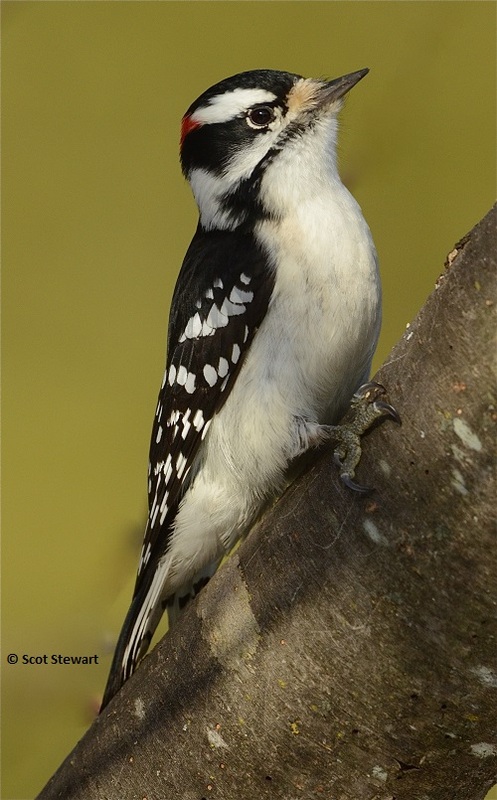 Below is one of the Downy Woodpeckers seen there yesterday. 11.16.15: With birding slowing down my work has turned more to abstract and mineral photography. Go to the Other Page to see more. 6.19.15: Summer is just two days away on the calender, but the day started out at 36 degrees in a number of places. Made a trip to Seney National Wildlife Refuge in Schoolcraft County to see how the young of the year were faring. 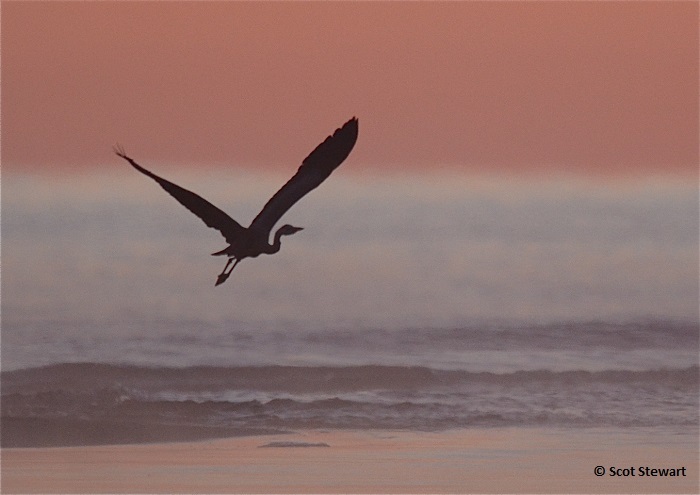 A great blue heron was fishing at the mouth of the Sand River on the Marquette-Alger County line and the sky was a peachy pink. Had to stop. How often I have found beautiful sights on my way somewhere else! 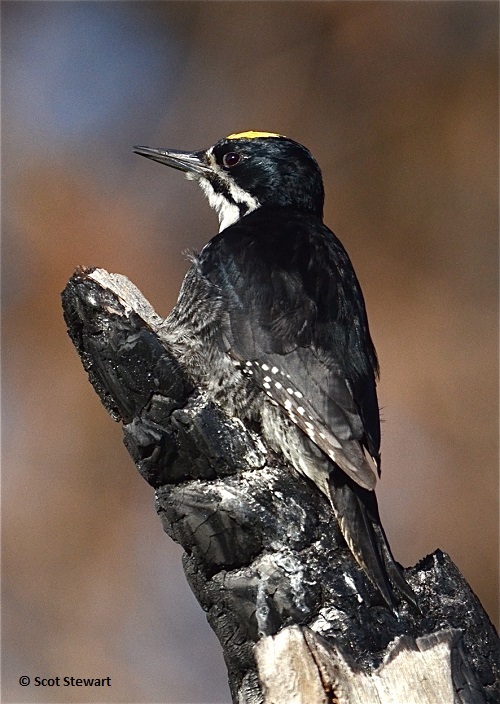 Stopped at the west side of Seney at a recent prescribed burn conducted by the refuge, and was rewarded to find one of the black-backed woodpeckers others have recently found there. Seney is always a great spot in June. The Wilson's snipes are still displaying, the young swans have hatched and are circling around their parents and the kingbirds are loud! 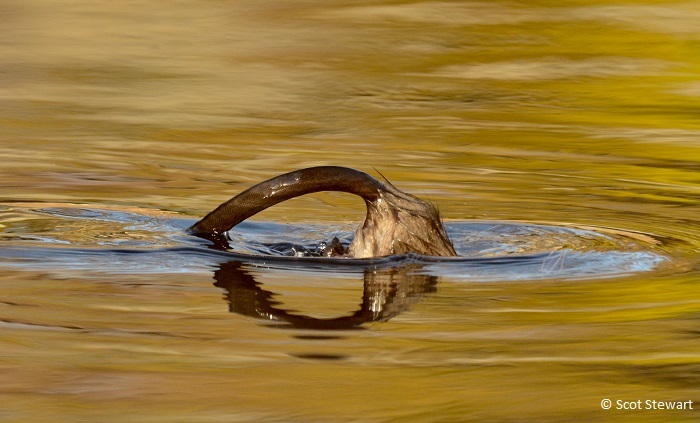 Plenty of muskrats carring material to their homes and one pair of young loons on the first pool on the loop too. It was a great day on the Marshland Drive at the refuge! 4.27.15: Recent cooler weather has really slowed down much of April migration. 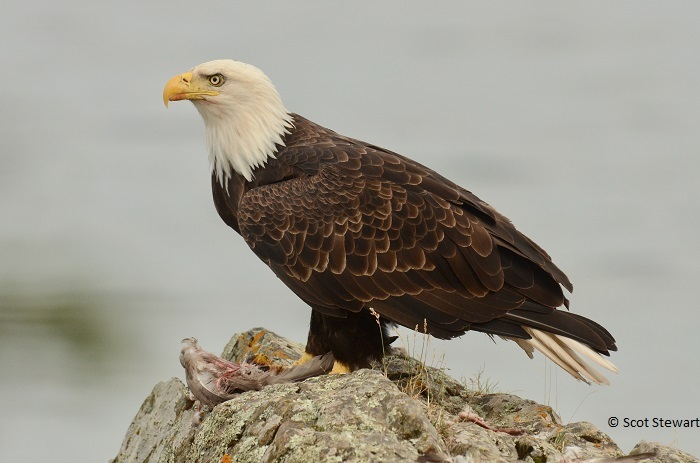 But that hasn't slowed down the territorial, courtship and nesting behavior of birds already here. Woodpeckers have filled the are with their drilling and drumming. 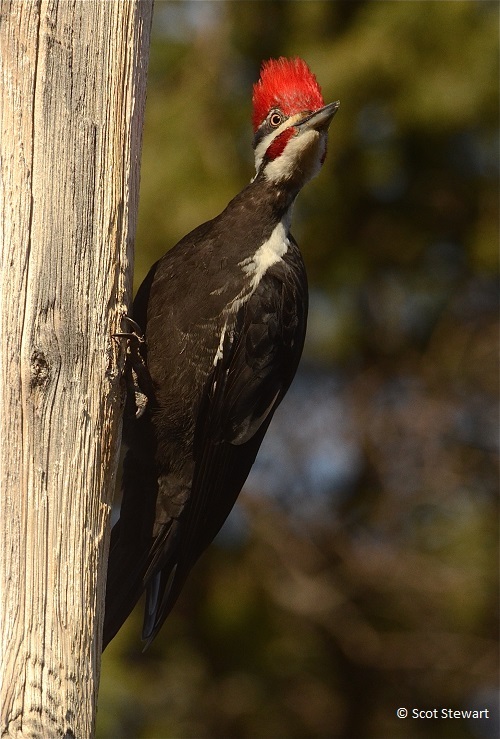 In the area wher I have been watching turkeys I recently heard three different pileated and two hairy woodpeckers calling and drilling resonating trees. The turkeys were strutting too making it a very spring-like afternoon despite tempertaures hovering around 40 degrees F. Herring gulls ae mating at the Dead River mouth and South Beach in Marquette, a peregrine is sitting on egg at the Presque Isle Power Stationand a pair of great horned owls nesting in a church in town have two nearly full sized chicks. Can't wait for the rest of the birds to get here from further south! 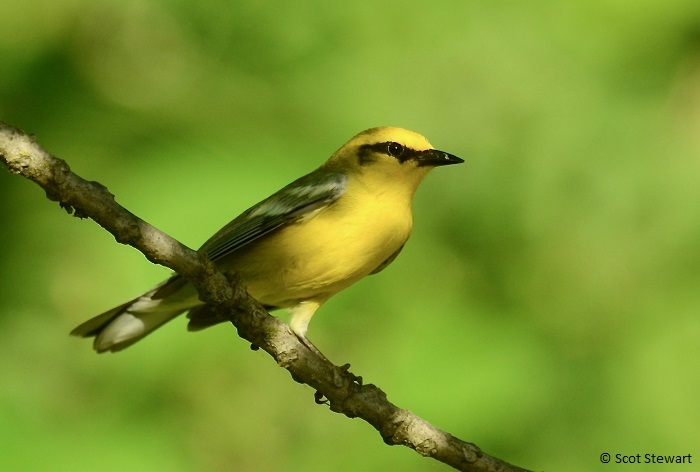 4.16.15: Migration is an amazing event as millions of birds and insects head north to spend the summer. As residents return to fill their summer niches, some are forced to stop and recharge their energy stores, some realize they did not end up where they intended, stopping to regroup and others need a stop to deal with physical problems like illness, injury and disease. 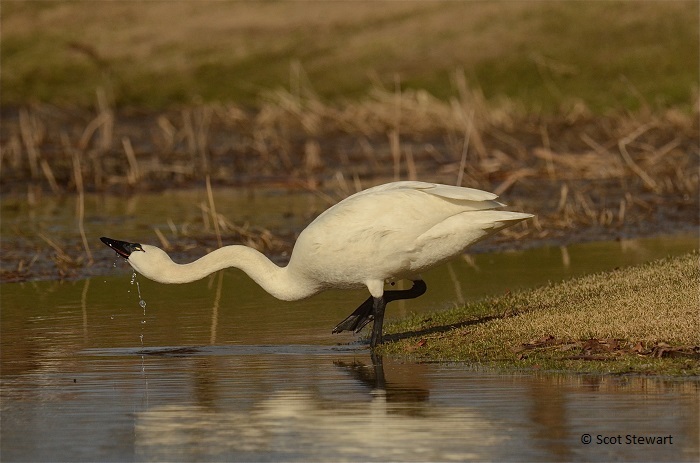 A tundra swan made a stopped yesterday at a small town pond of Marquette. 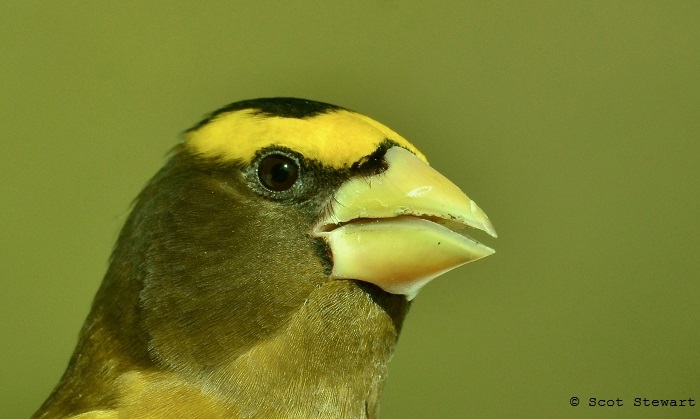 A closer examination of the bird showed it was having difficulties with its left eye, due either to an accident, difformity or disease. It stayed on a second day after arriving, sitting, feeding and swimming closely with a lone Canada goose. 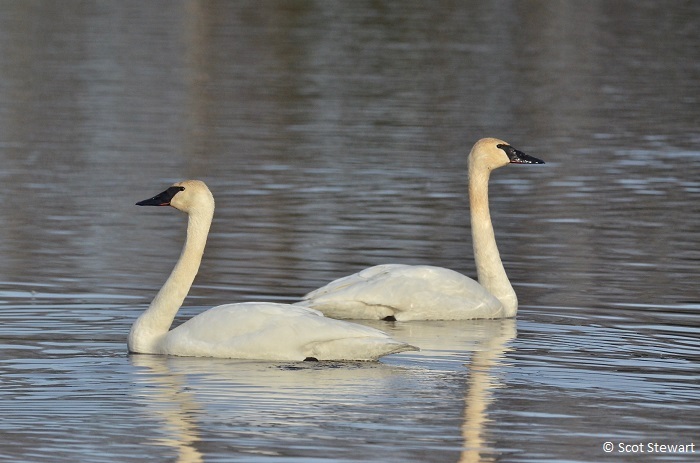 Many tundras stay in the Cheseappeake Bay area and other East Coast estuaries during the winter and return in spring to their summer range across the northern tier of Canada and Alaska. 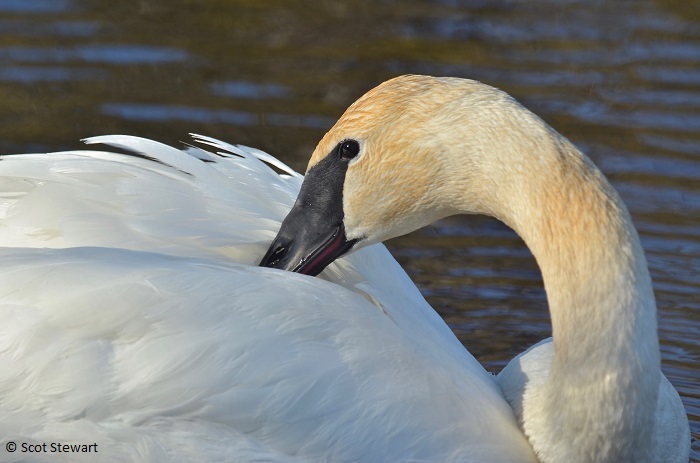 Unlike the trumpeter swan, a Michigan nester, the tundra swan is only a rare visitor to the Upper Peninsula, often seenonly in flight during migration. A few do stop in eastern U.P. farm fields to feed as they head north. It is always a wonder guessing the fate of such an animal on an amazing voyage. 4.15.15: Some birds always seem mysterious. 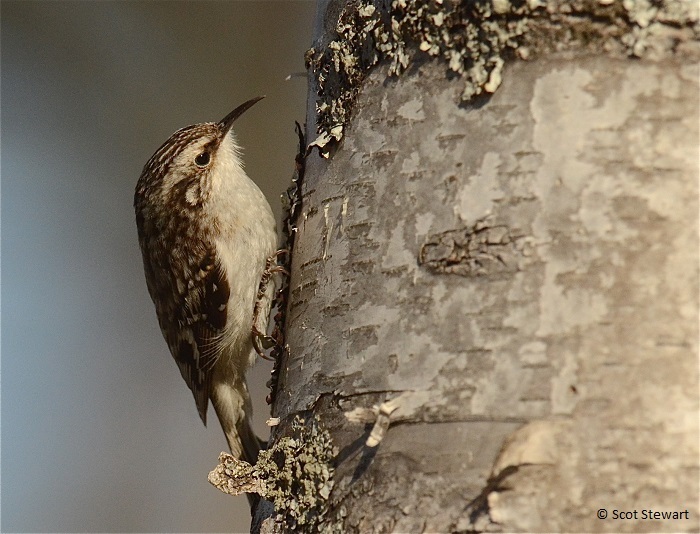 Brown creepers meet that criterion by both name and behavior. They always seem to be on the move, leaving little time to study or enjoy their unique design. They are predictable in their approach to a tree - always heading up. But their choice of trees is never a sure thing. Usually they move through a stand of trees, rarely returning to one a second time. This creeper returned to several trees time and time again today allowing a great opportunity to see and photograph it. While hunting it found the largest larvae I have ever seen a creeper eat. Click on the link to see it and other images of the creeper in action. 4.4.15: A quick trip to the Chicago area offered the chance to catch a slightly more advanced version of spring. 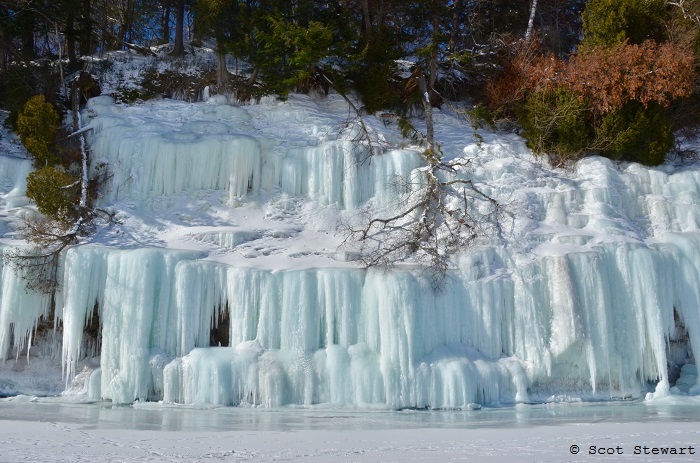 With temperatures soaring into the mid-60's it offered a wonderful break from freezing temperatures and the snow left behind in the Upper Peninsula. 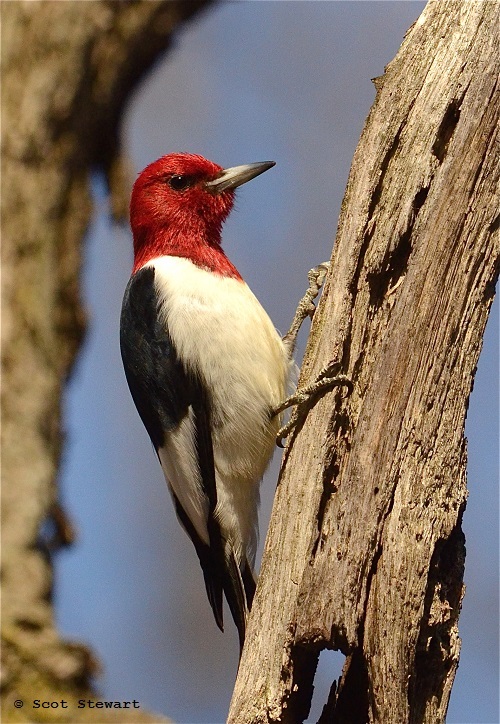 A trip to a local nature center in Cook County brought an opportunity to see a young red-headed woodpecker and later the same day in a nearby forest preserve, a group of three more adults. 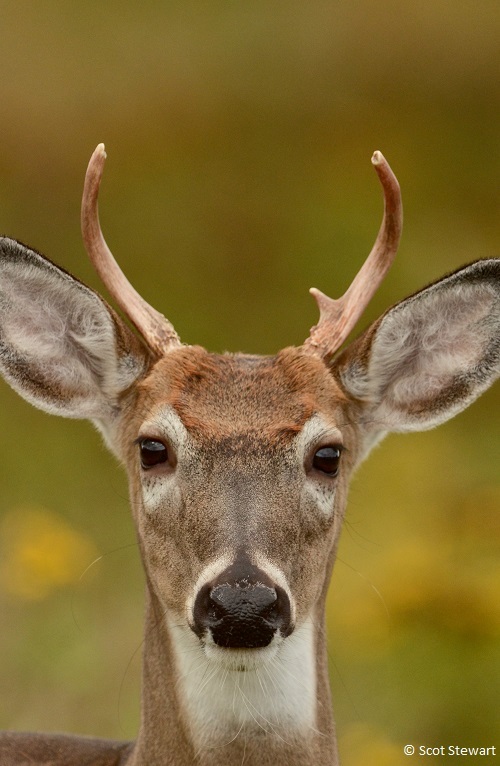 As it has become more and more difficult to find them in the U.P. it was a thrill to see four in a single day. Occasionally they appear as vagrants, but usually disappear in a day or two. 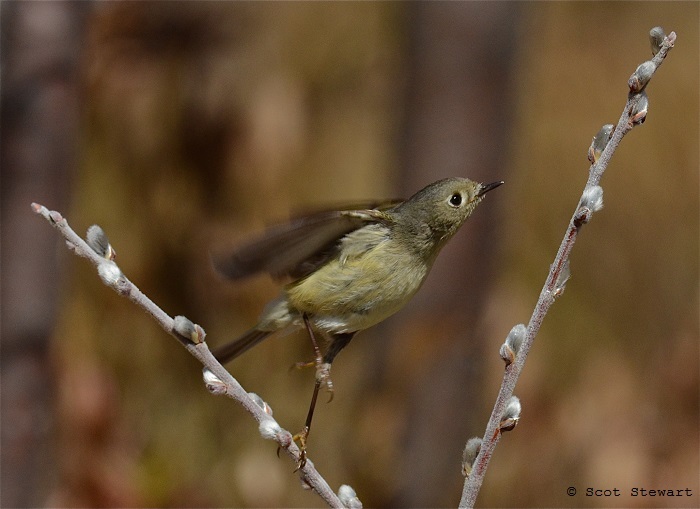 During the next few days there flocks of kinglets, brown creepers, a hermit thrush and a pair of cackling geese were also seen. 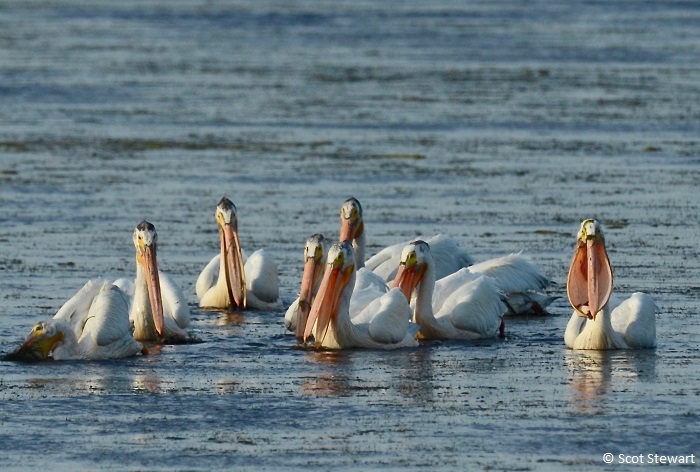 Returning north, American white pelicans were seen returning to the Green Bay WI area and a number of tundra swans were also seen heading north and west. 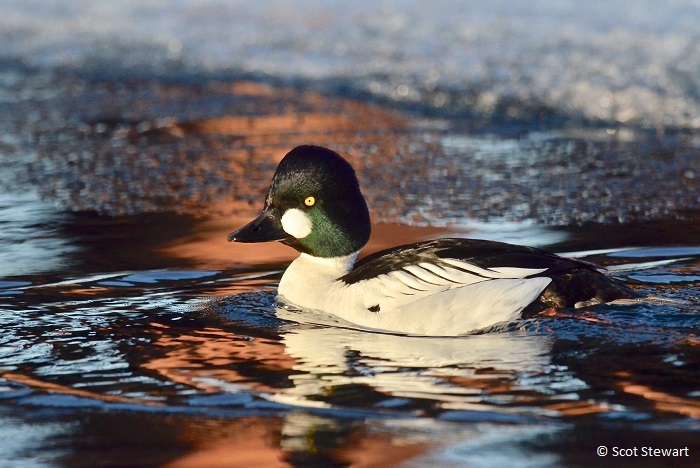 3.30.15: While spring migration is beginning to bring early birds back to the Upper Peninsula, birds like ring-billed gulls, sandhill cranes, red-wing blackbirds and common grackles, other birds, winter visitors, are heading "home" too. Visitors from the boreal forest and the tundra - winter finches and owls have been visiting the northern states and are now northbound. 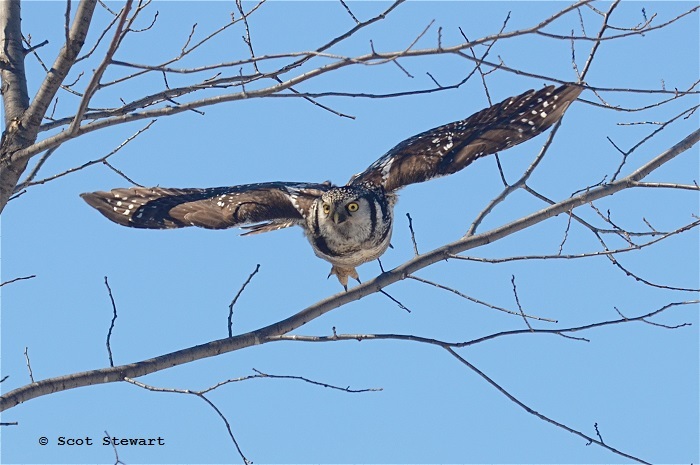 A northern hawk owl stopped off at the Sturgeon River Slough near Chassell in Houghton County last Wednesday and found enough food to stick around. 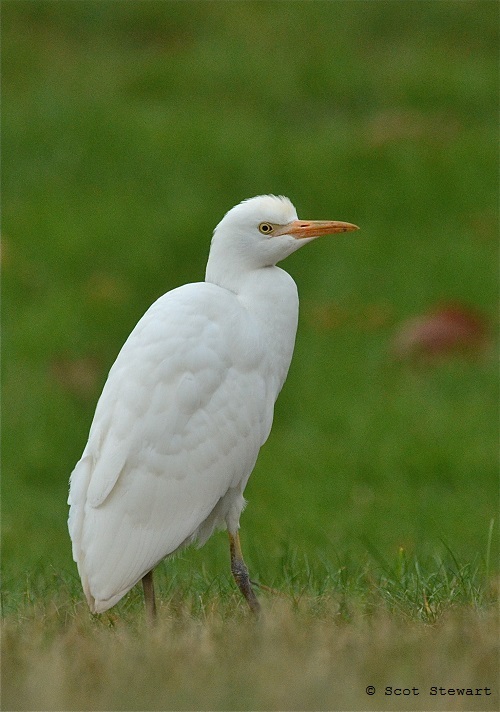 Found it on Saturday afternoon near the entrance to the slough and watched it for about five hours. Eventually, after making a number of dives to the ground after food, it successfully caught what appeared to be a meadow vole. Unable to successfully eat it atop the whip-like tamarac tops it flew to a stand of more substantial trees across the road to feed, then returned to the slough to continue hunting. A number of birders arrived as the shadows grew in time to see the owl successfully catch two more voles. It eventually chose to hunt from trees very close to the observation area at the slough. With sandhills calling in the background and the snow slowly melting to reveal open water and bare ground, it was a great spring day. 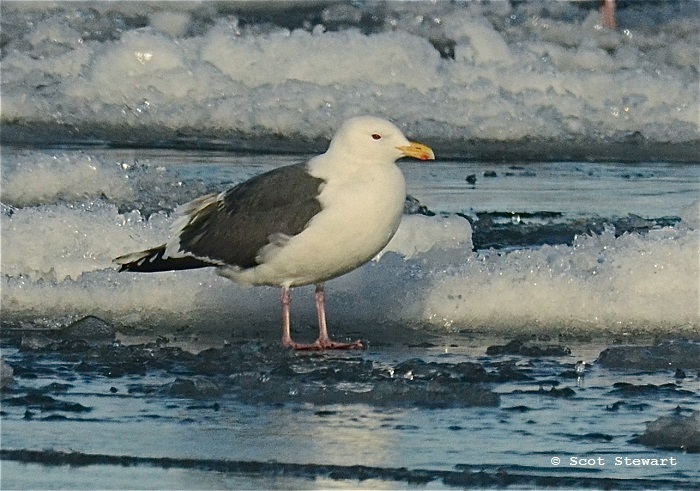 3.24.15: A slaty-backed gull arrived in Marquette Sunday, and has been seen at three different locations along the Lake Superior shoreline. It doesn't spend much time close to shore, making photographs difficult, but it sure has been fun to watch, being such a rarity in the Great Lakes. Several recent images have been added to the slaty-backed gull page. The arrival of ring-billed gulls is one of the first signs of spring here so their presence with the slaty-back has also been fun. Images of them have also been added. 3.18.15: Turkeys! 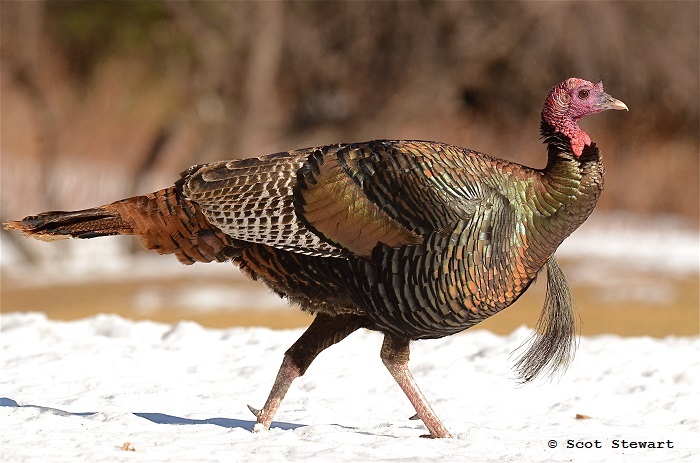 Had a little time this afternoon to get out in the sunshine and look for wild turkeys. Found a great flock of 24 south of Marquette and an opportunity to get a few nice shots. Added them to the Wild Turkey spot on the Birds page. 3.16.15: Hello Everyone. Thank you for visiting my webpage. 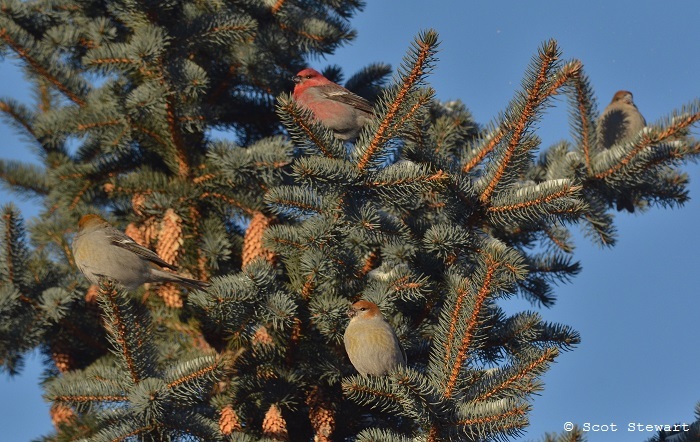 Recently I added additional pine grosbeaks, bohemian waxwings and redpolls. 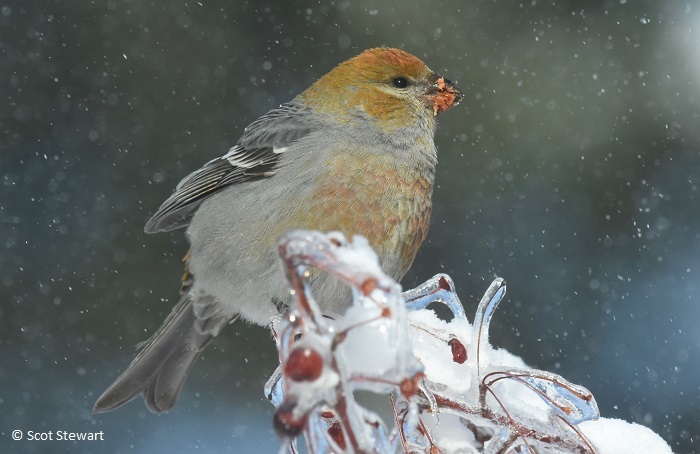 It has been a great winter for winter finches in Marquette and the rest of the Upper Peninsula of Michigan.